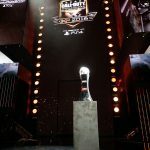 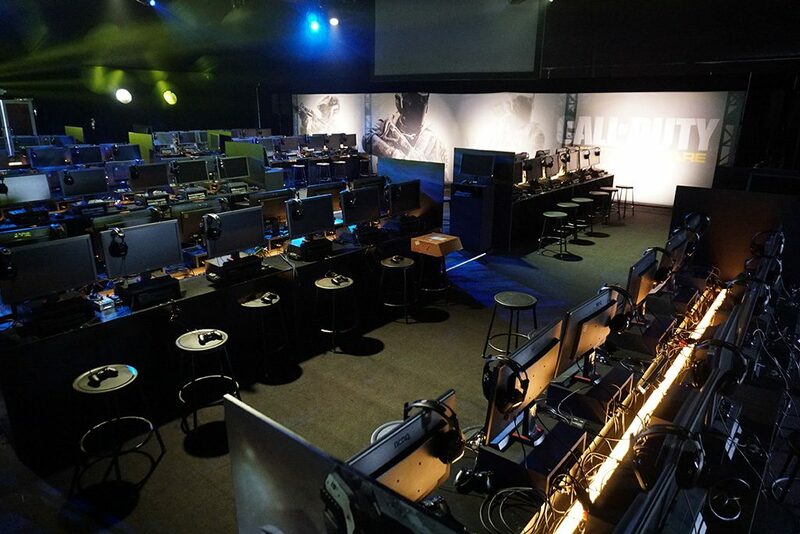 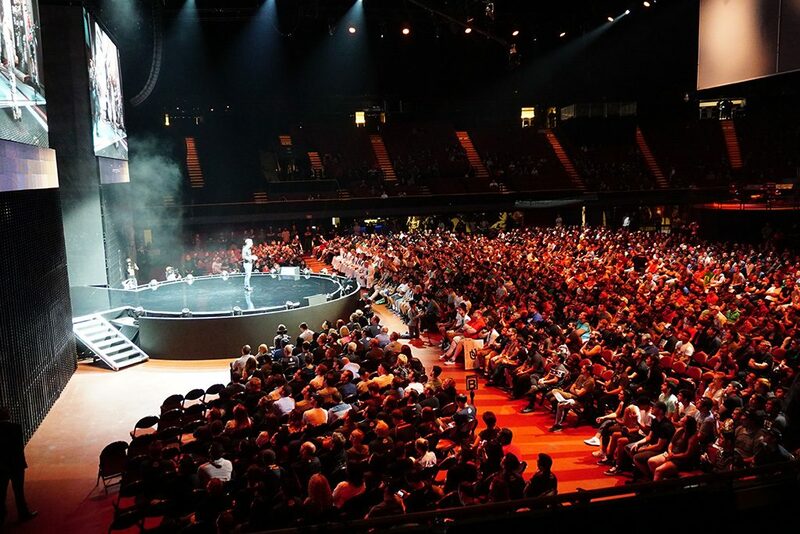 The final Call of Duty World League open event has ended. 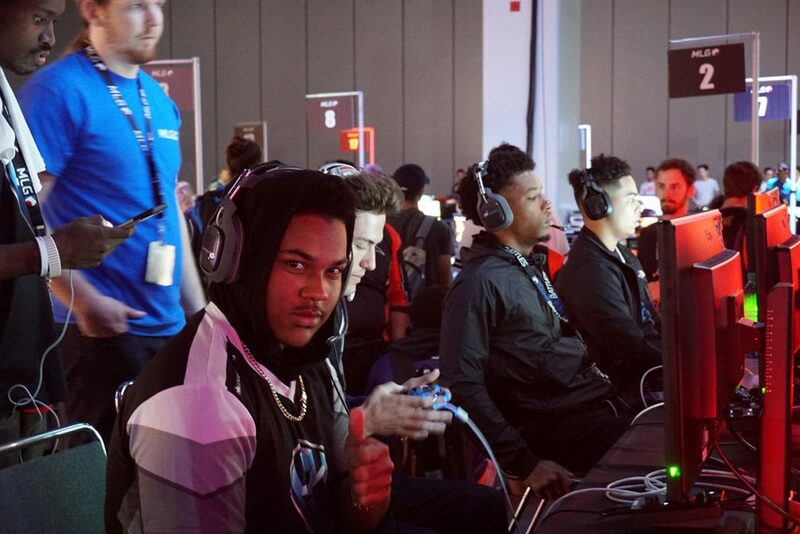 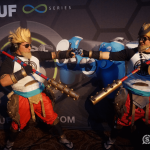 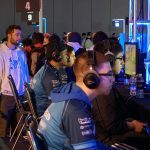 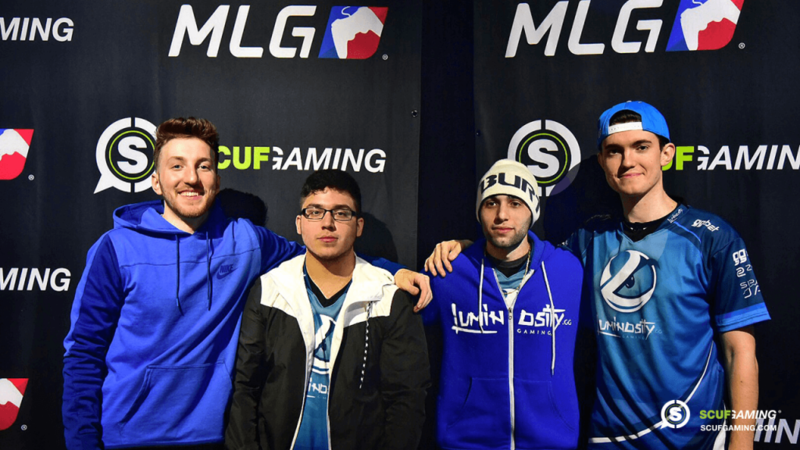 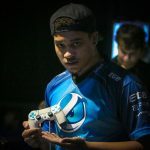 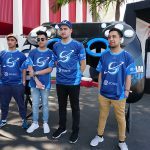 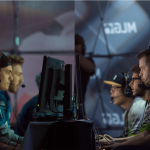 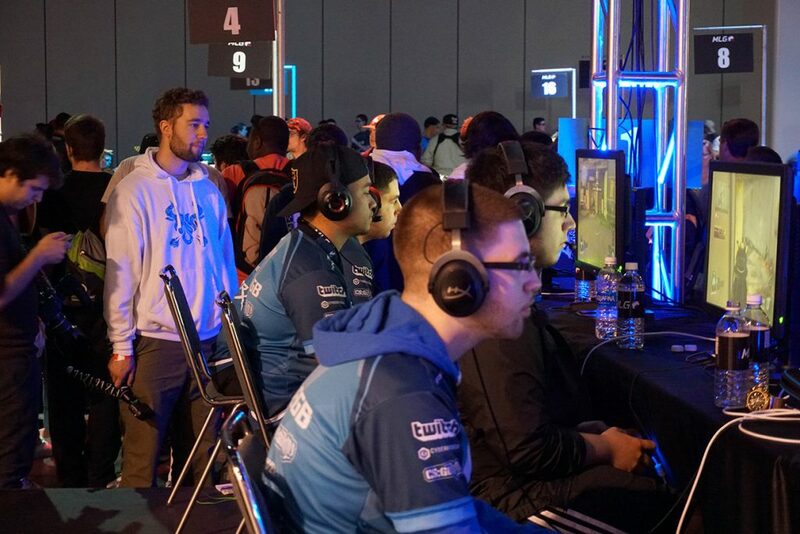 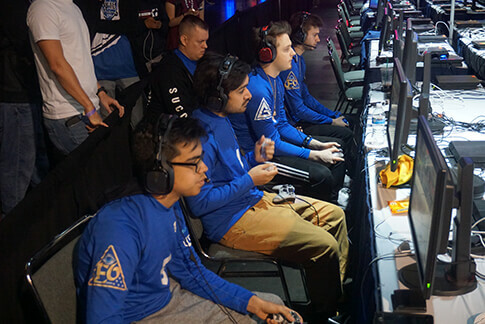 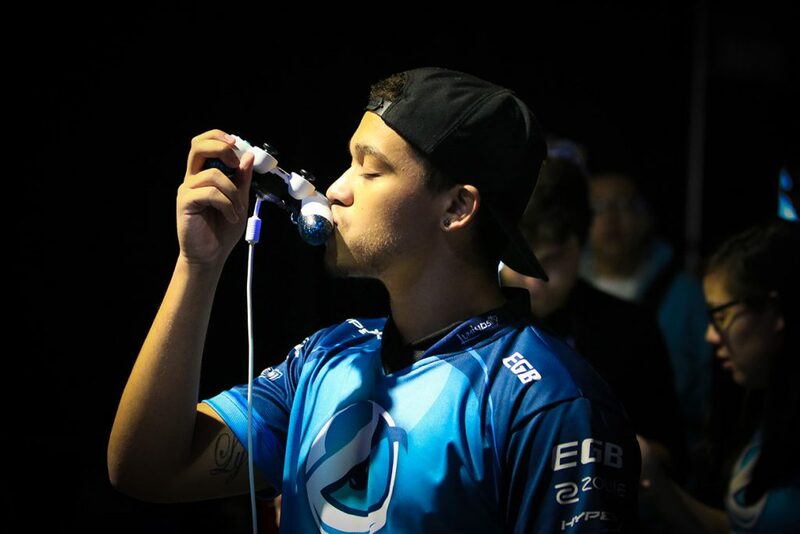 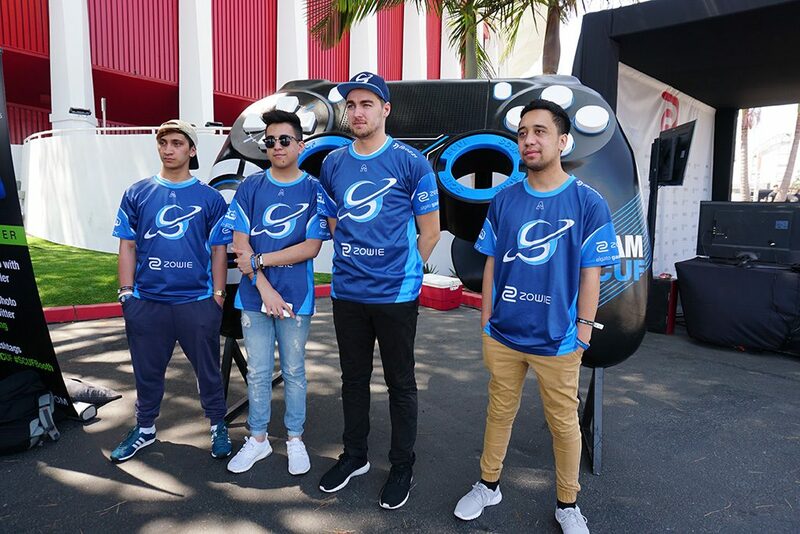 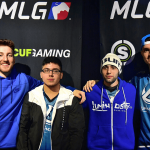 Over the weekend, 113 teams fought it out, with Luminosity Gaming emerging triumphant at MLG Anaheim after a 3-1 win in the grand final against Splyce. 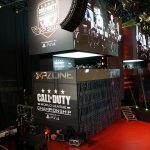 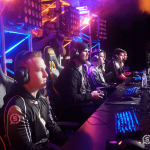 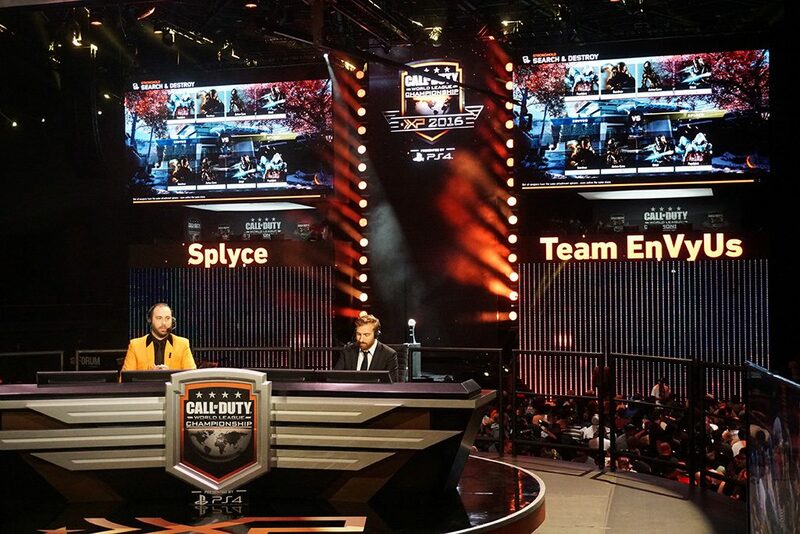 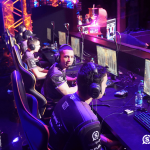 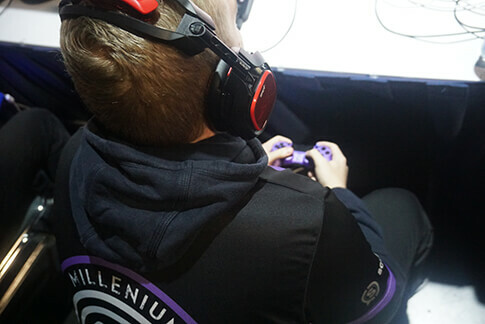 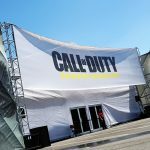 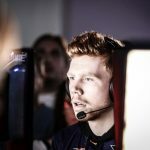 There were many standout moments from Epsilon, Evil Geniuses, and Enigma6, and we are sure that the remainder of this year’s Call of Duty season will be full of surprises, upsets and high-octane competition. 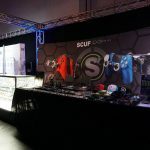 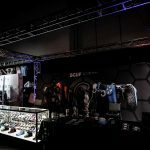 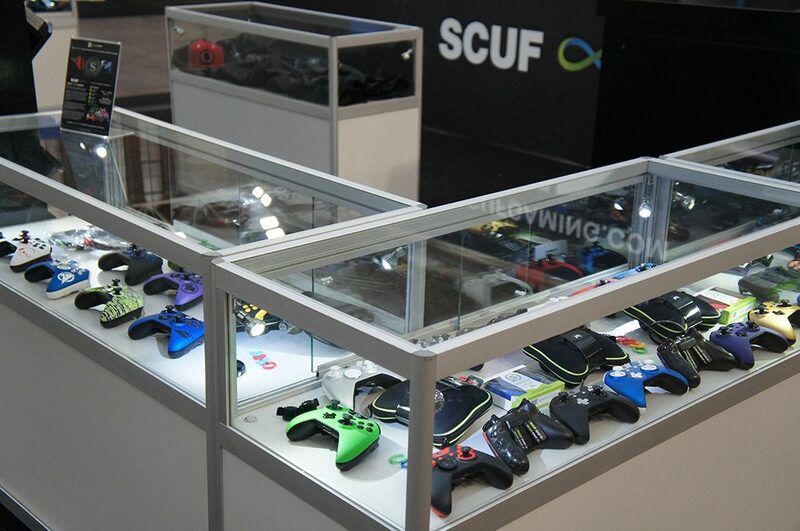 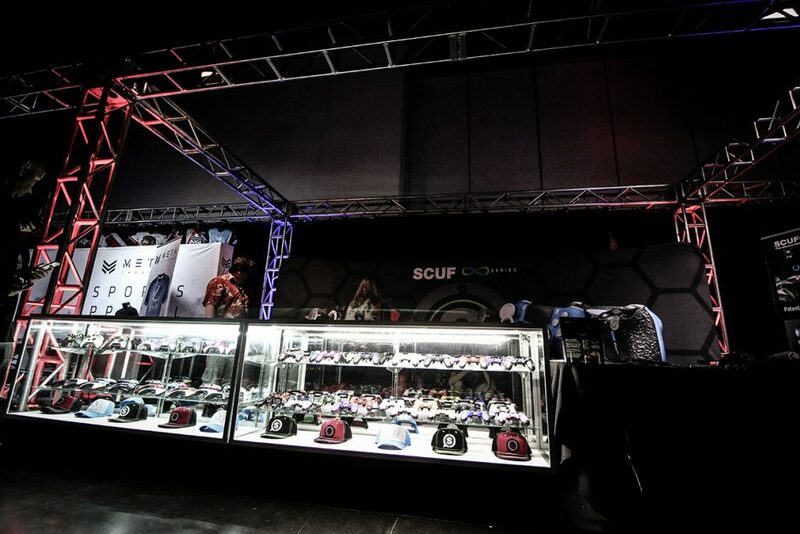 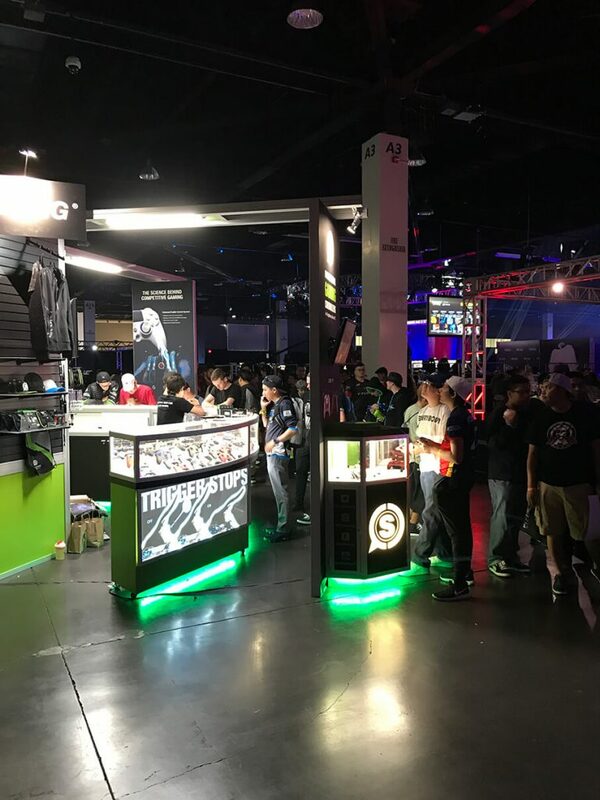 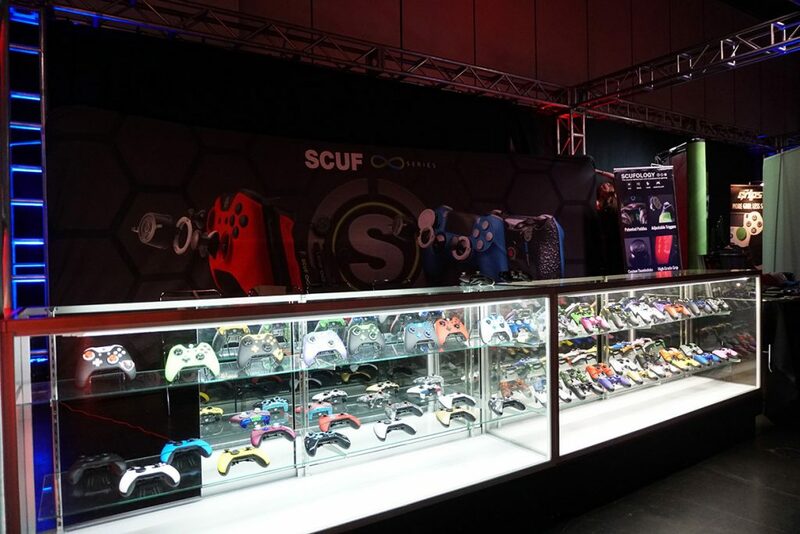 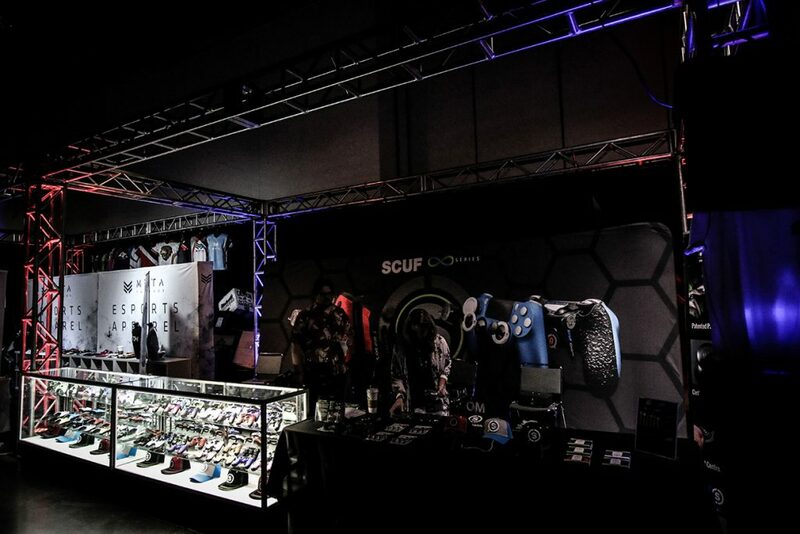 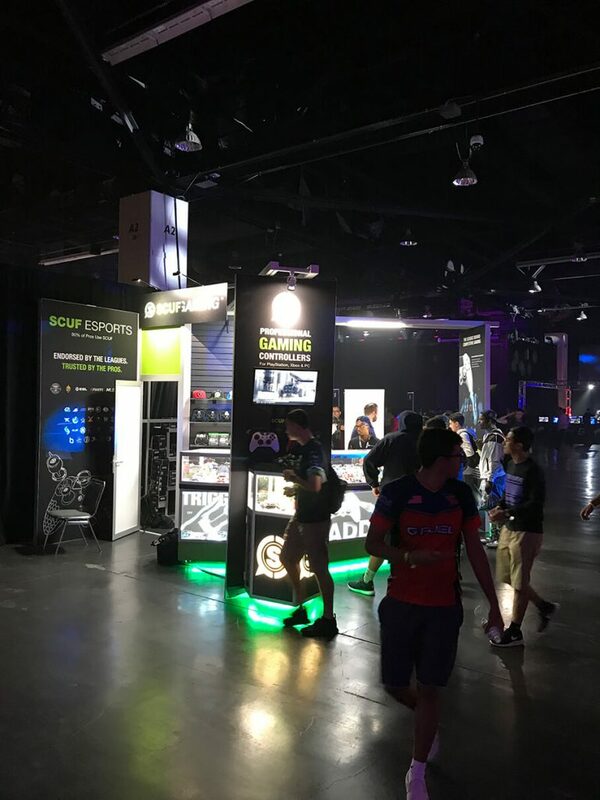 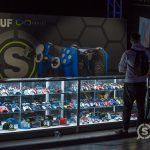 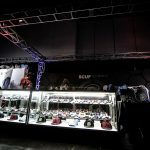 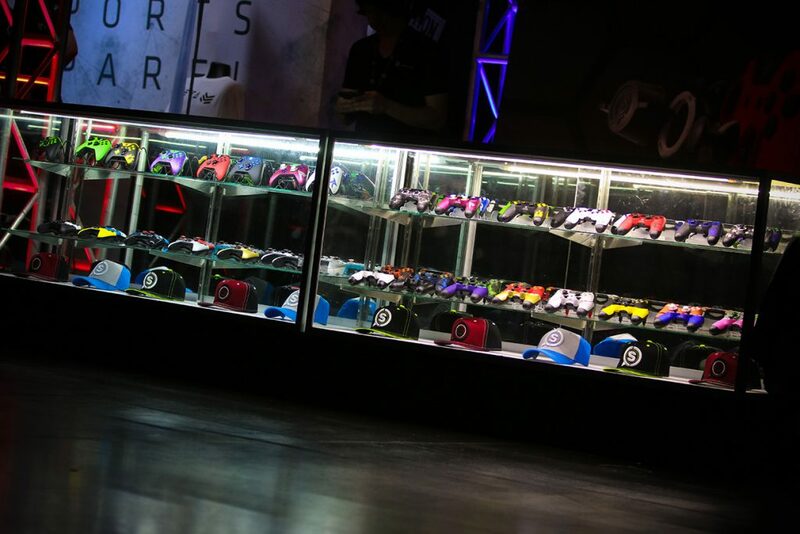 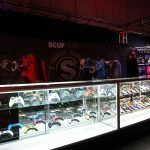 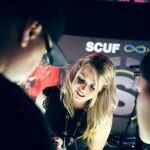 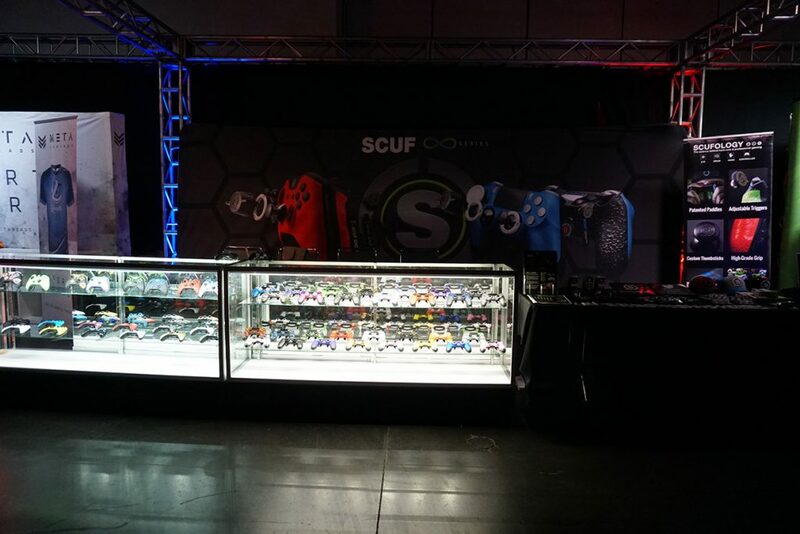 Scuf Gaming was there for all the action in Anaheim, and the SCUF Booth was set up and ready to go the moment the doors opened on Friday. 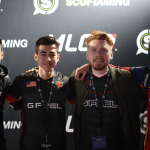 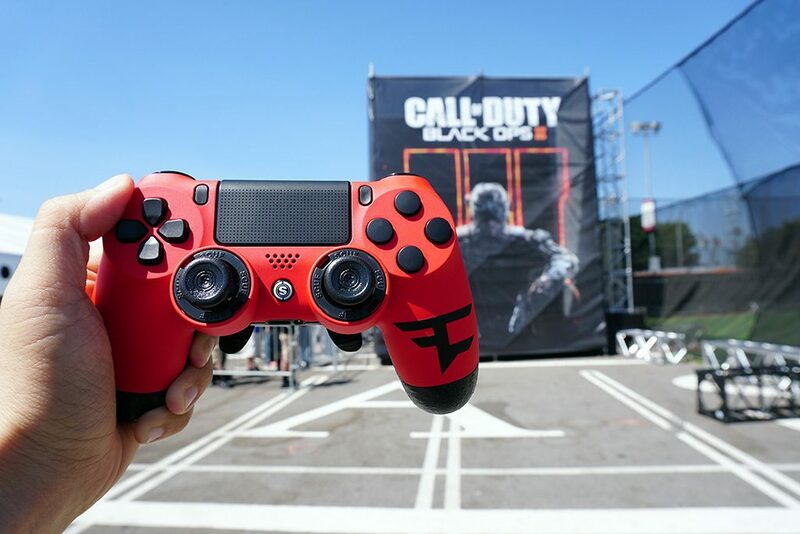 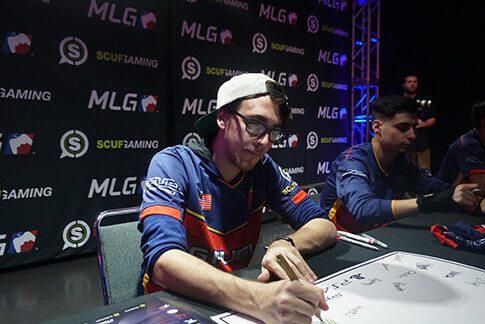 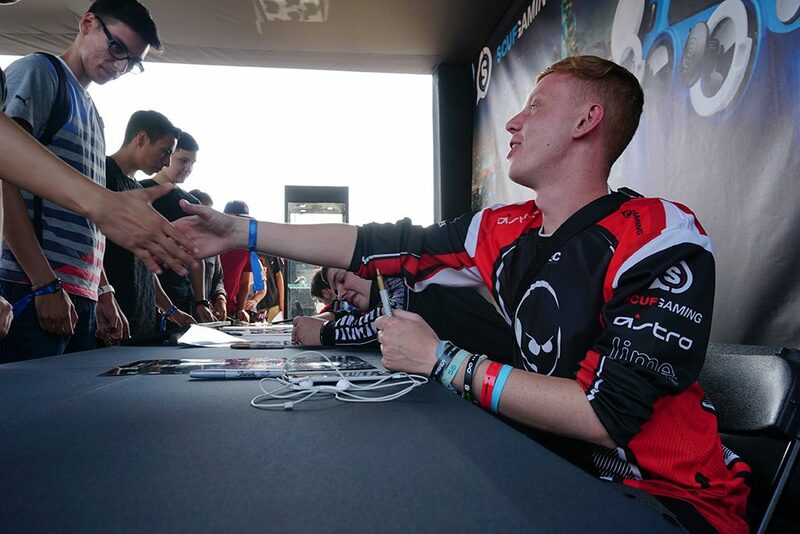 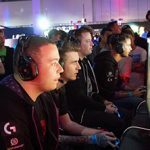 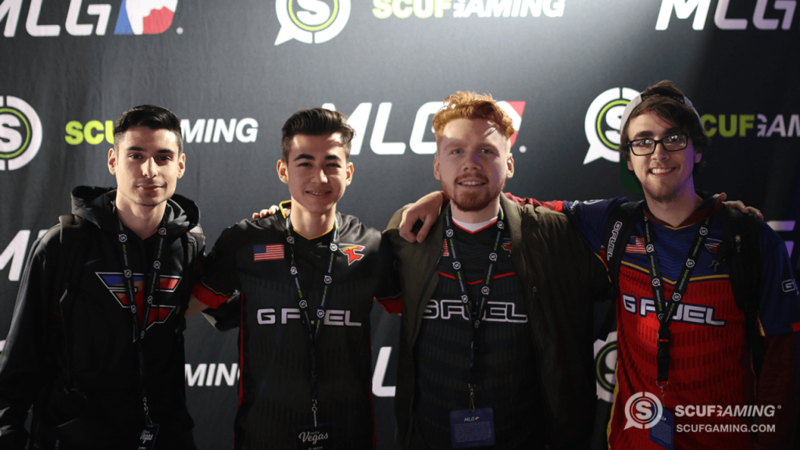 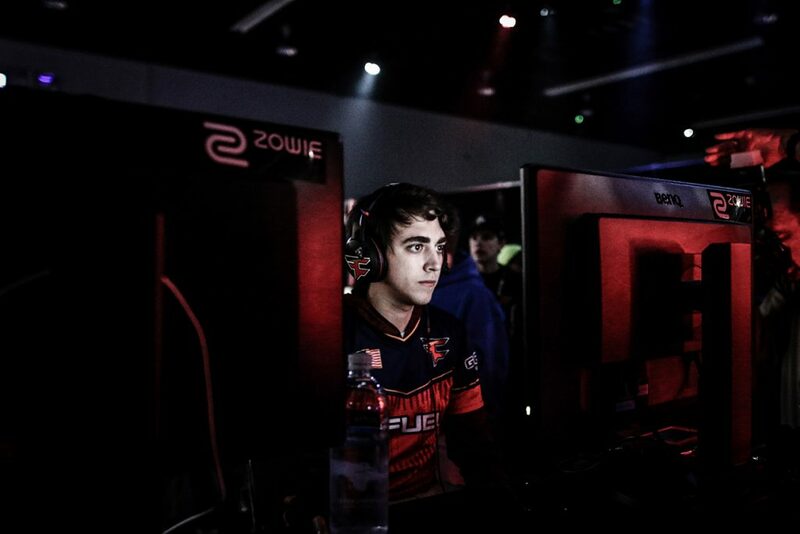 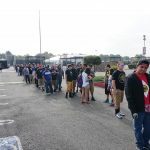 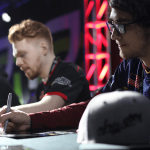 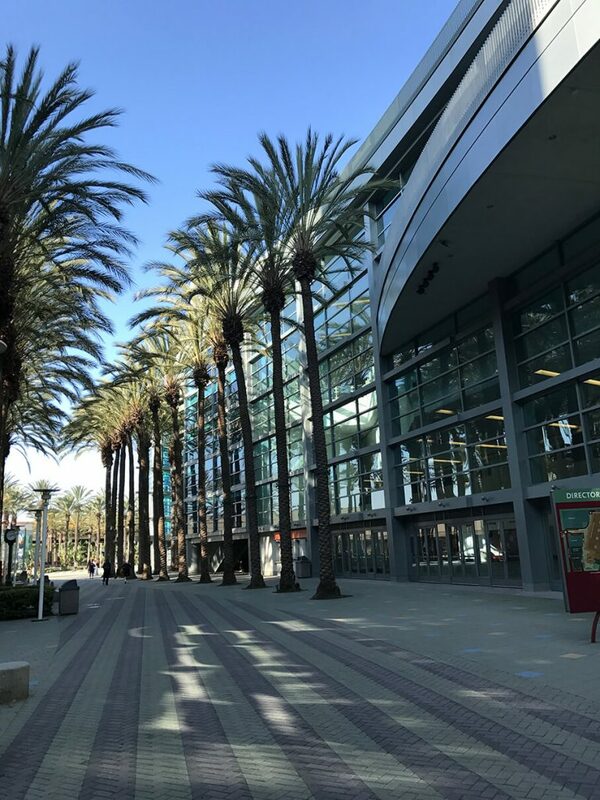 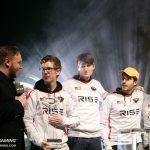 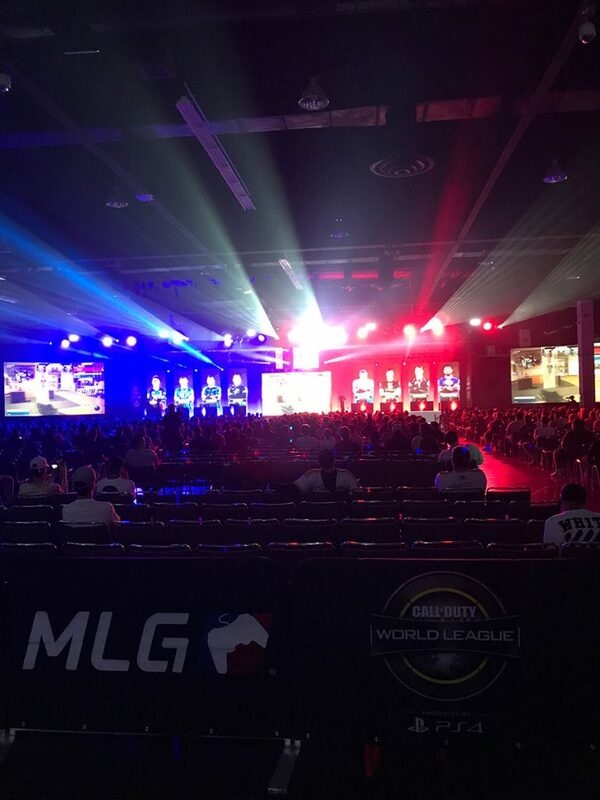 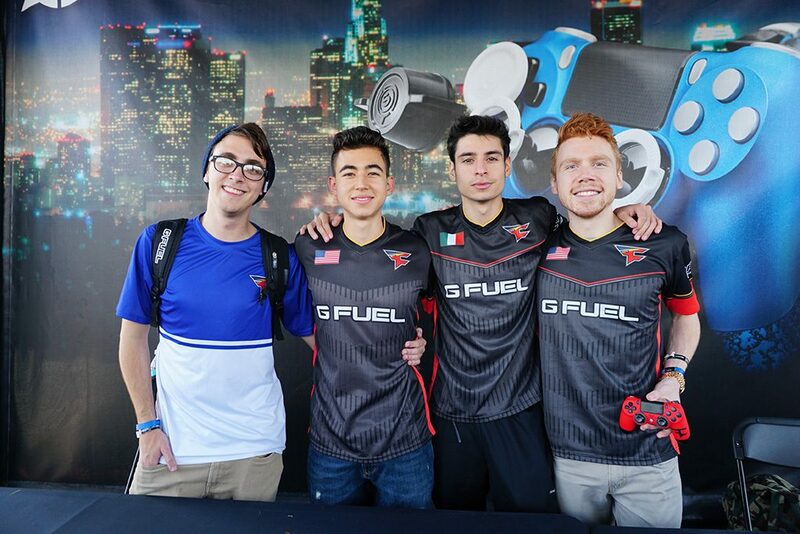 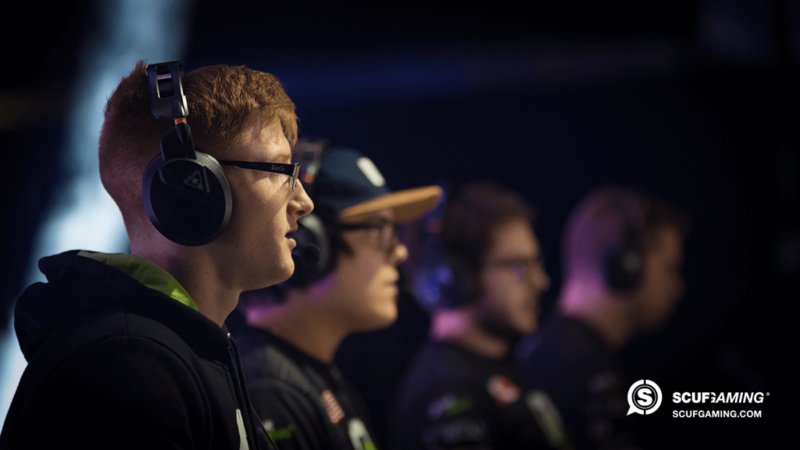 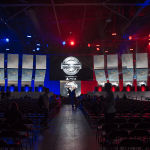 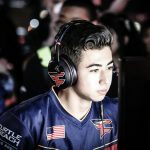 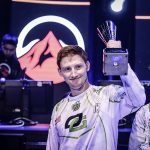 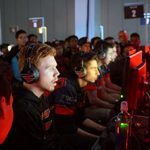 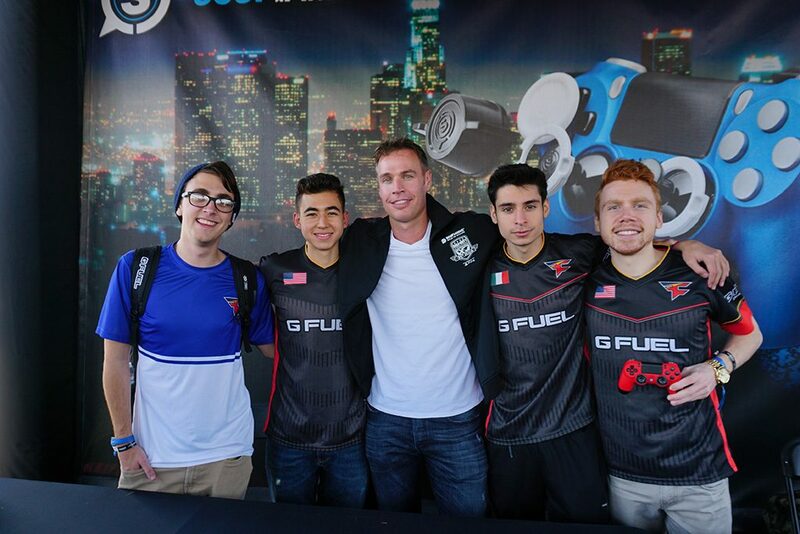 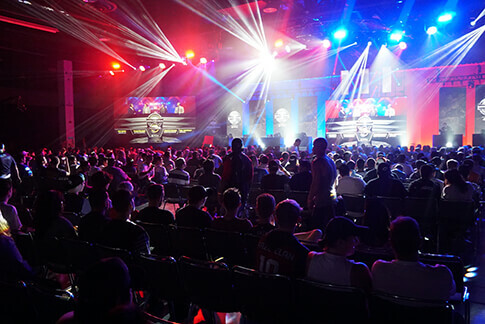 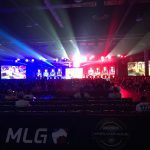 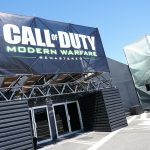 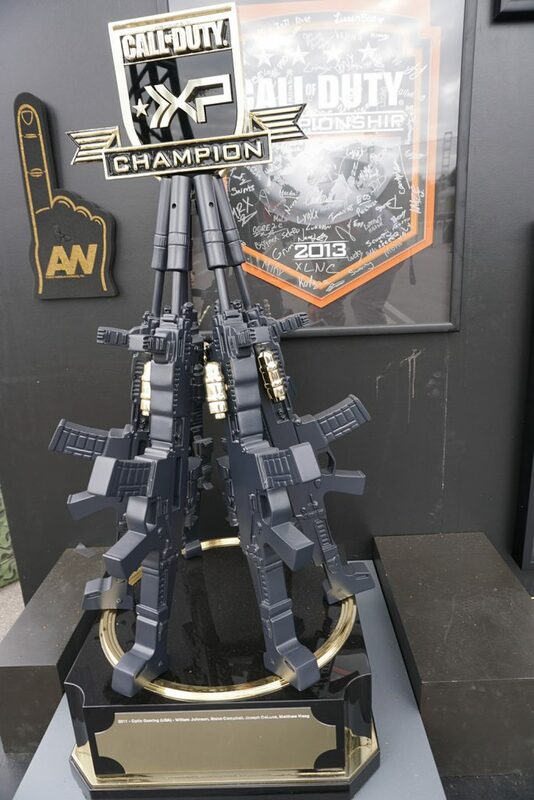 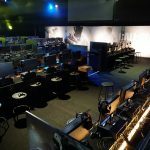 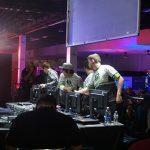 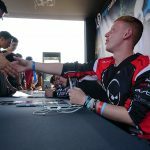 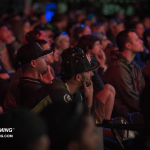 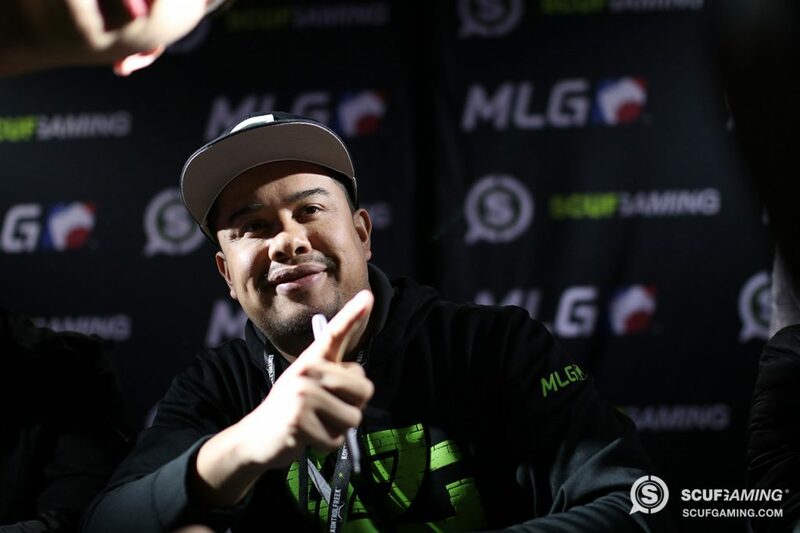 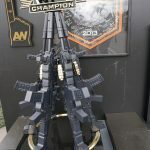 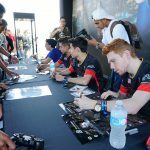 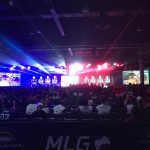 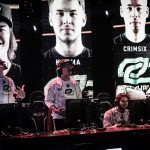 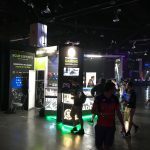 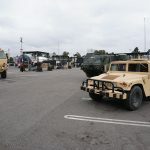 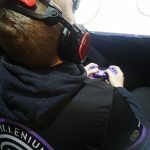 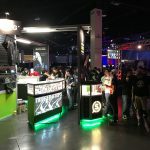 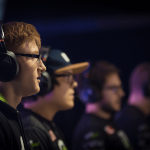 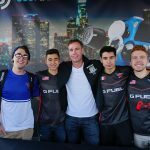 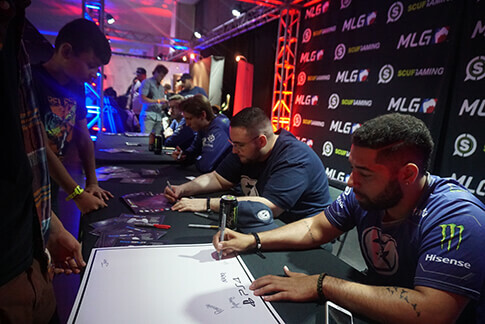 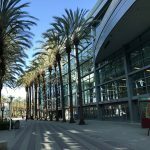 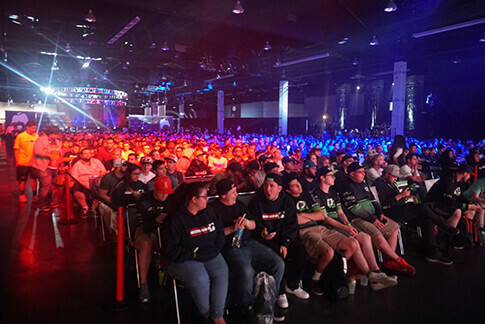 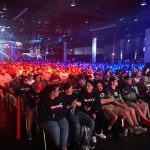 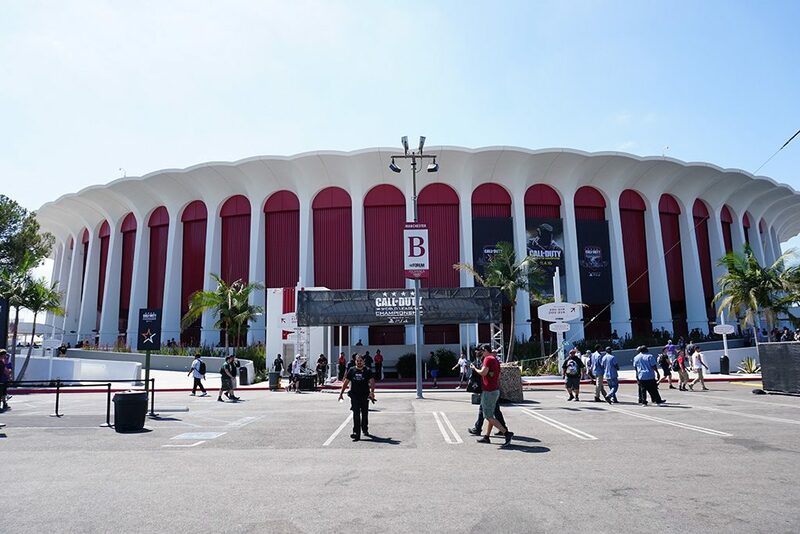 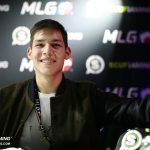 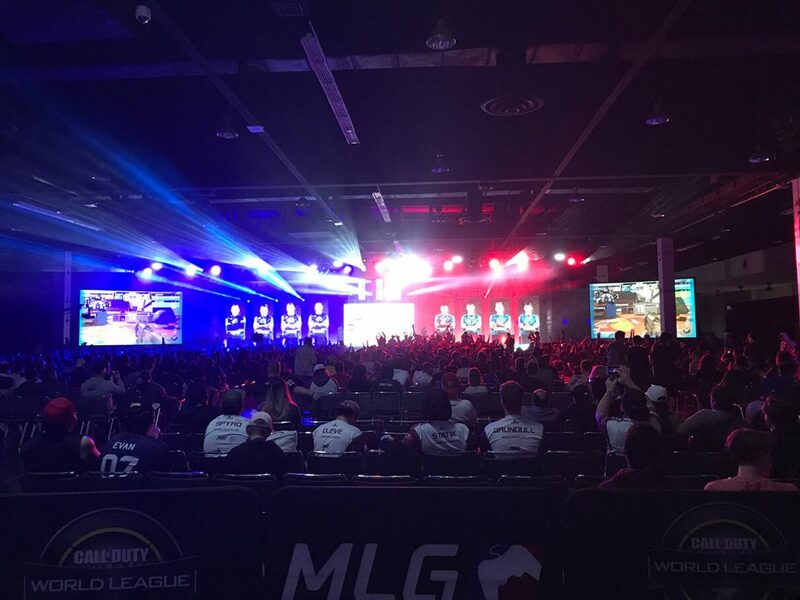 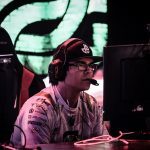 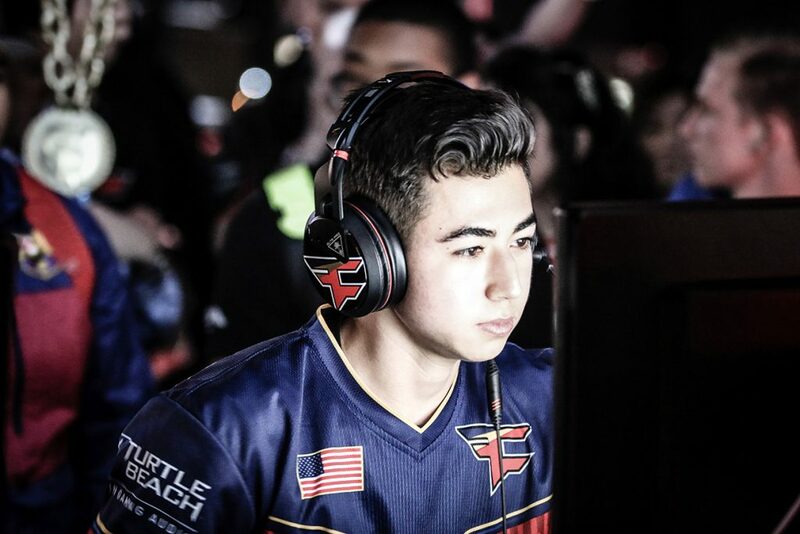 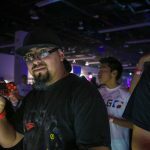 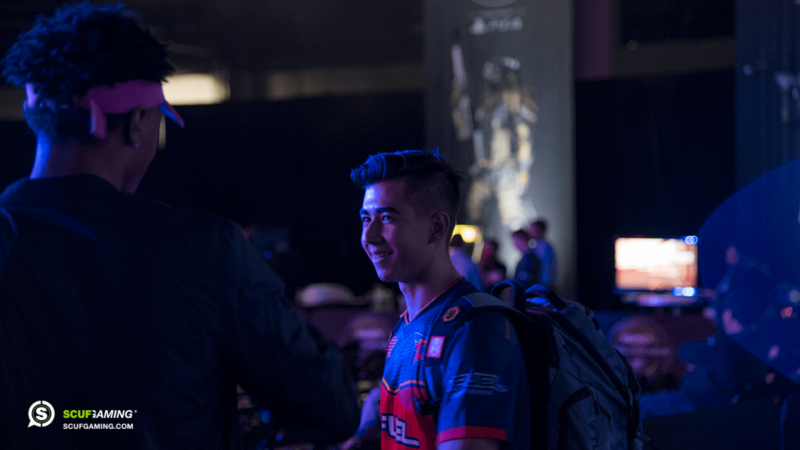 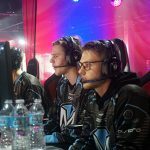 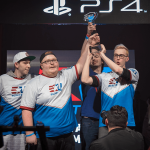 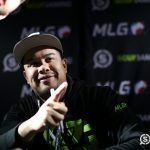 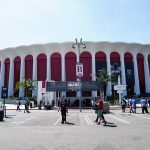 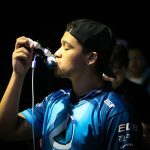 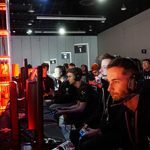 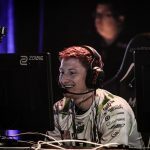 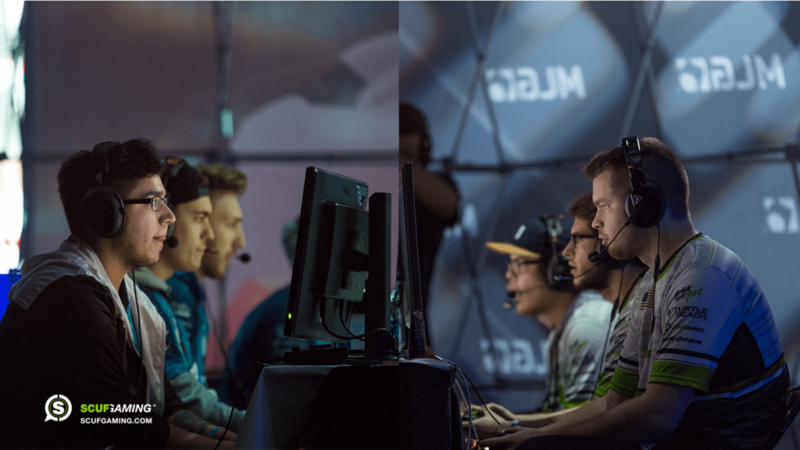 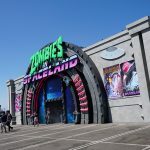 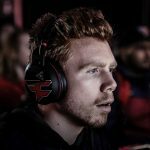 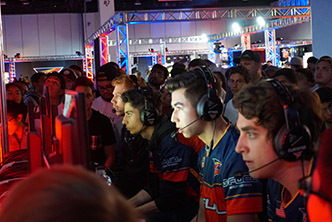 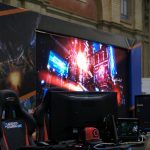 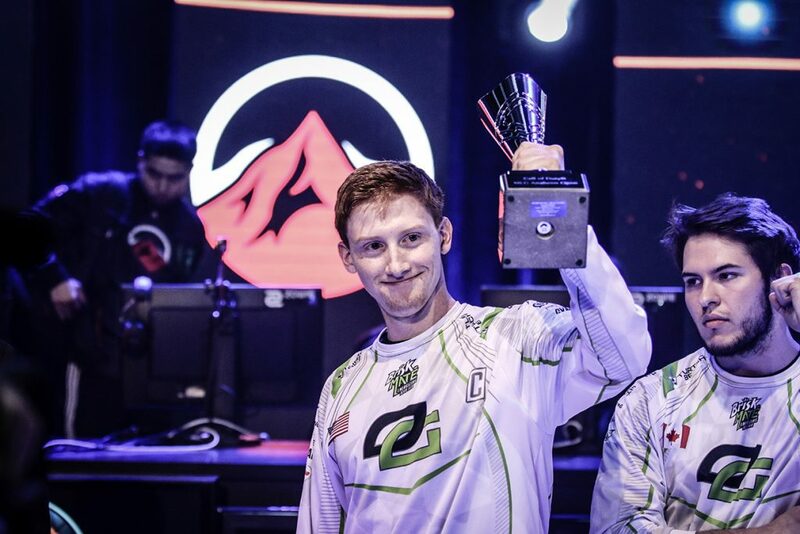 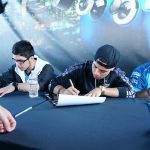 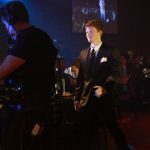 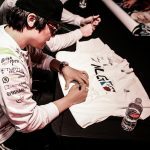 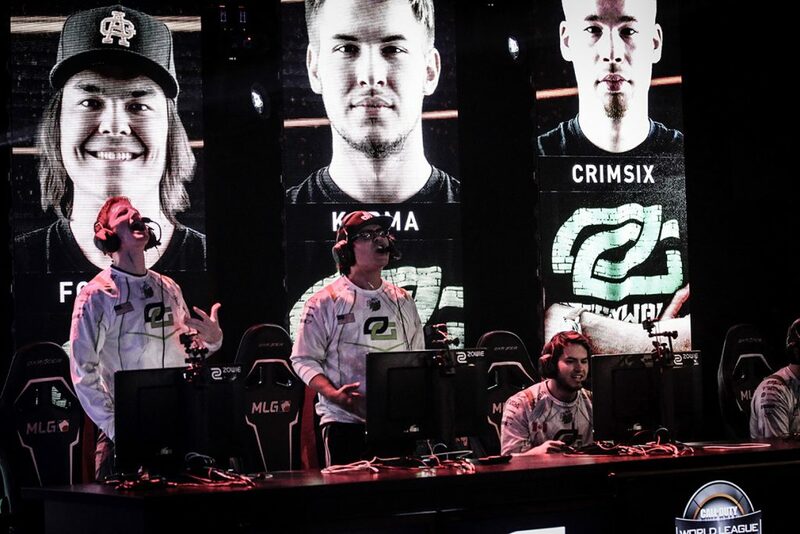 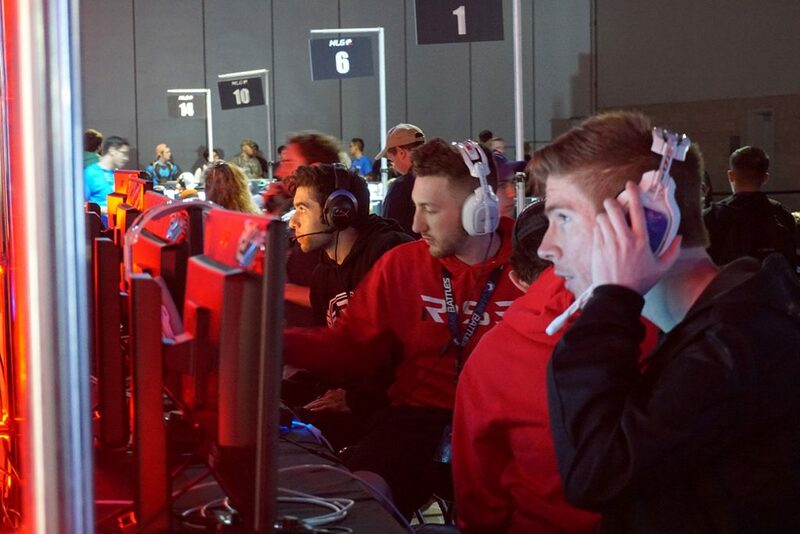 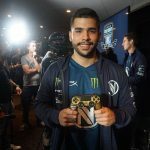 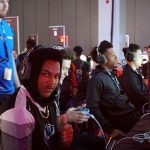 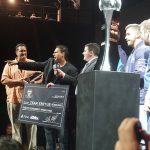 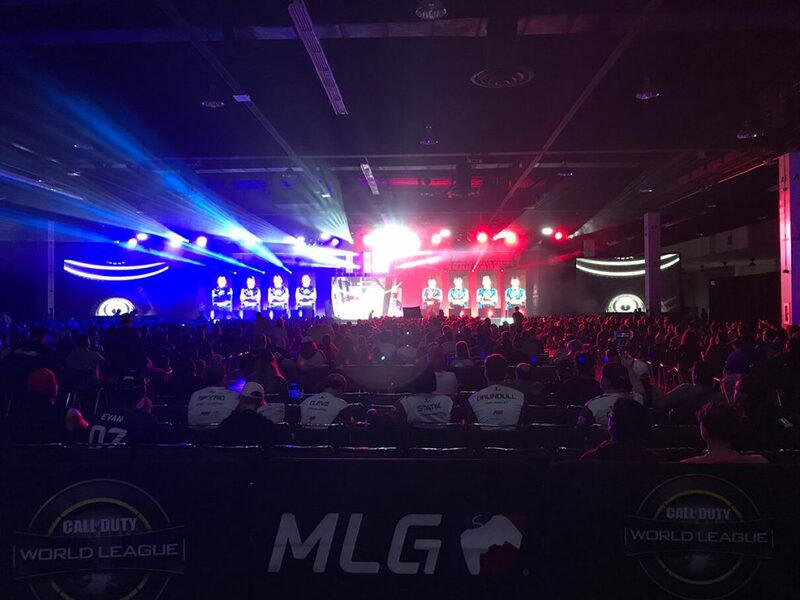 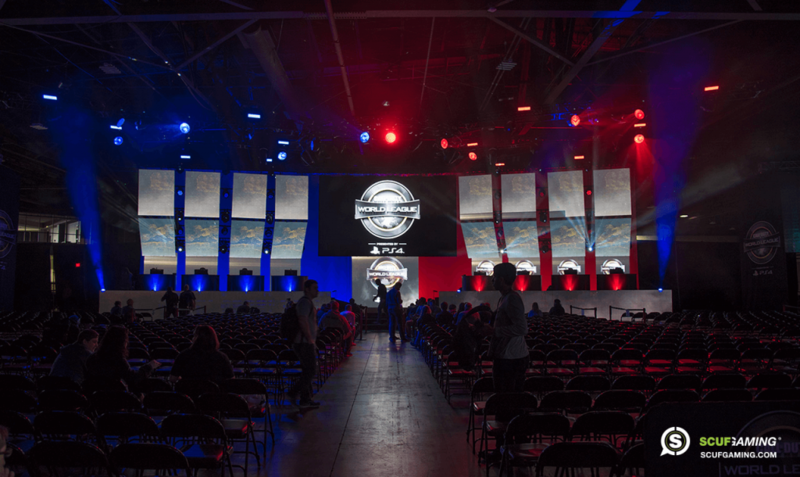 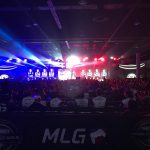 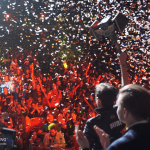 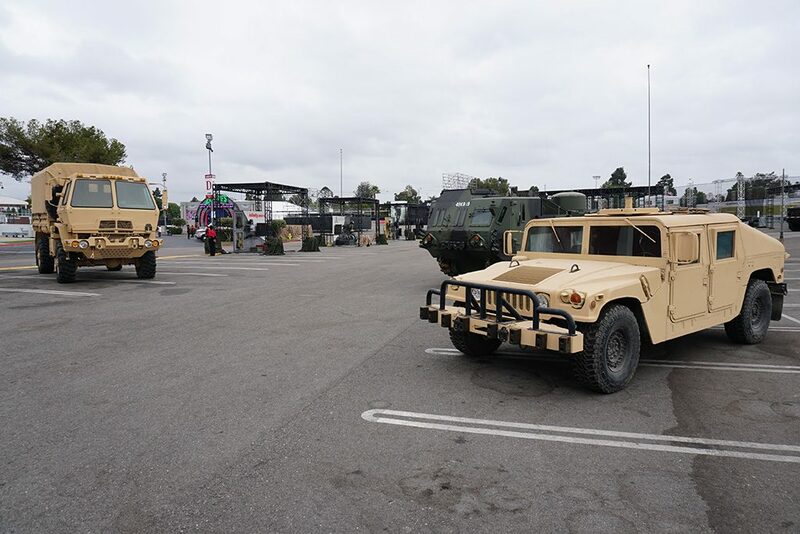 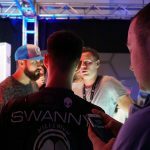 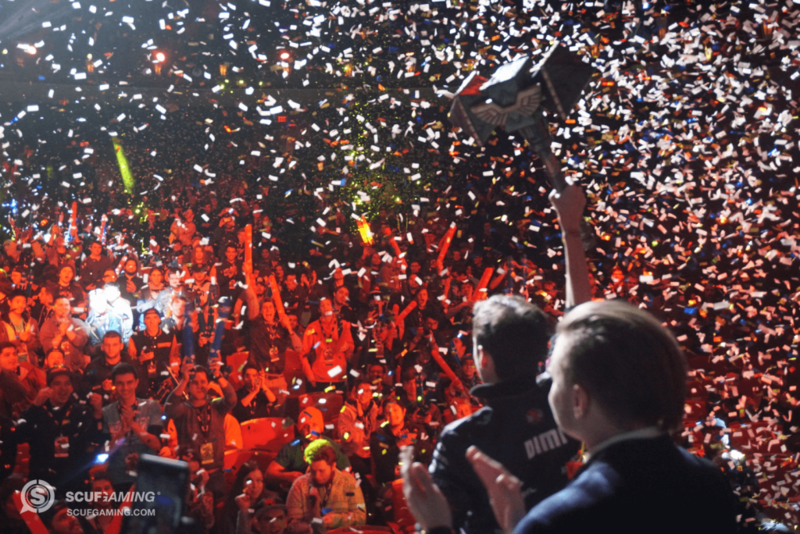 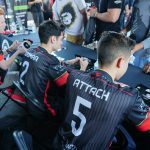 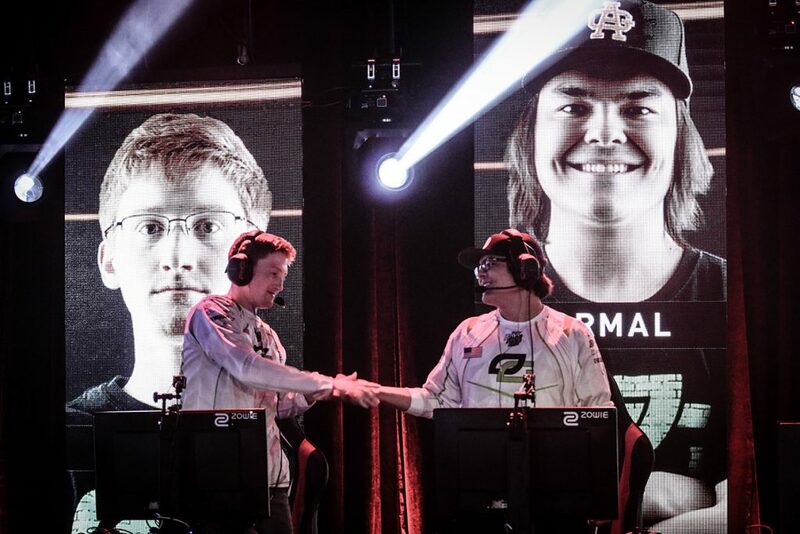 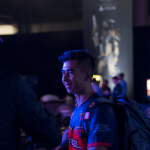 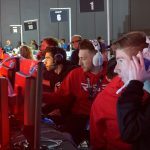 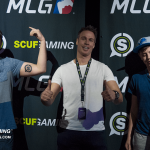 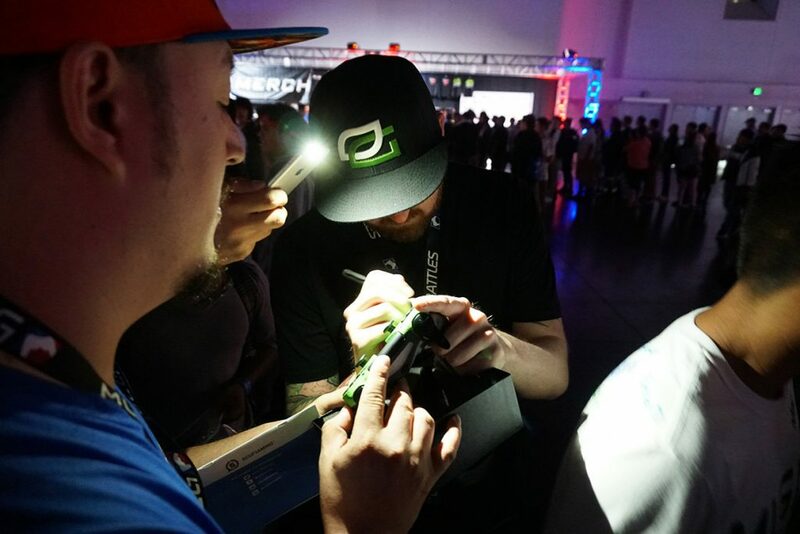 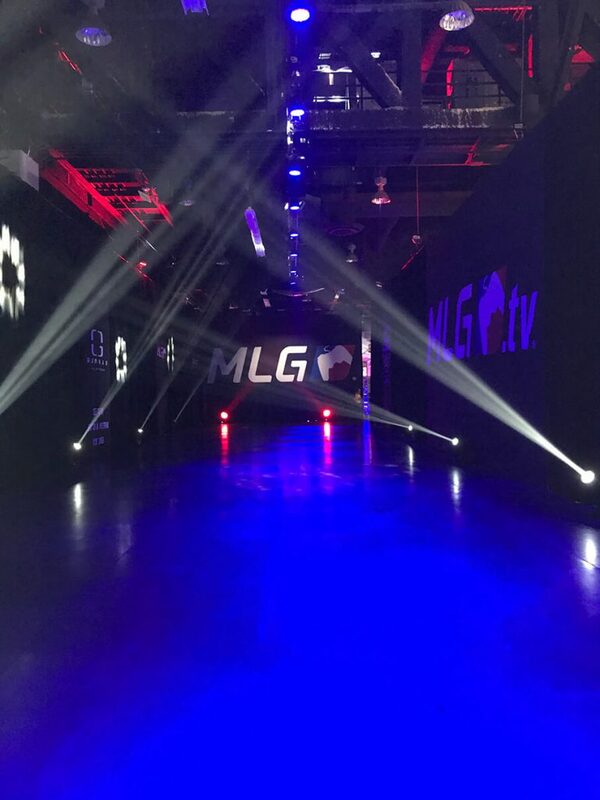 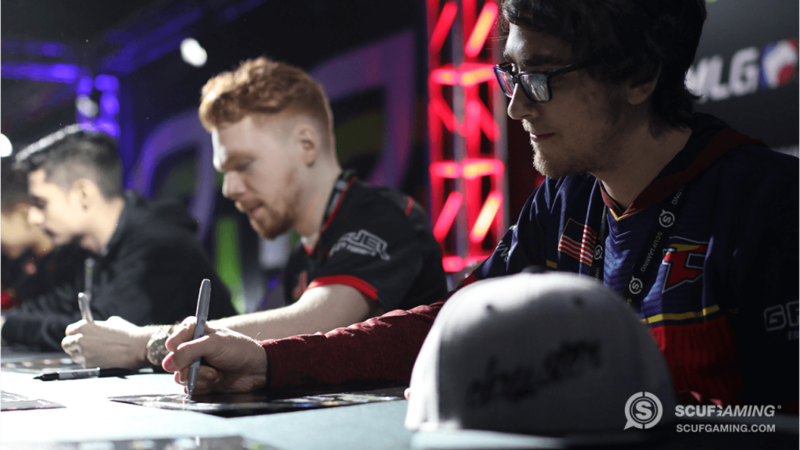 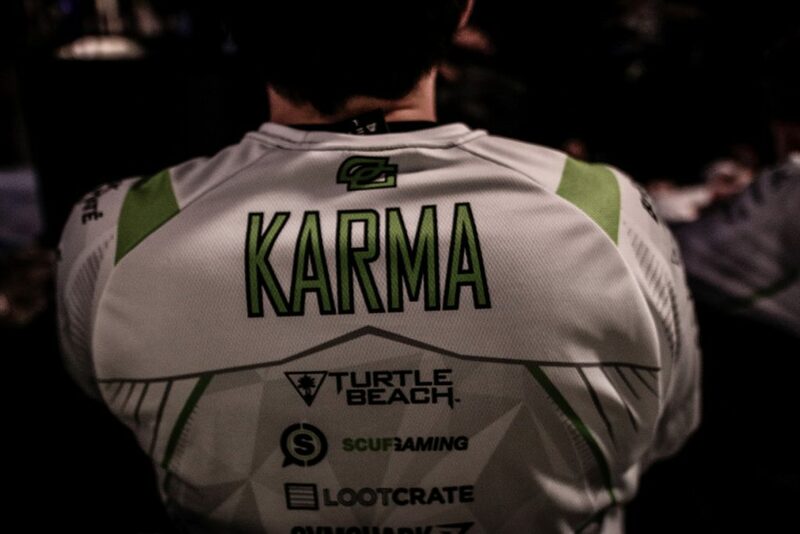 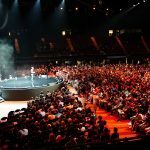 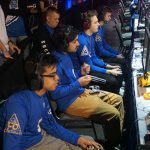 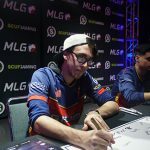 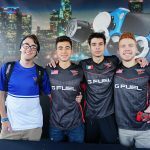 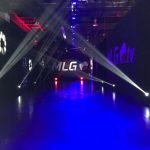 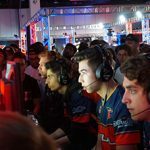 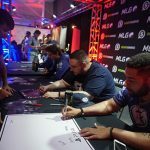 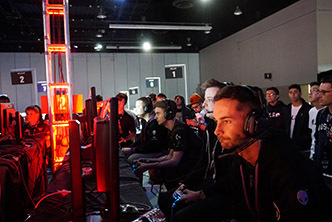 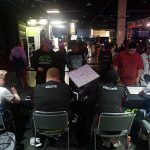 Between the MLG Anaheim Giveaway, all the battles onstage, and the autograph sessions with teams like OpTic, FaZe, EnVyUs, eUnited, and Luminosity, there was no limit of excitement. 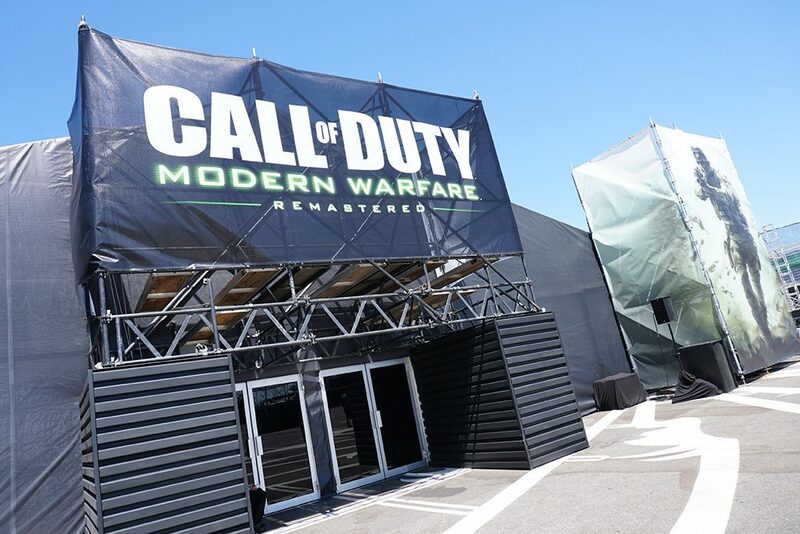 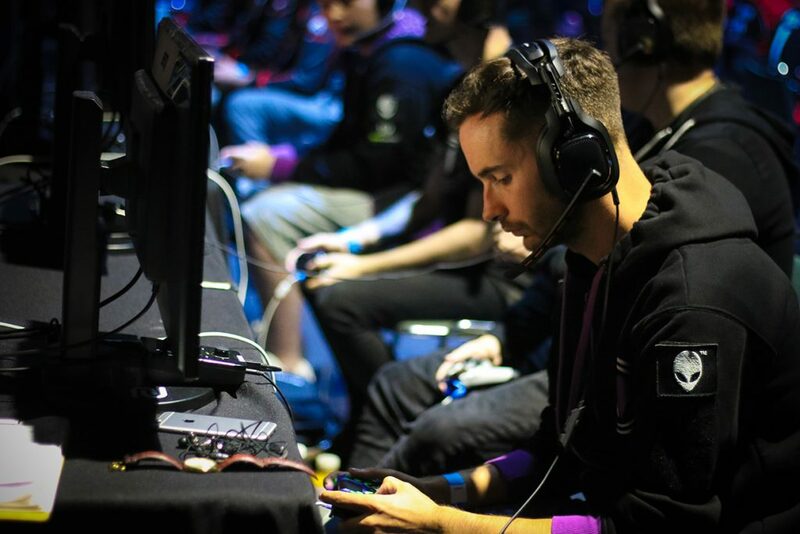 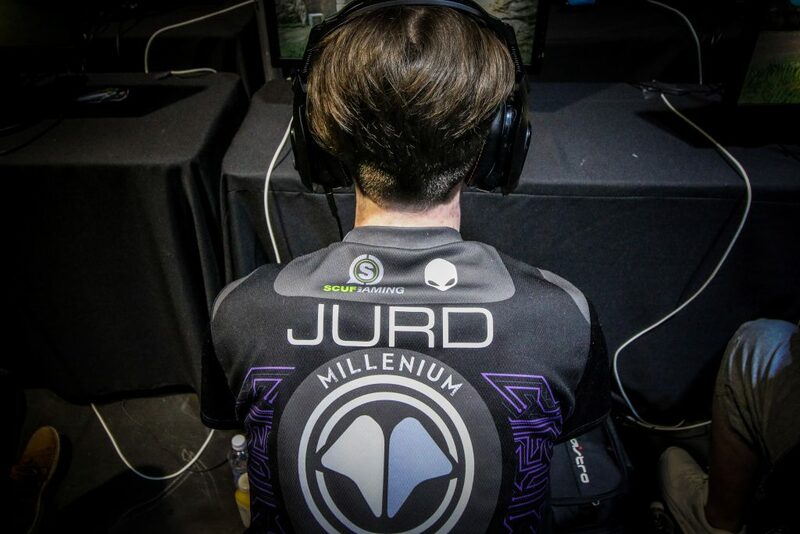 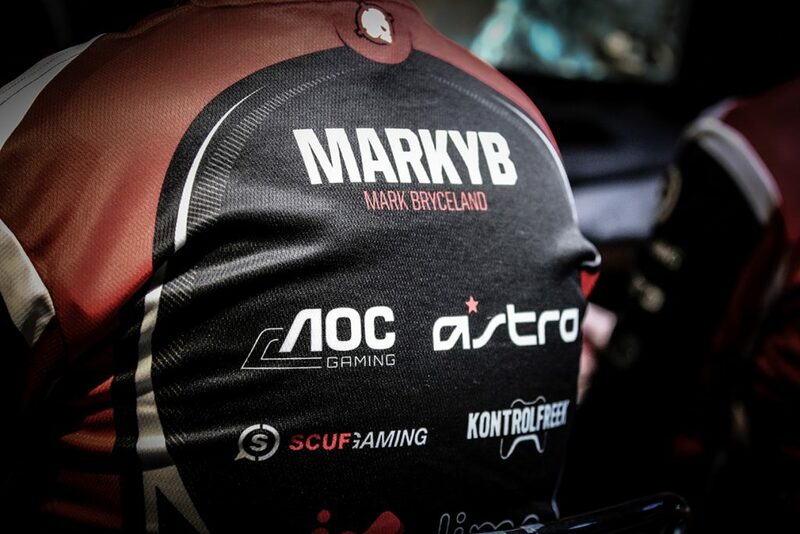 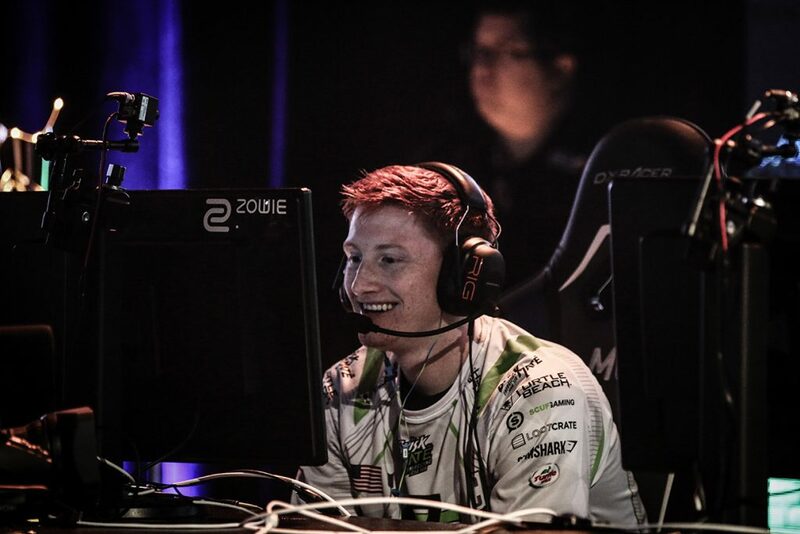 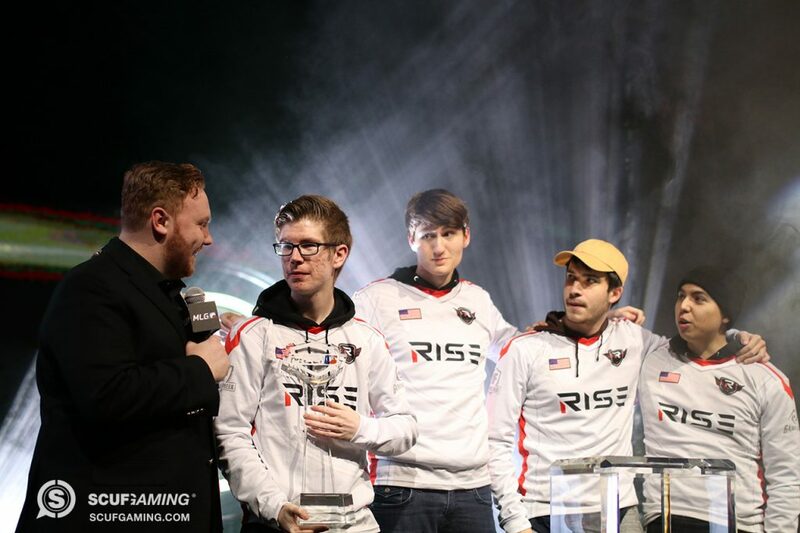 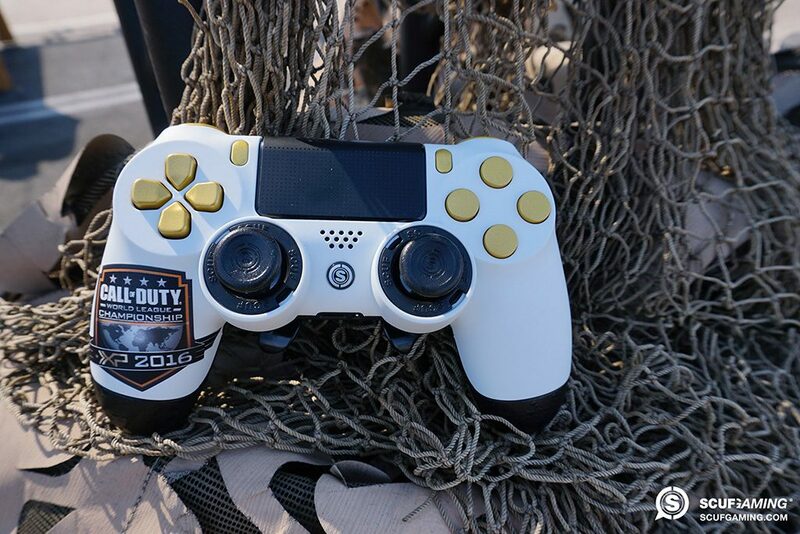 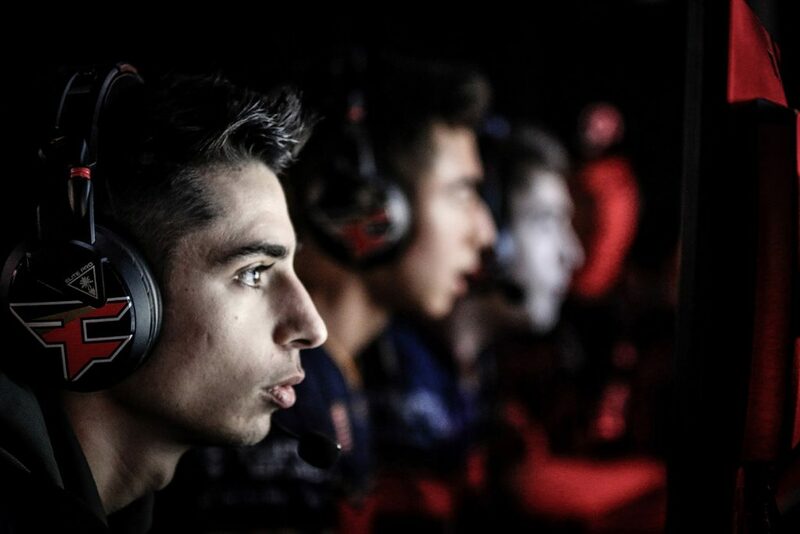 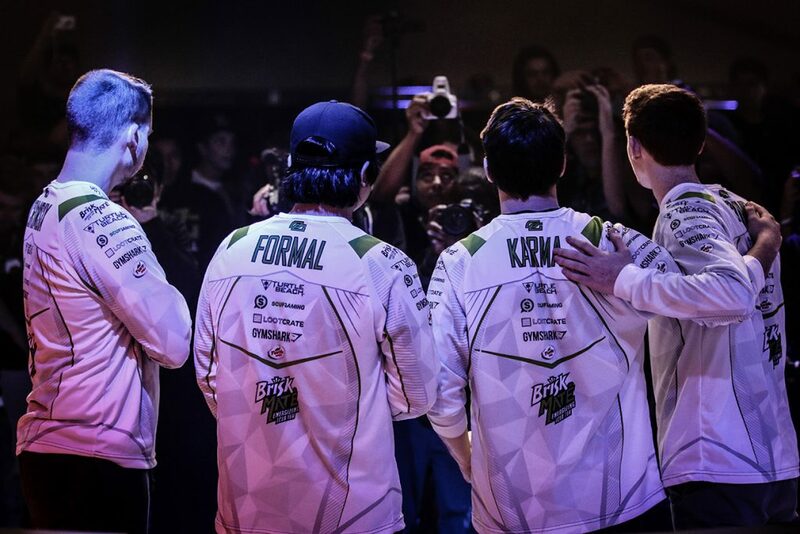 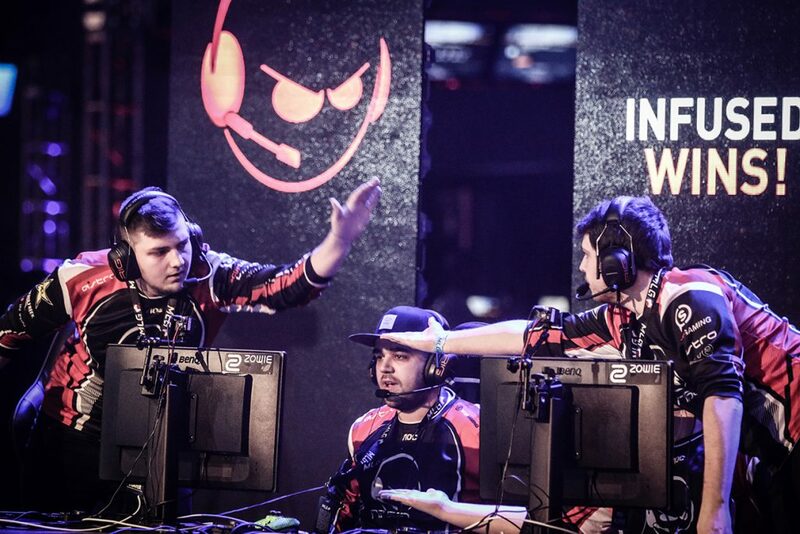 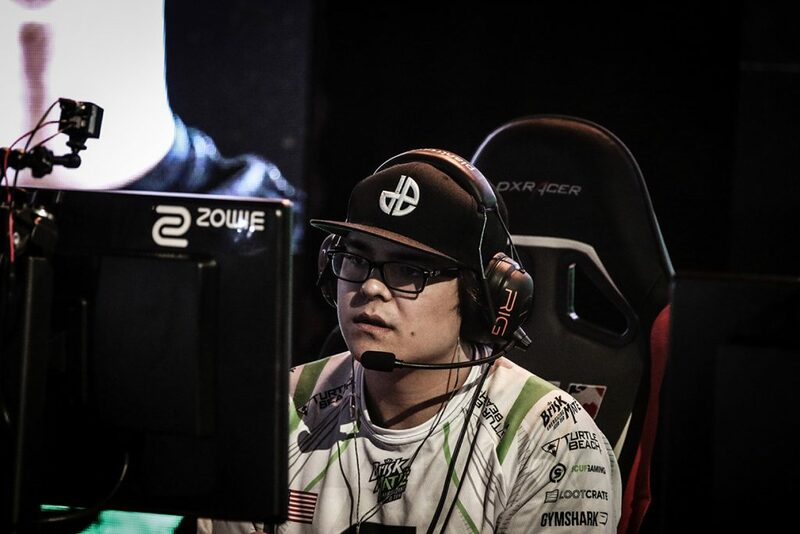 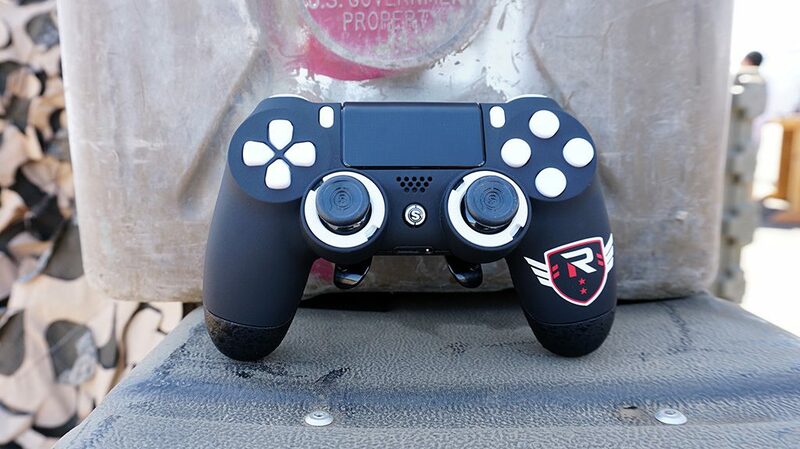 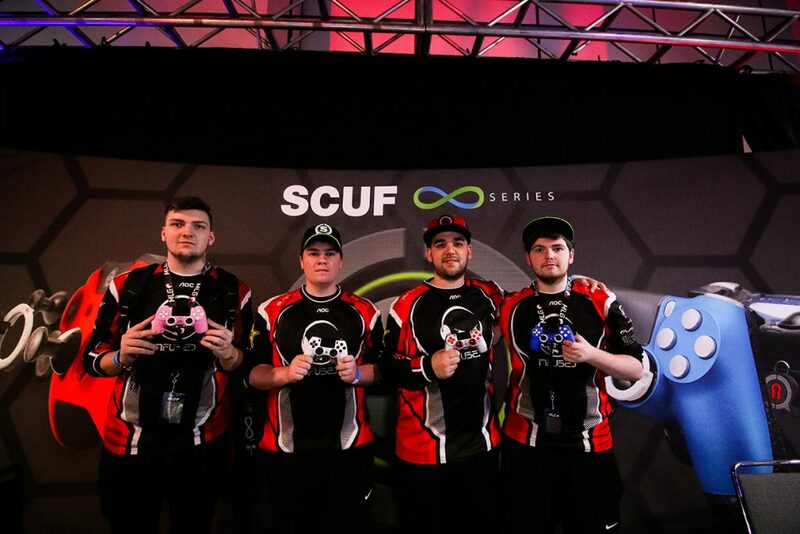 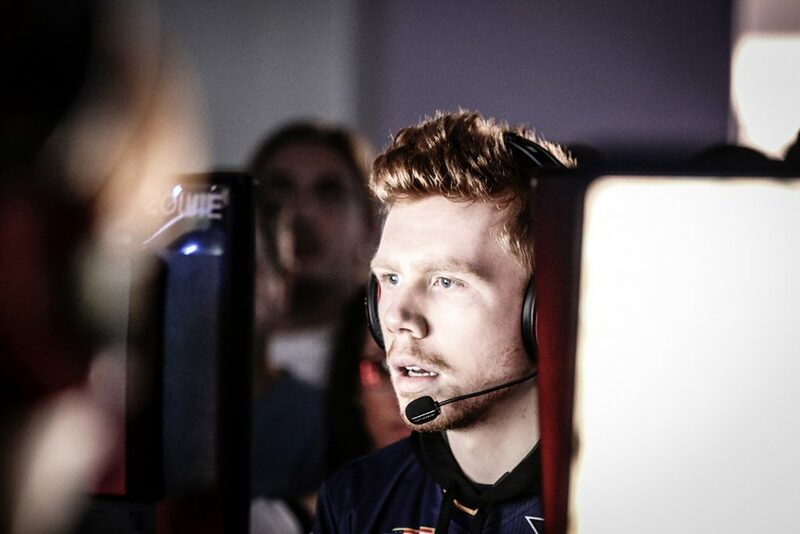 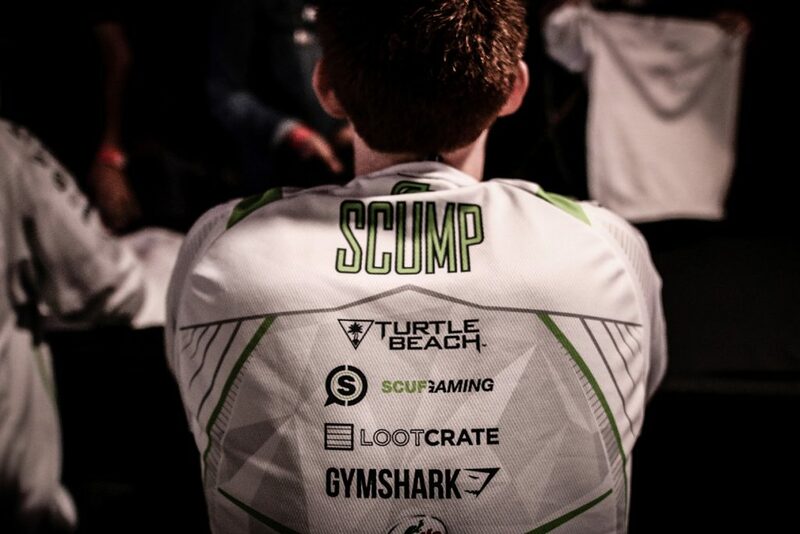 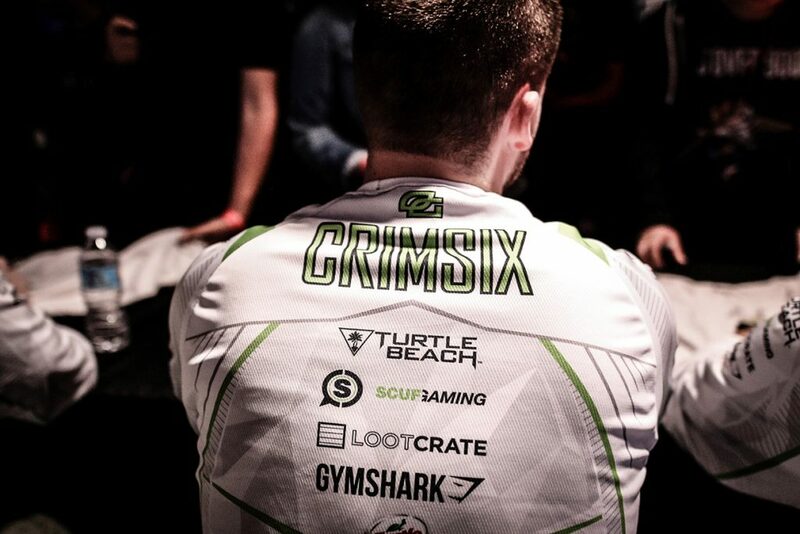 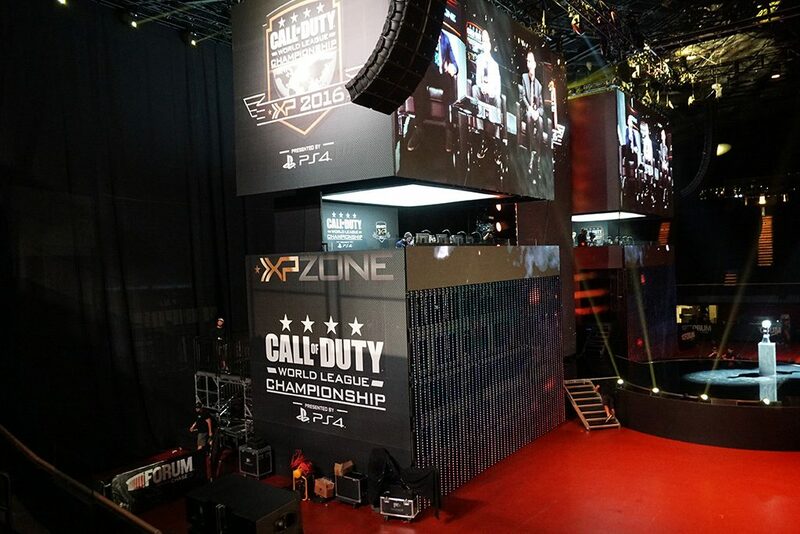 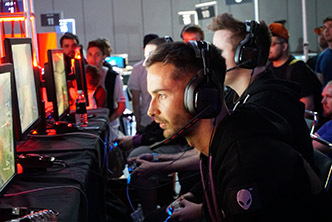 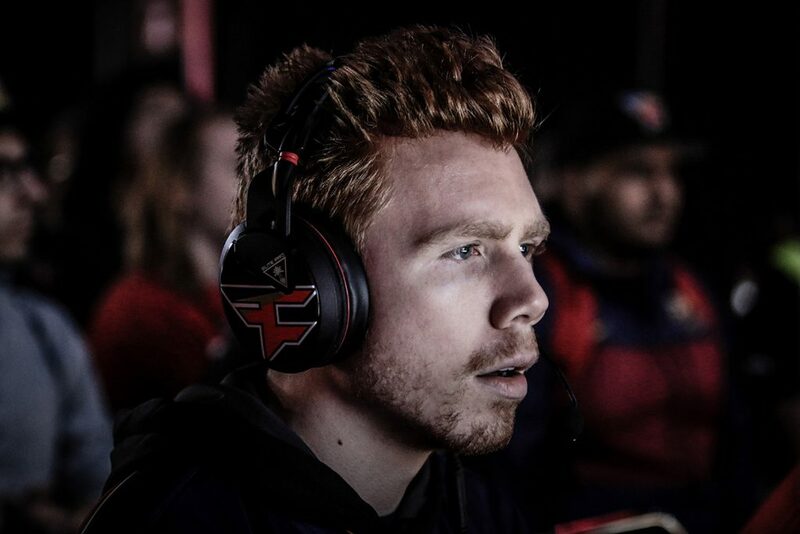 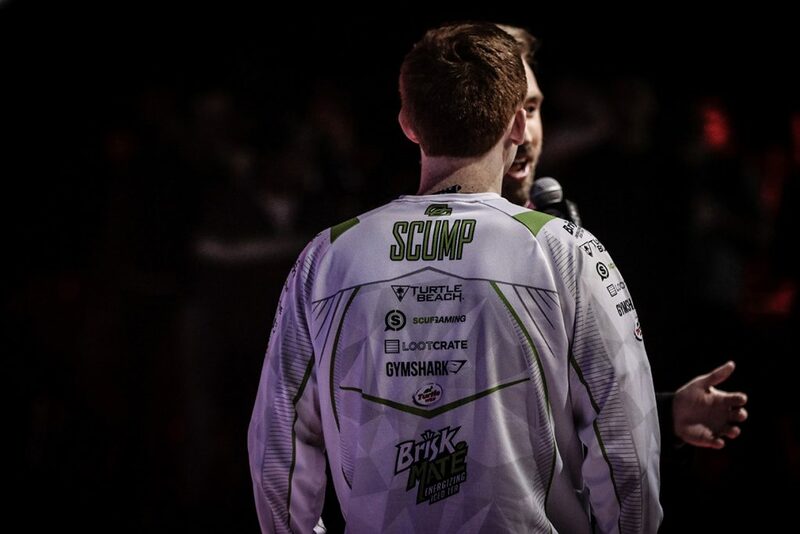 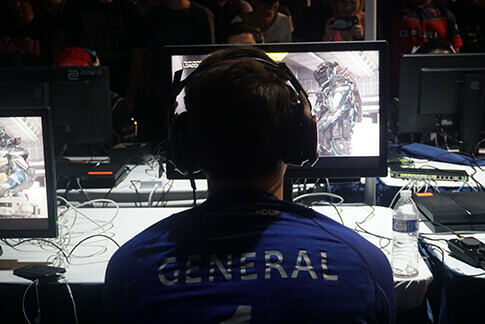 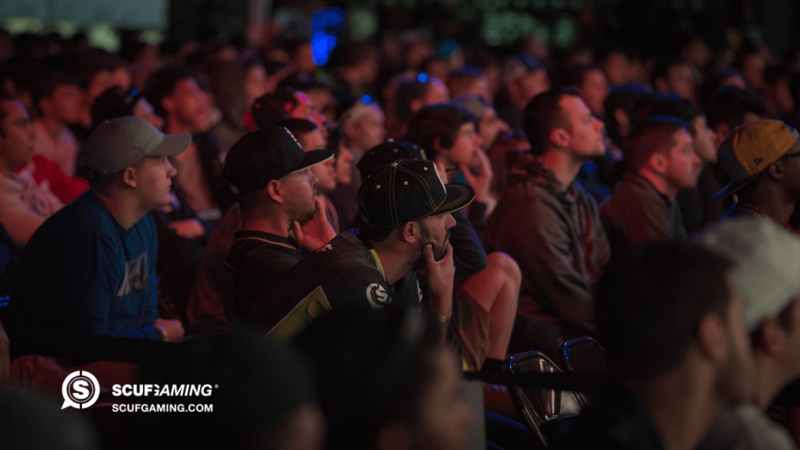 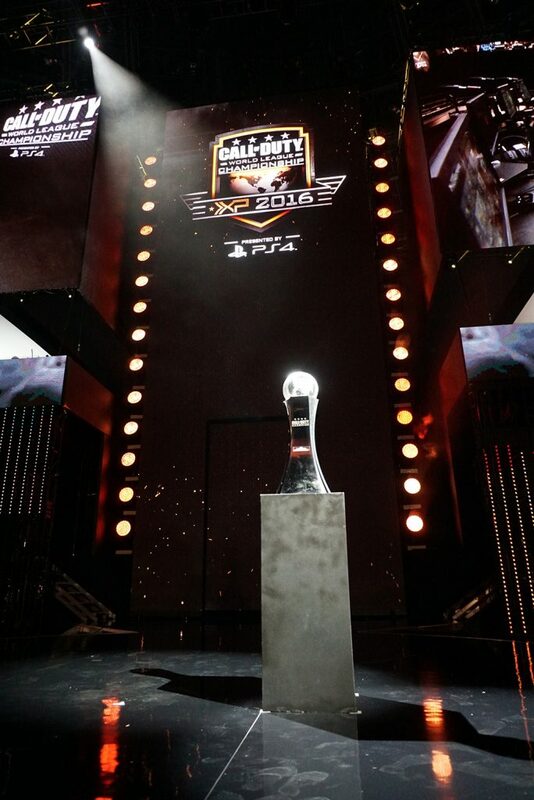 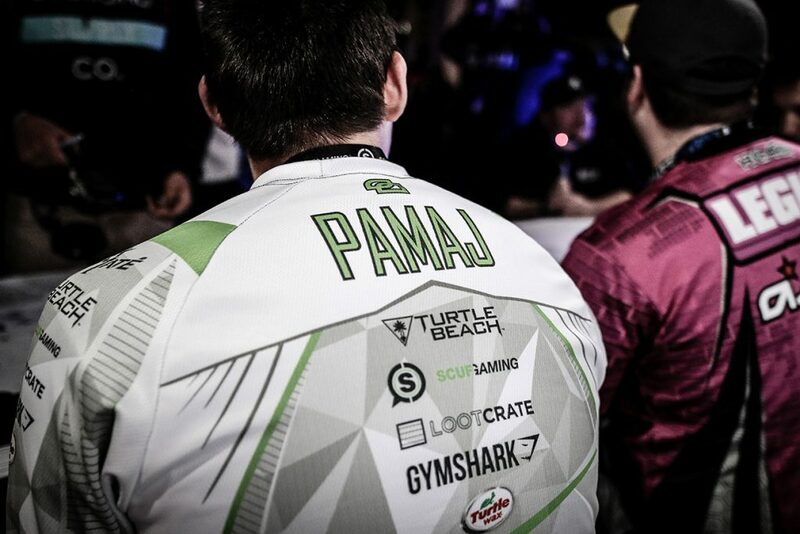 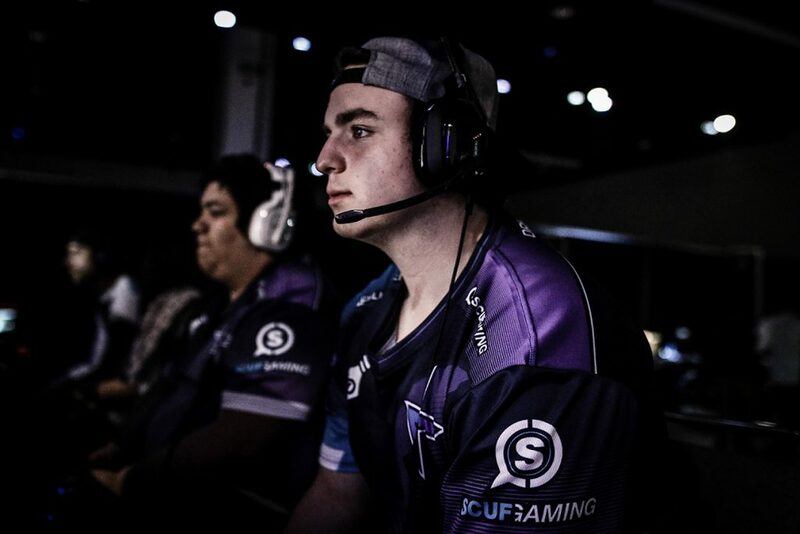 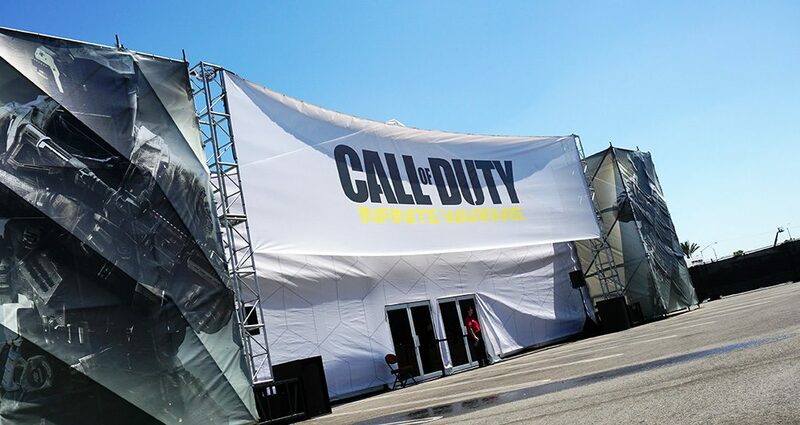 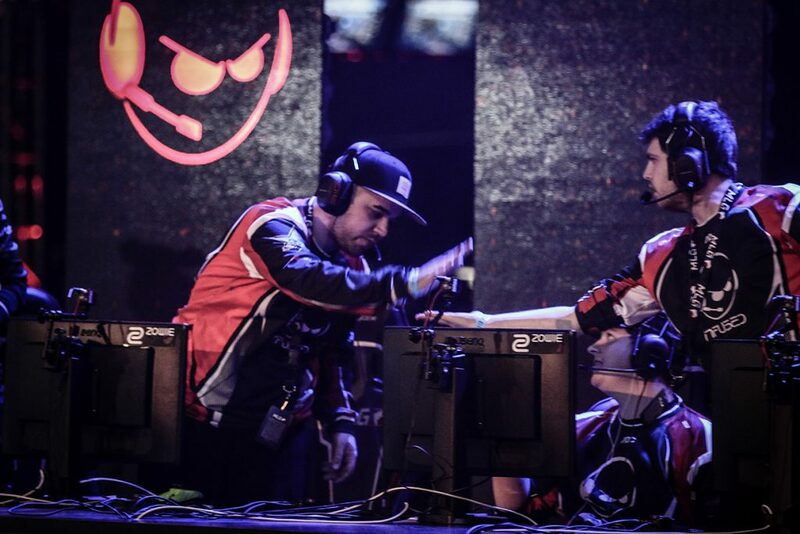 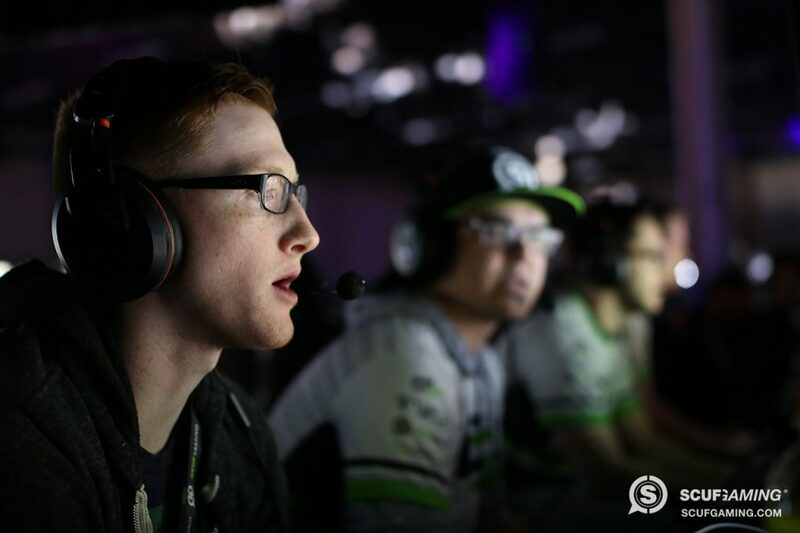 Now, we are hyped and geared up for these final months of competition before the CoD World Championship in August! 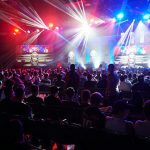 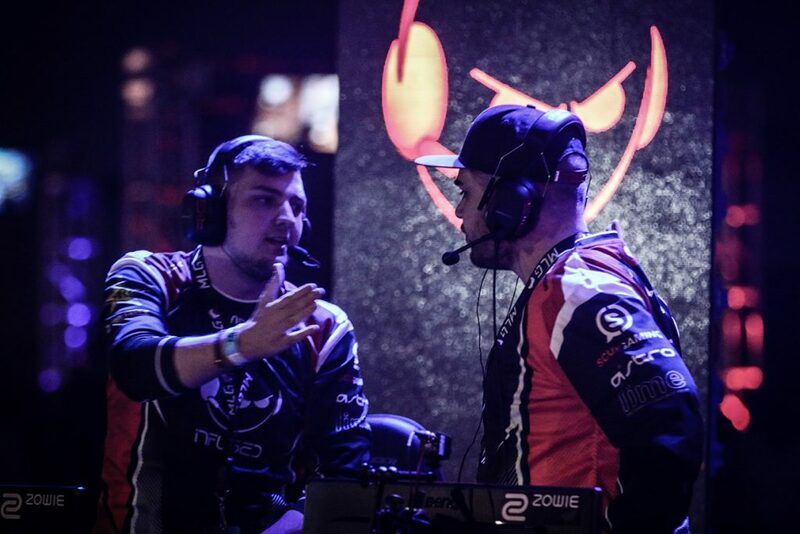 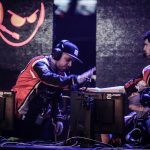 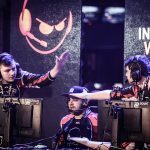 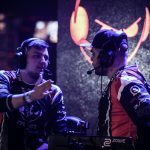 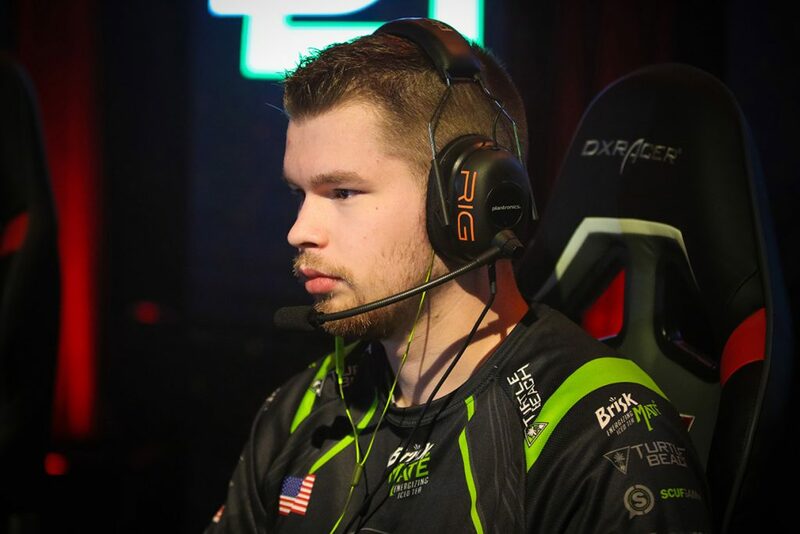 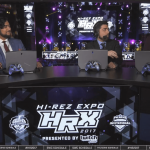 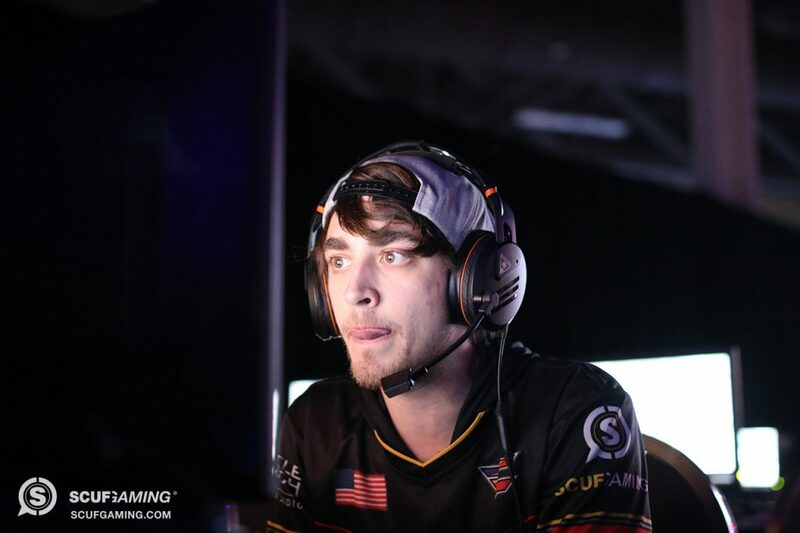 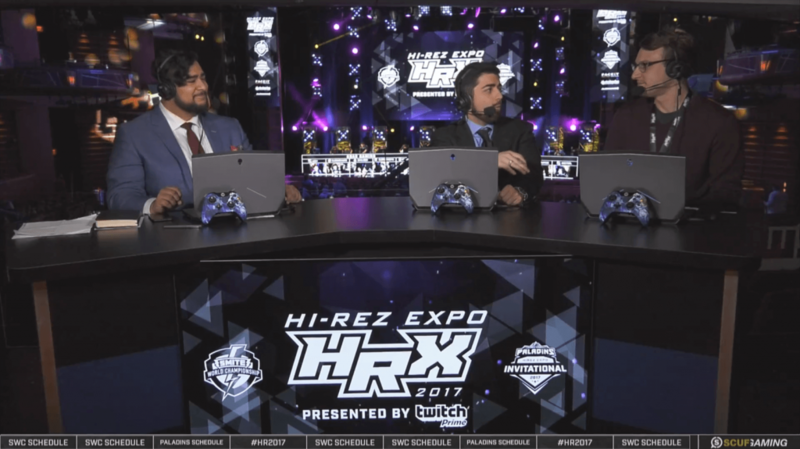 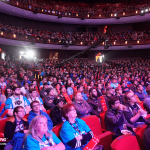 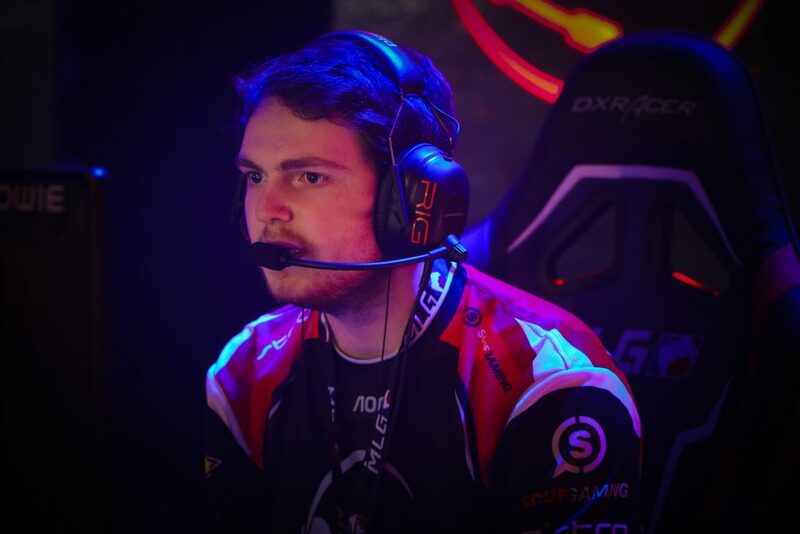 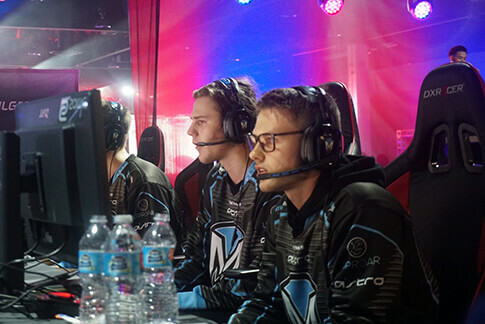 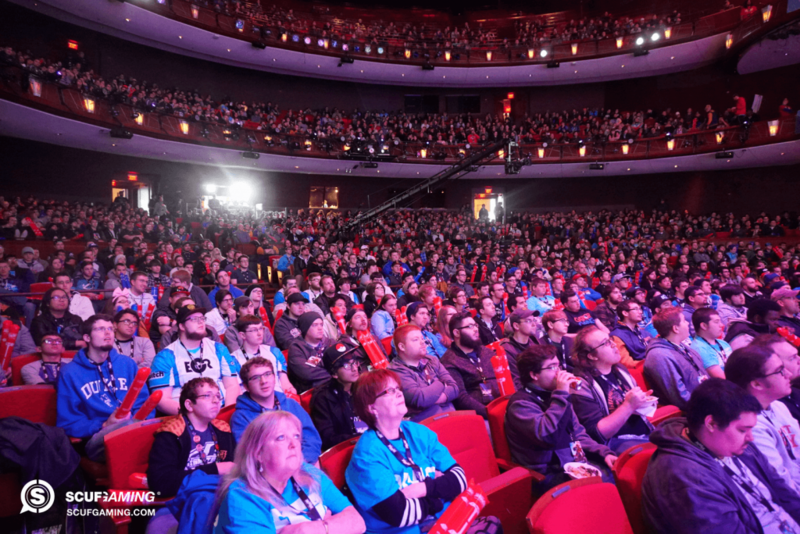 With some of the best plays and upsets we’ve seen in a long time, MLG Atlanta was just the sort of event that will give a jolt to the other tournaments we can look forward to this year. 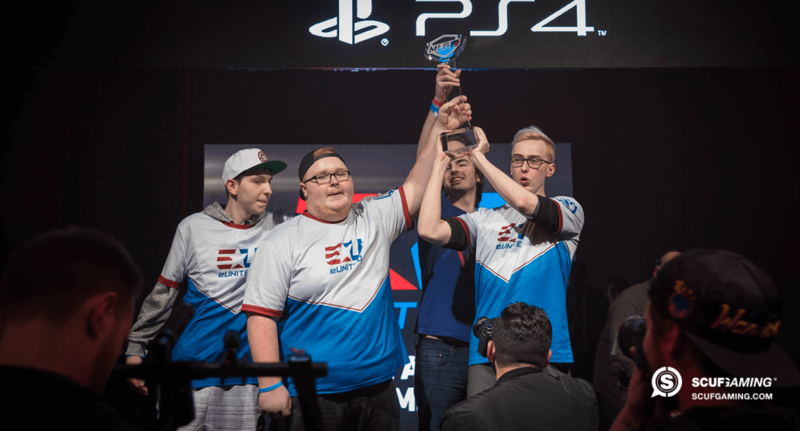 Against all odds, eUnited fought their way to the front of the line, taking home the big win after a series against OpTic Gaming that got everyone in the crowd chanting. 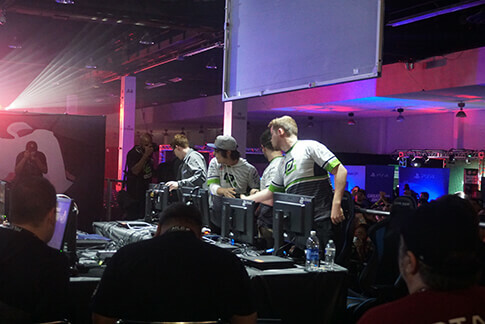 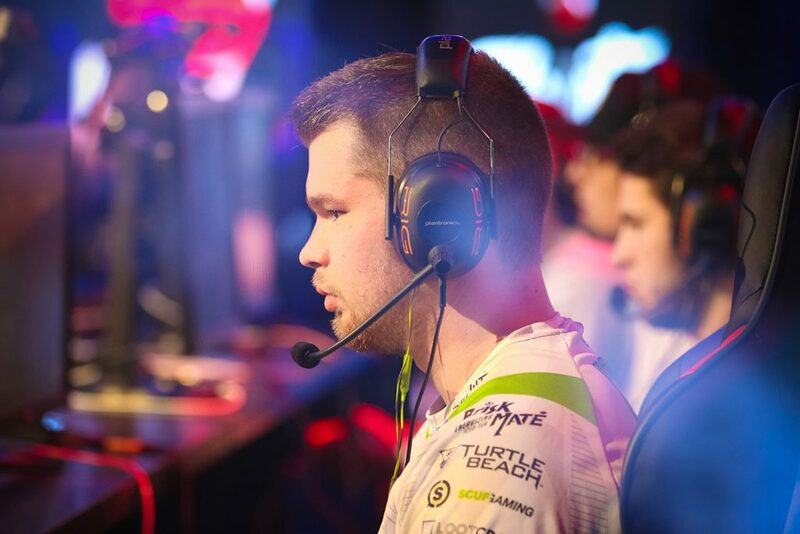 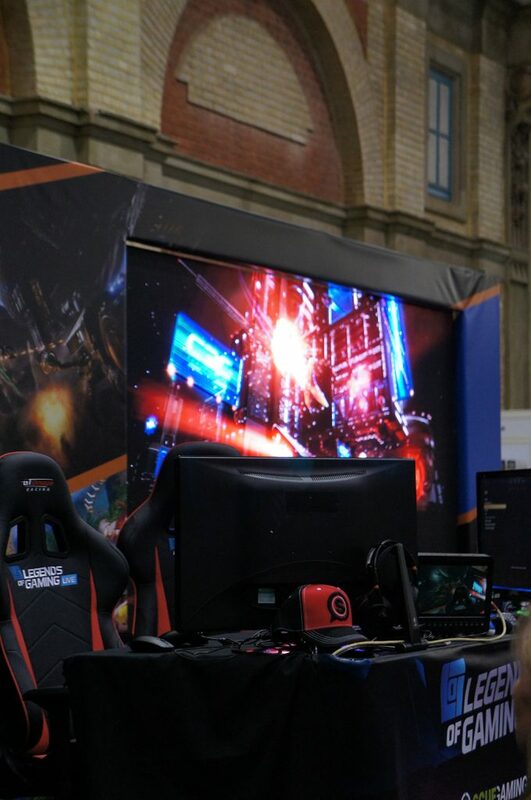 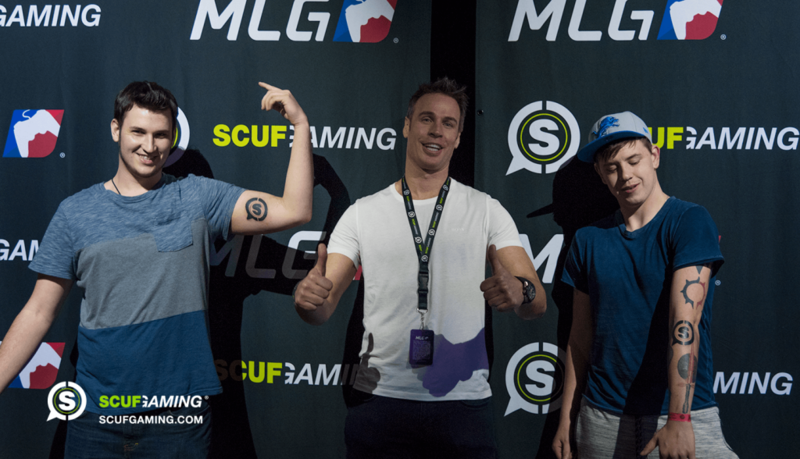 Like any other MLG event, we’re sad to see this one end. 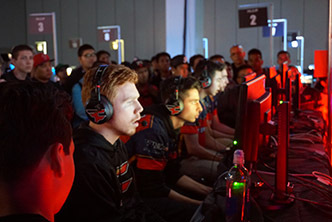 But there’s one thing for certain: it’s gotten us fired up for MLG Dallas! 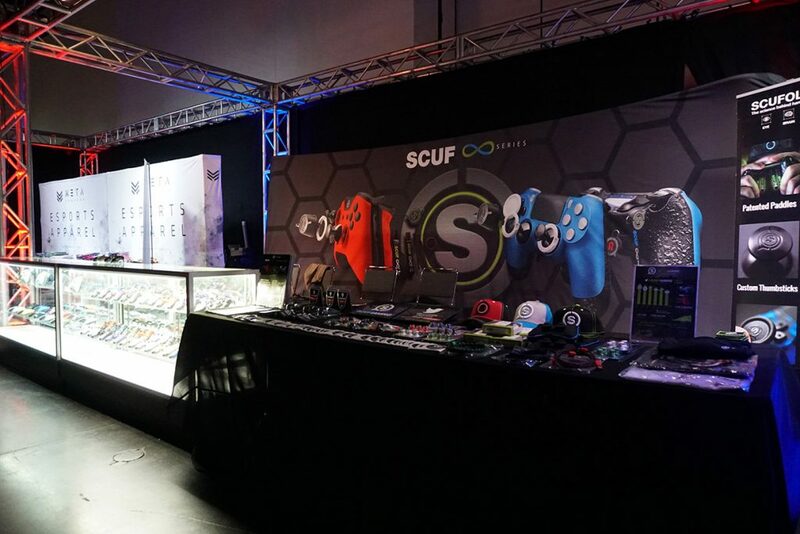 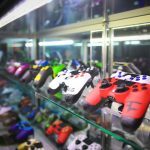 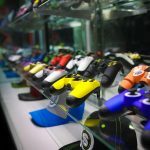 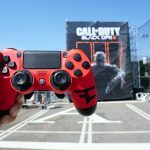 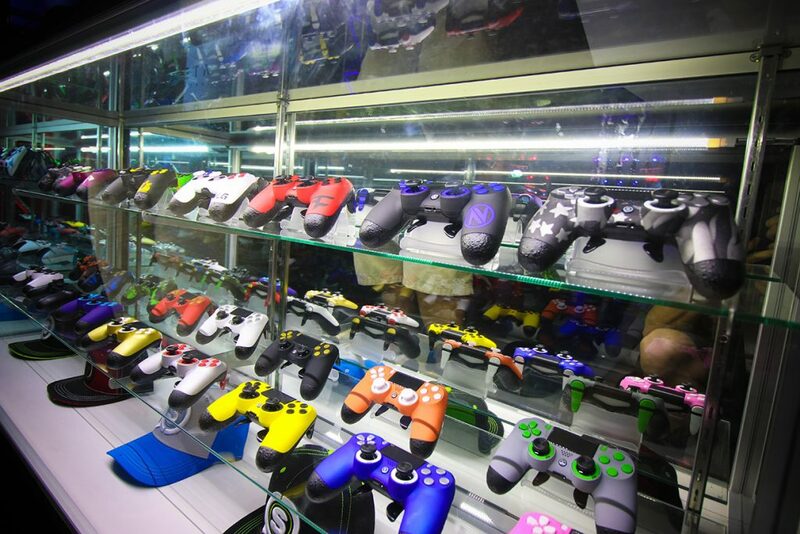 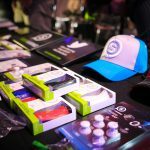 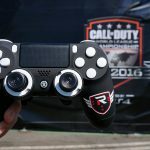 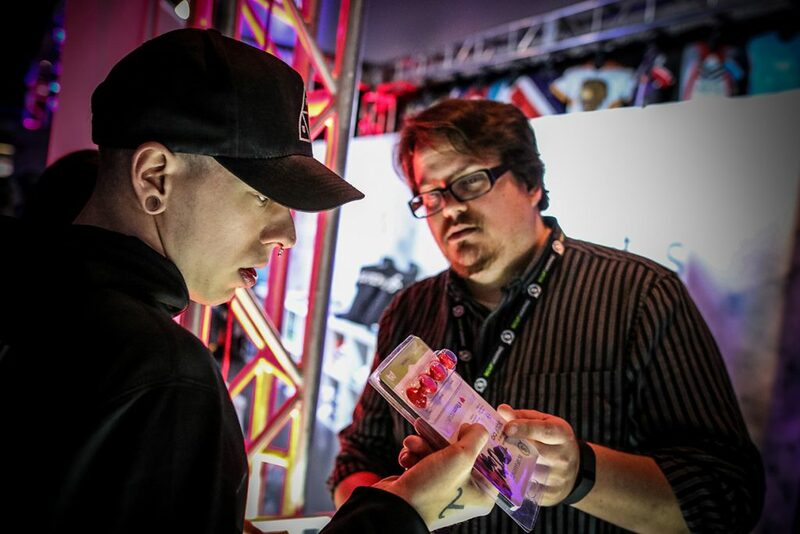 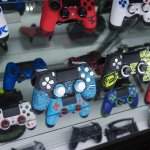 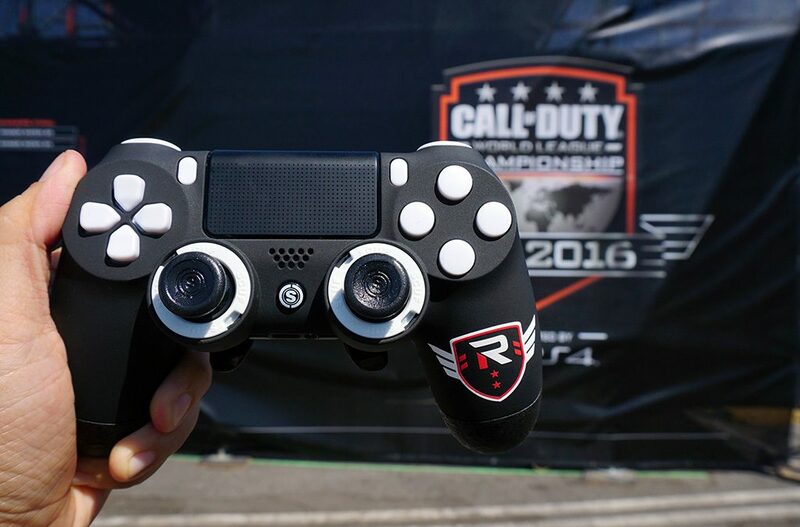 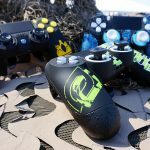 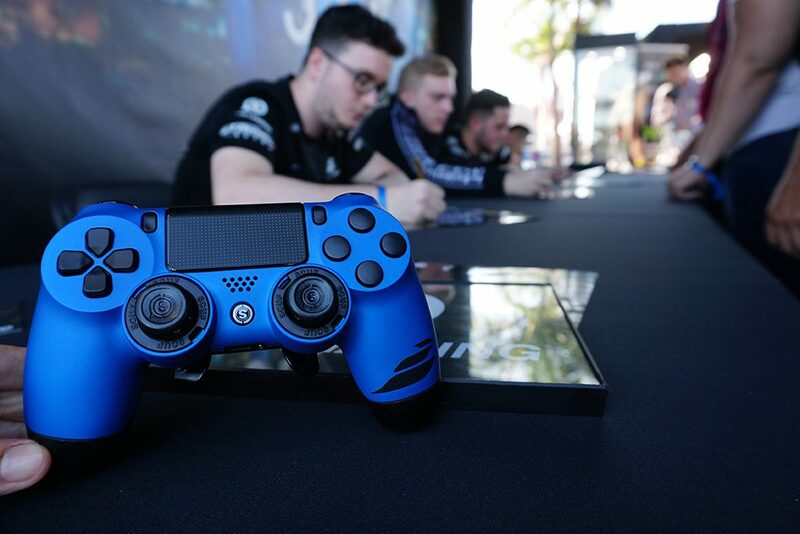 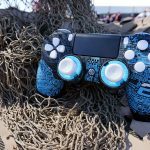 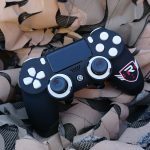 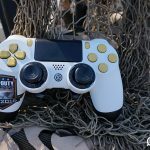 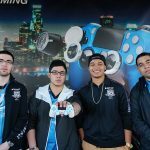 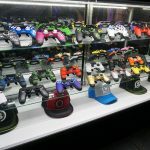 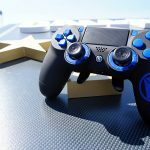 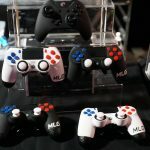 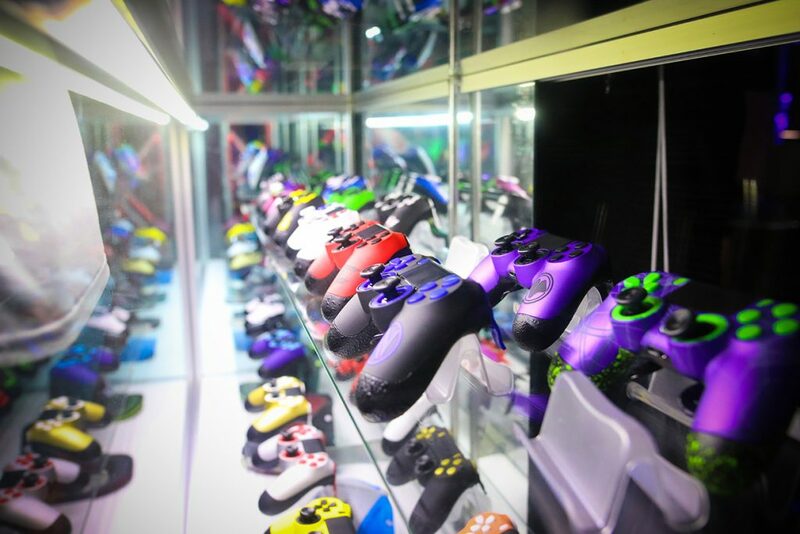 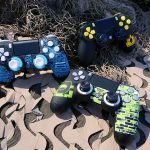 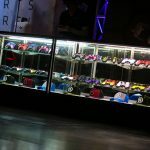 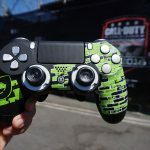 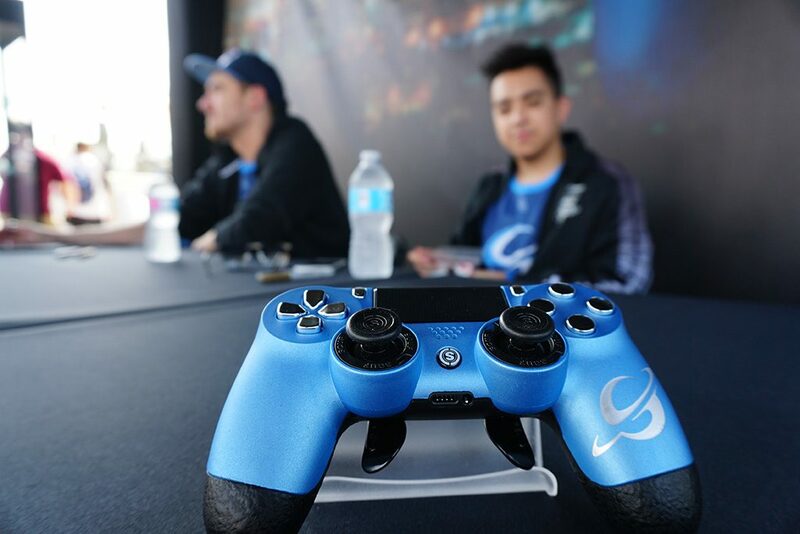 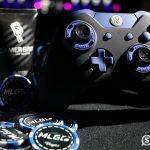 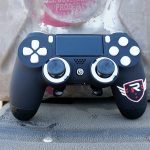 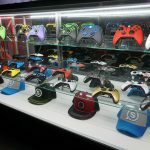 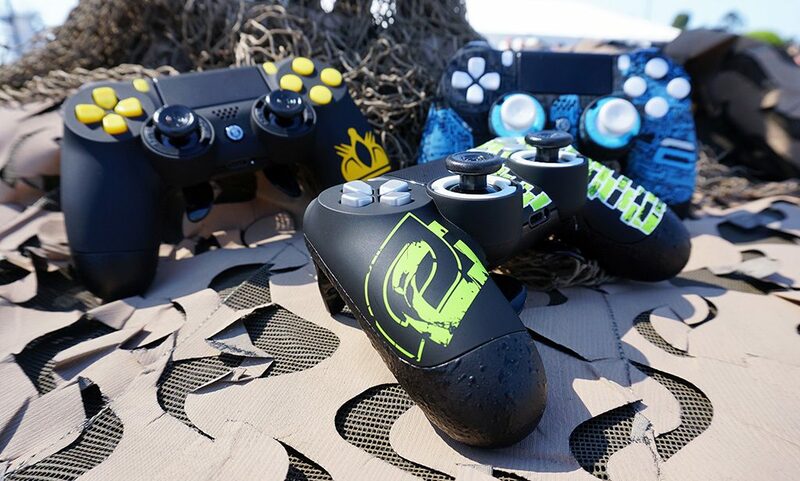 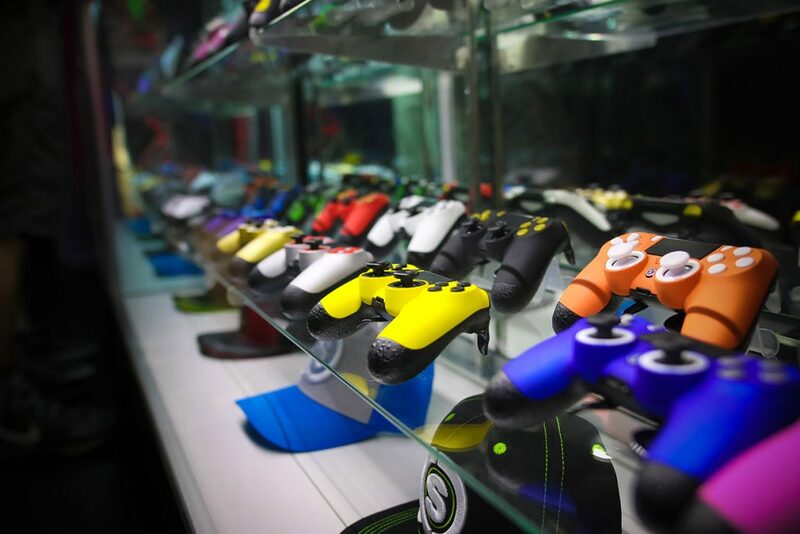 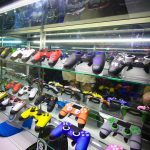 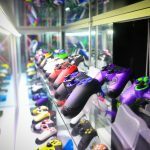 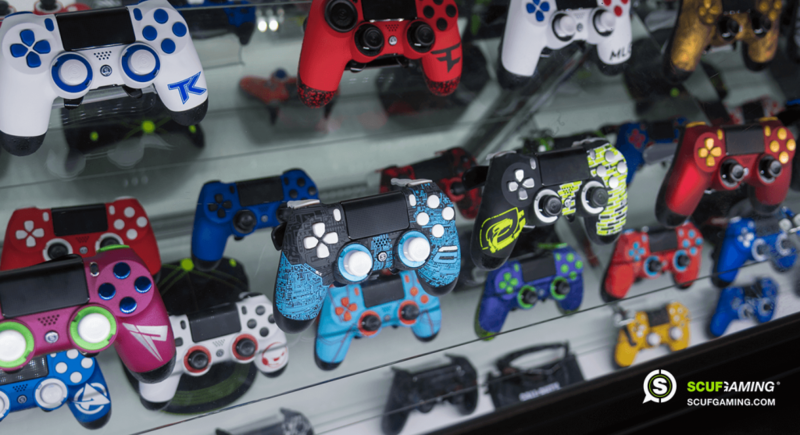 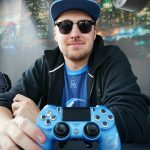 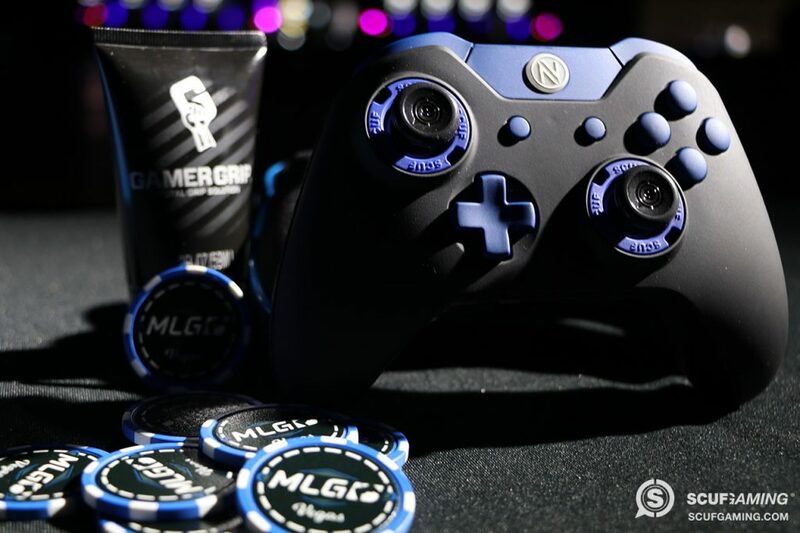 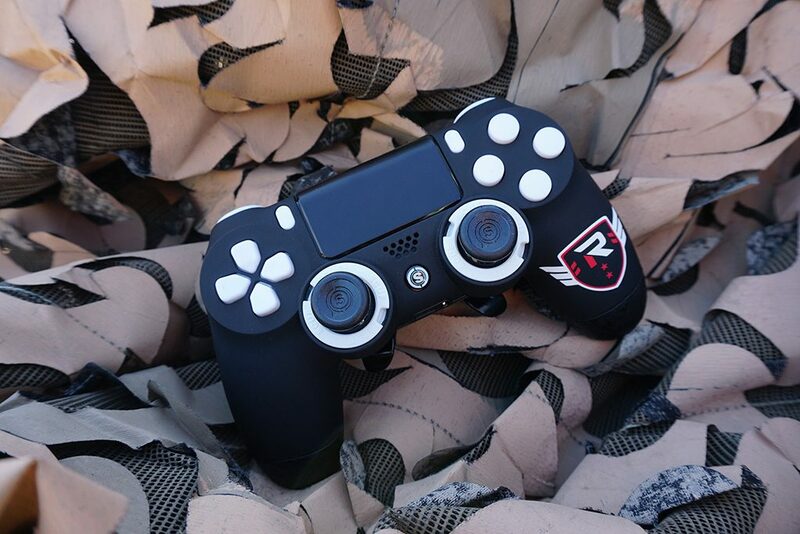 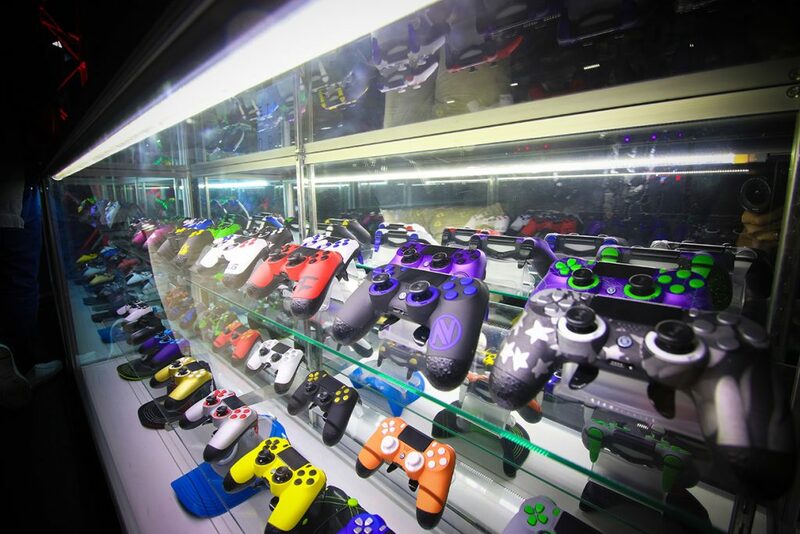 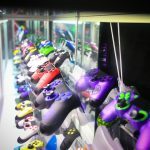 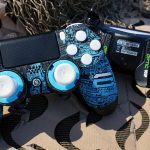 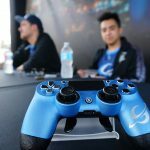 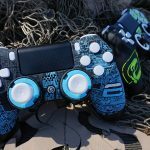 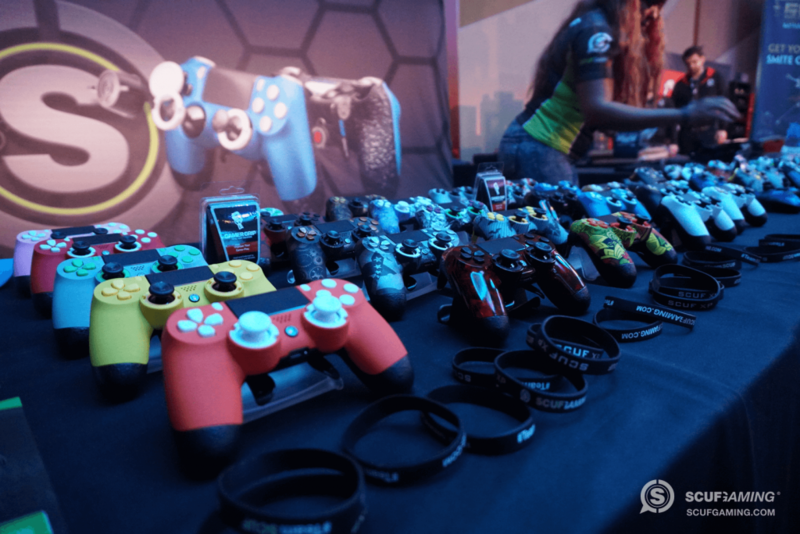 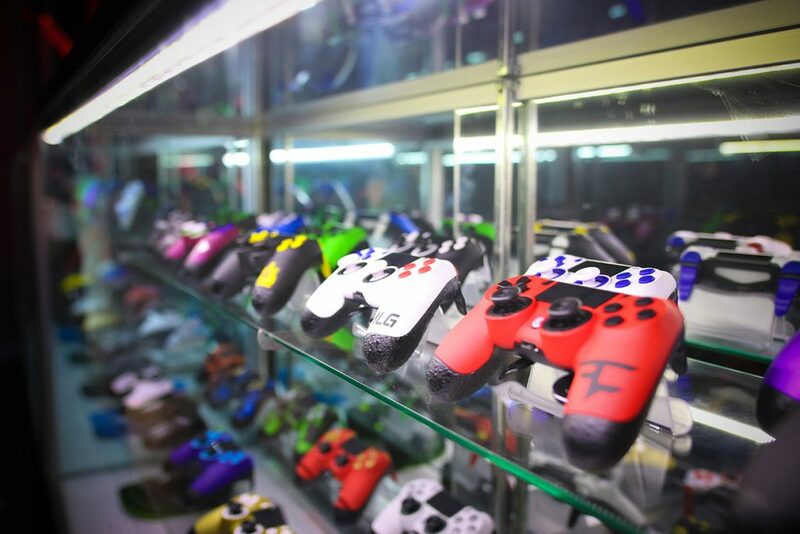 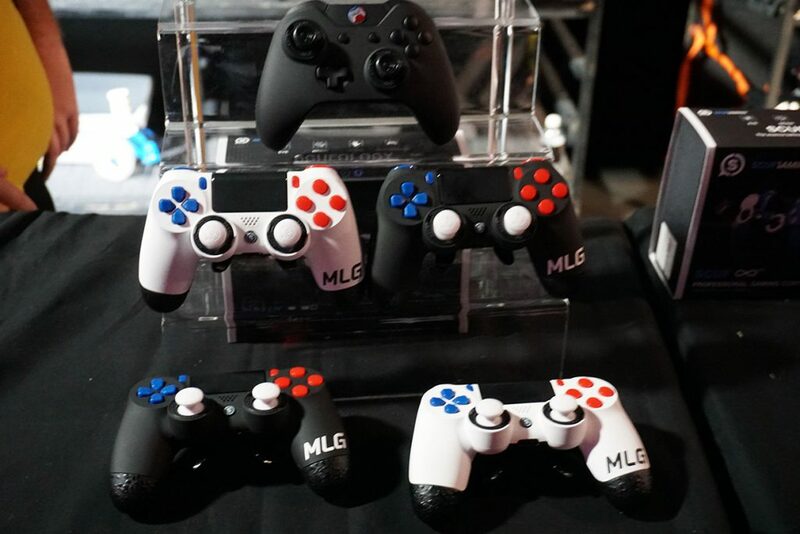 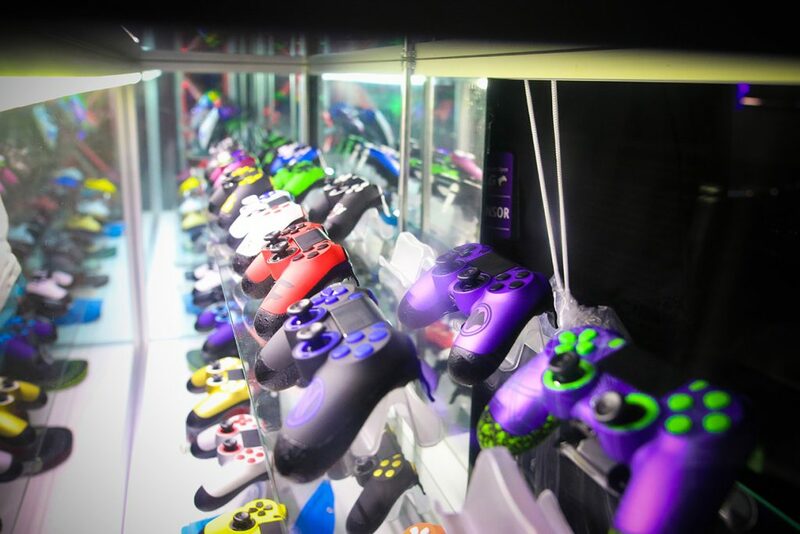 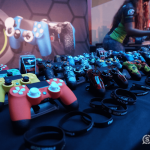 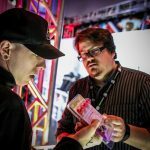 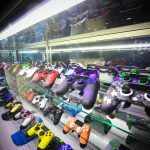 MLG Vegas was the last major event of 2016, and TeamSCUF was there with a booth for fans to get their hands on our custom, handcrafted controllers. 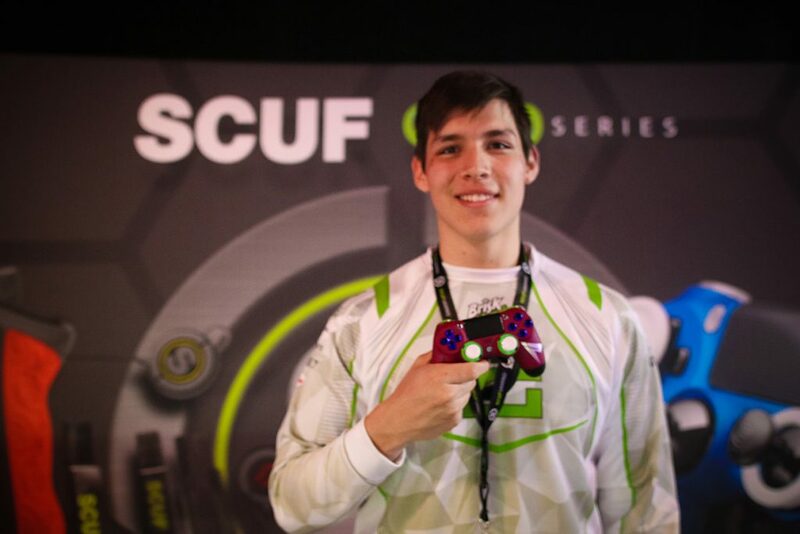 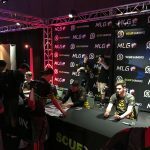 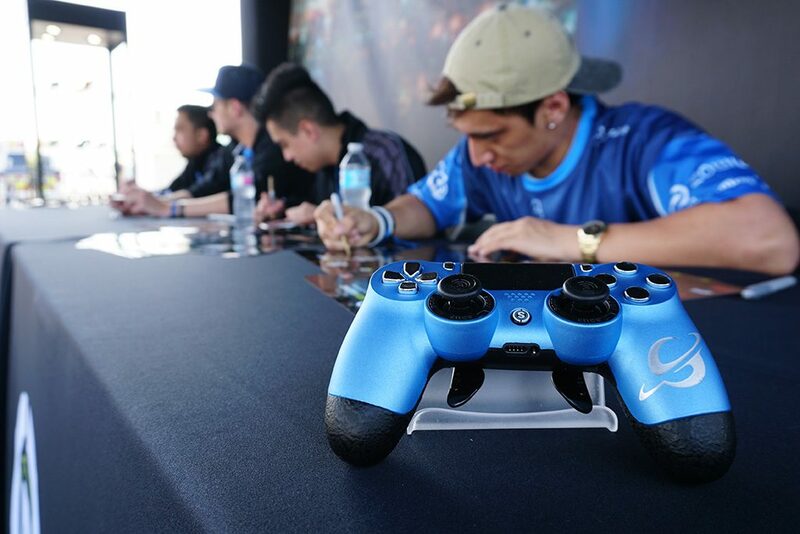 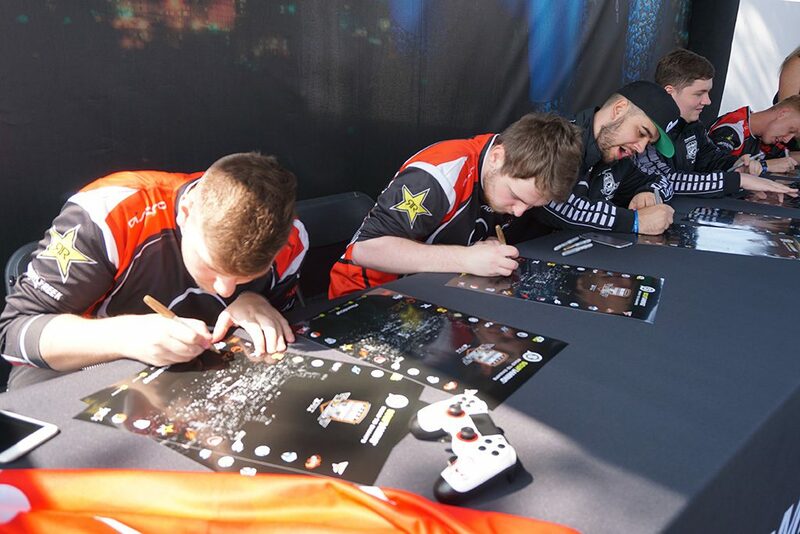 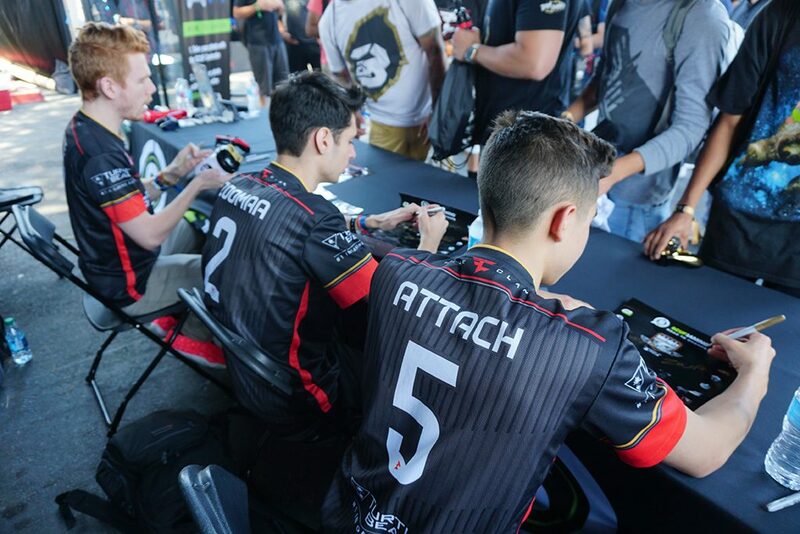 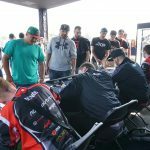 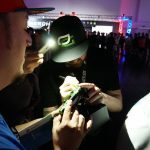 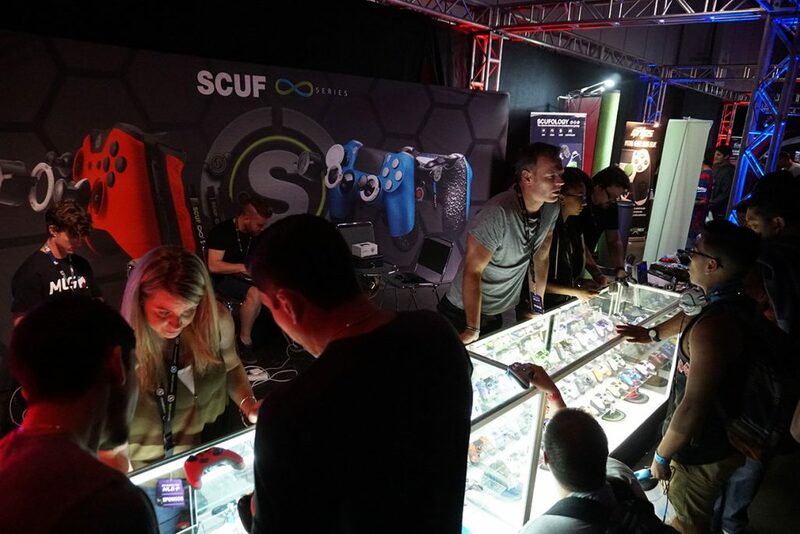 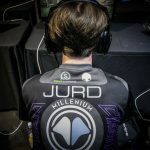 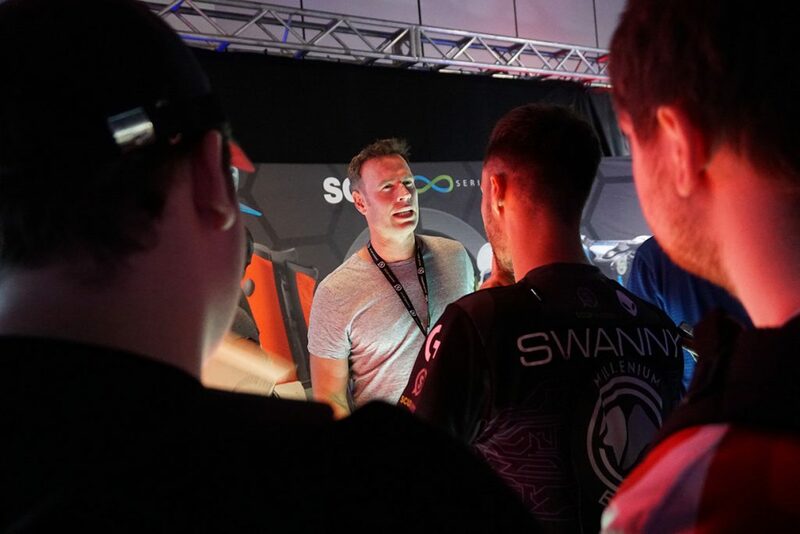 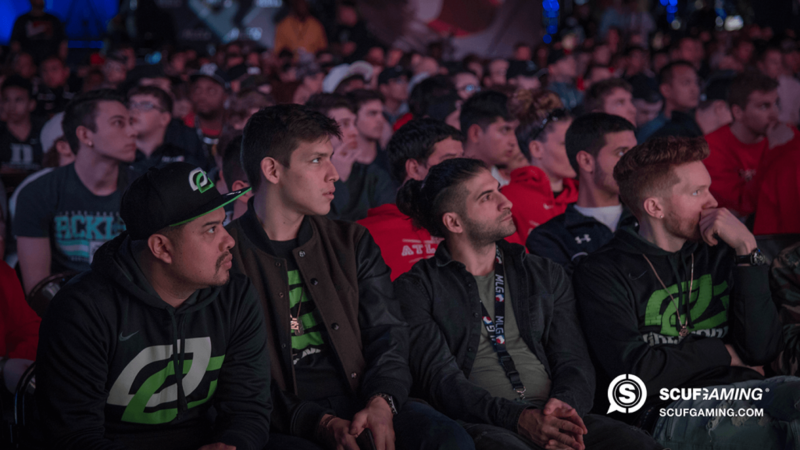 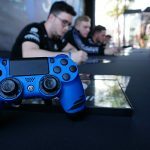 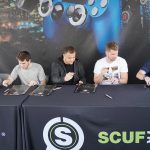 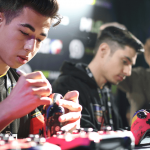 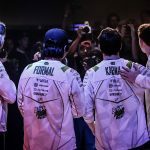 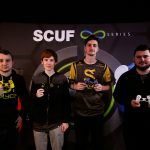 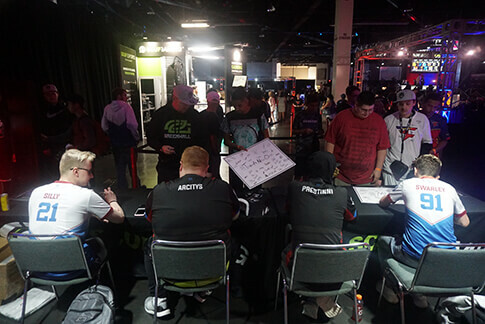 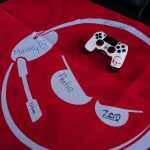 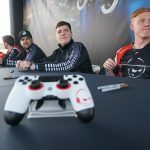 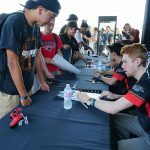 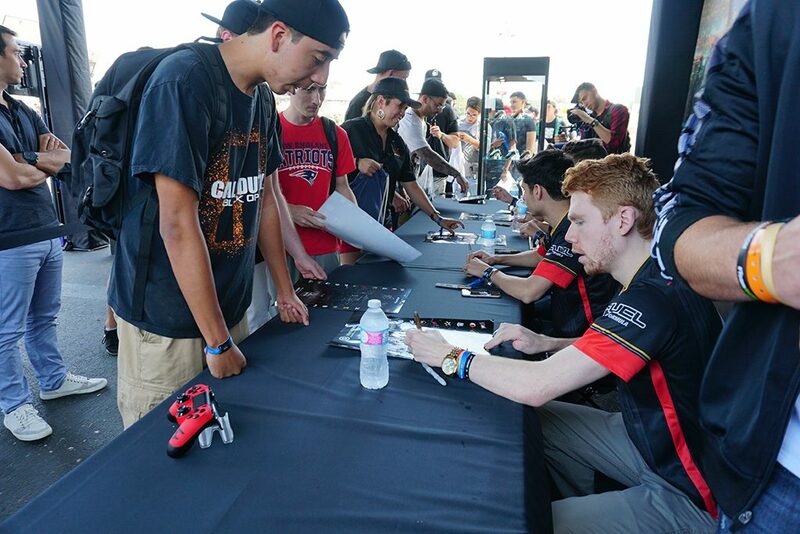 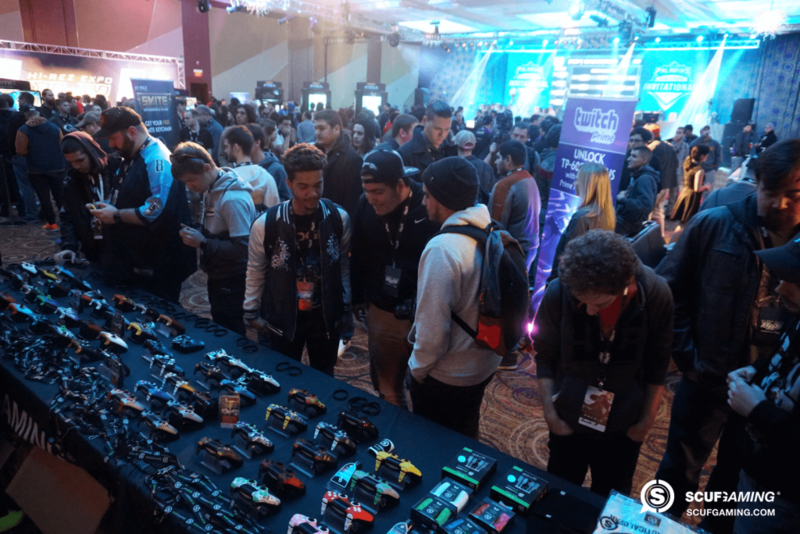 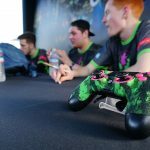 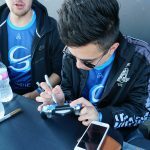 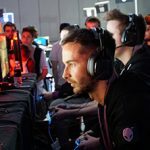 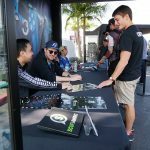 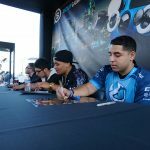 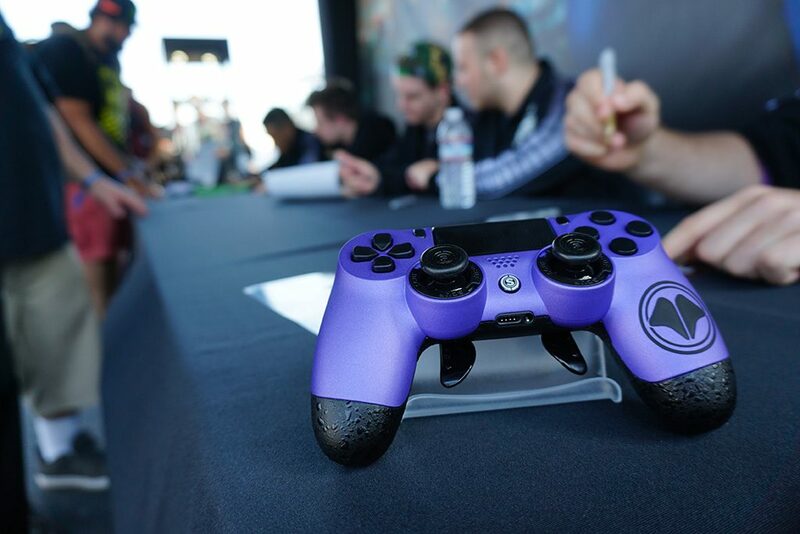 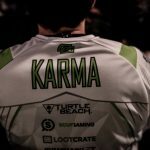 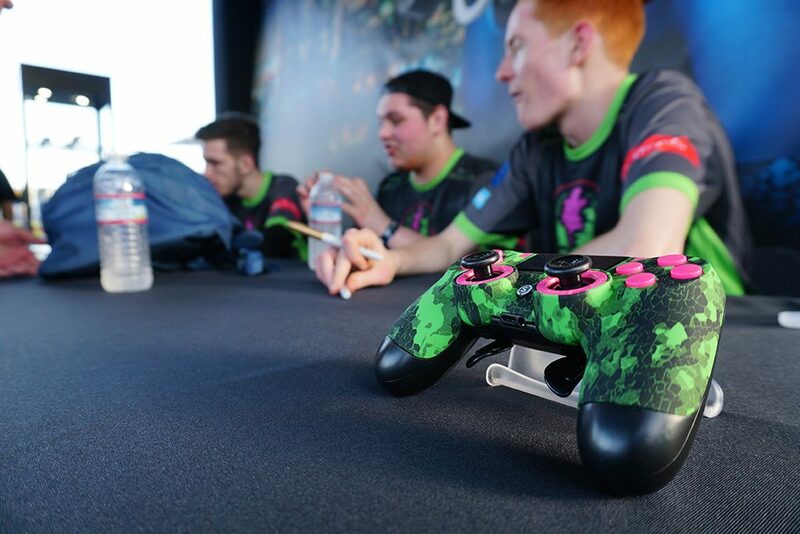 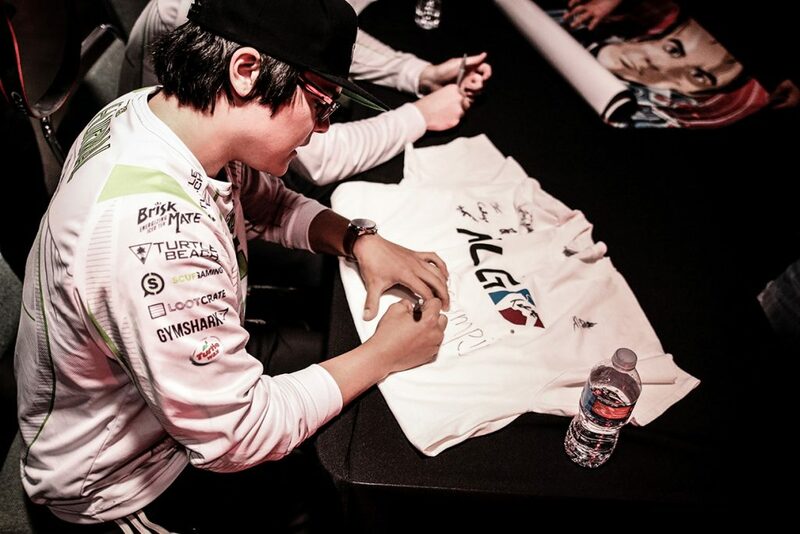 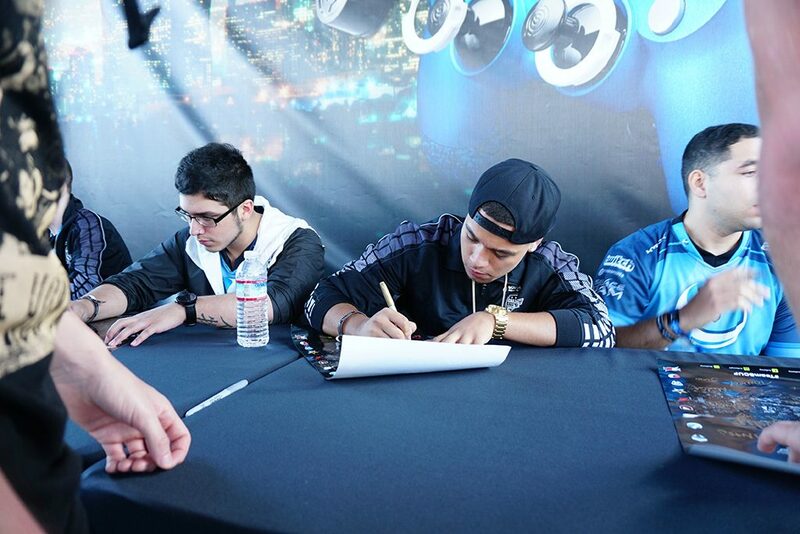 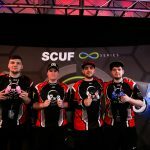 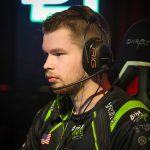 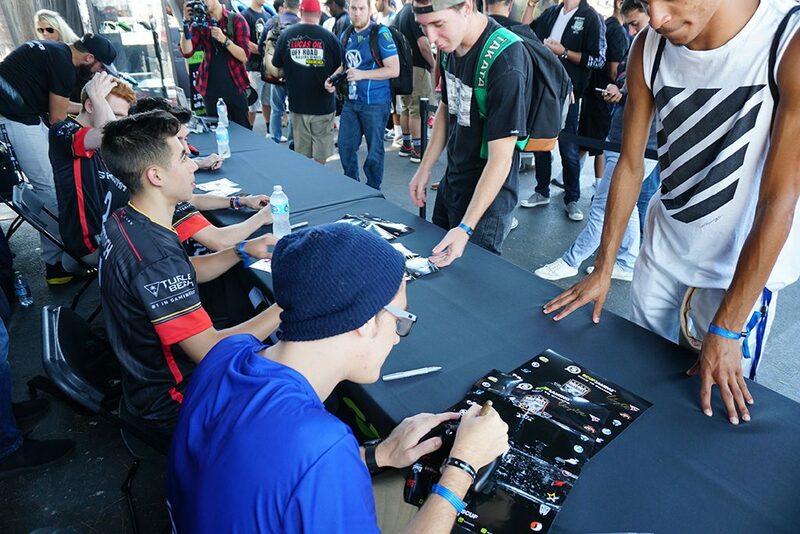 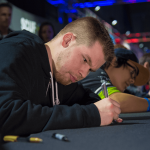 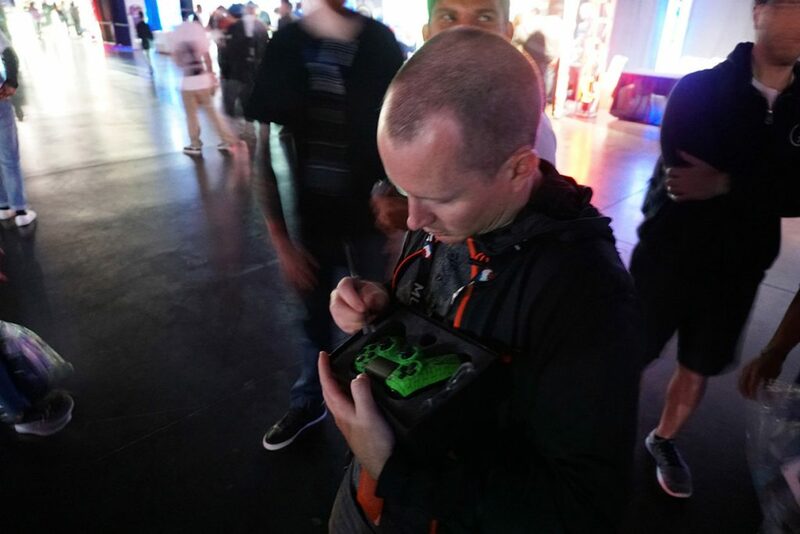 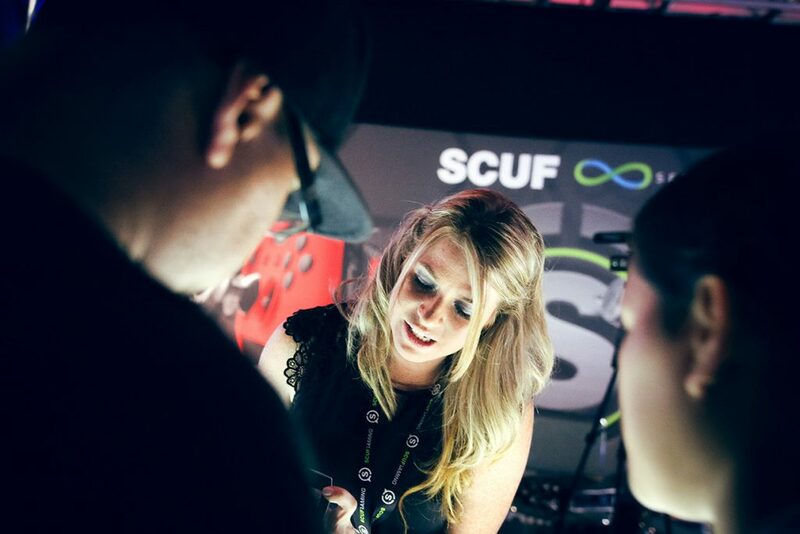 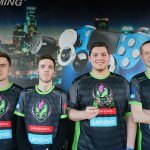 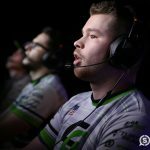 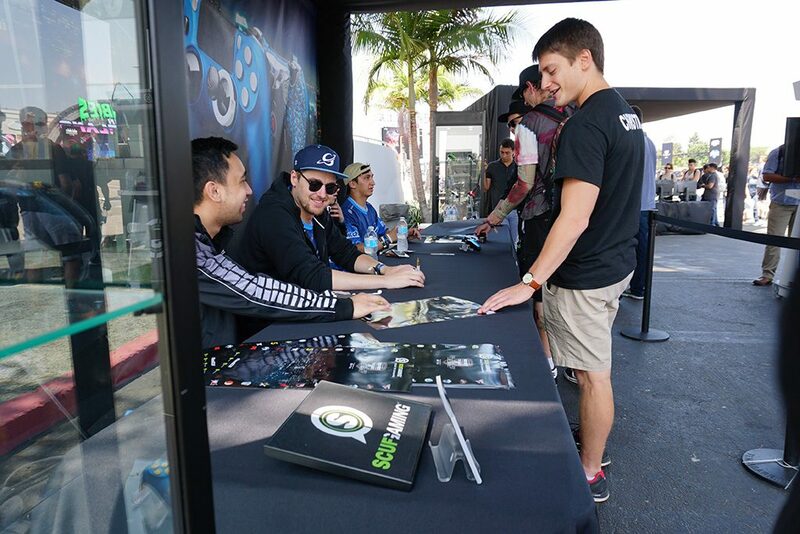 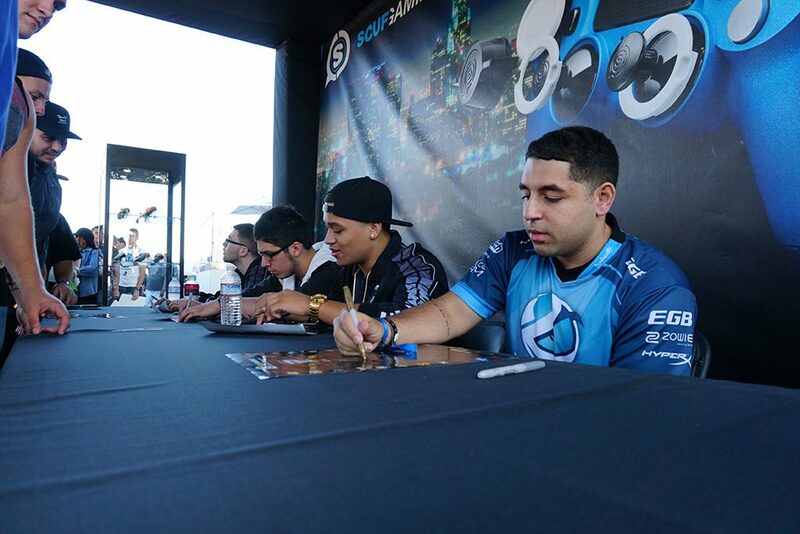 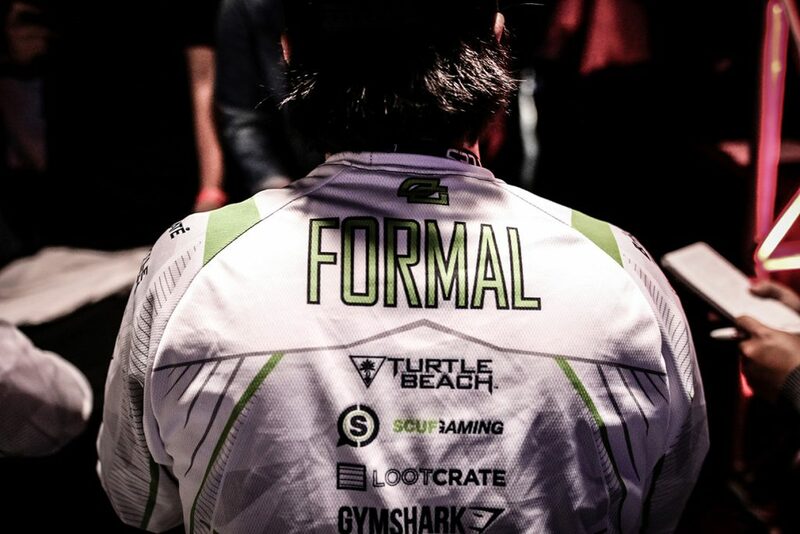 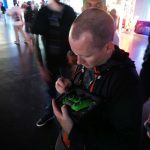 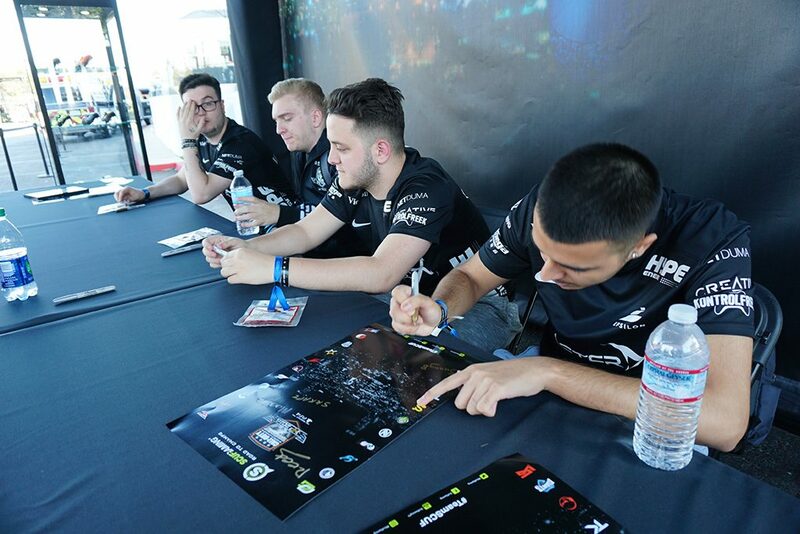 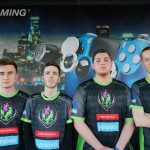 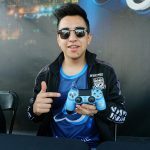 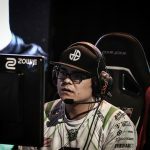 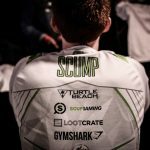 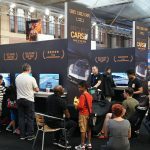 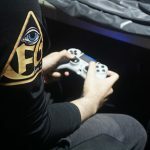 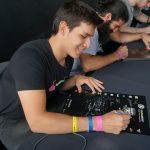 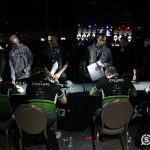 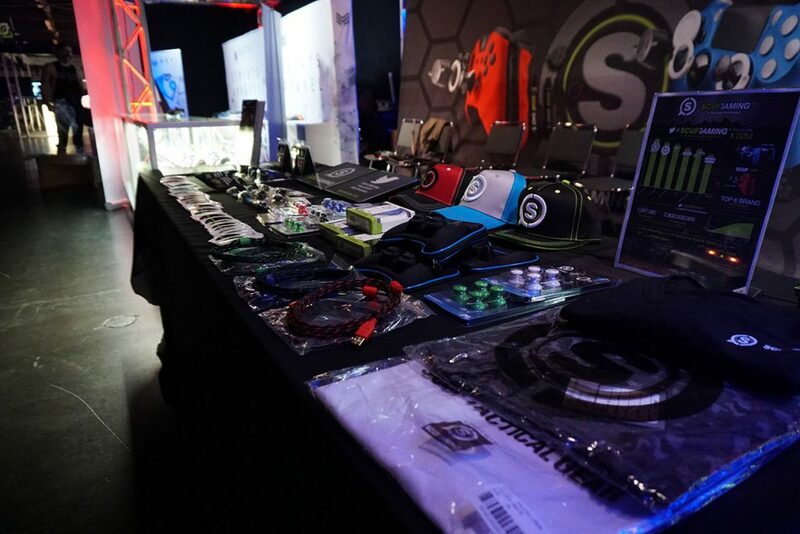 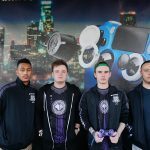 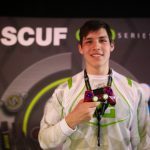 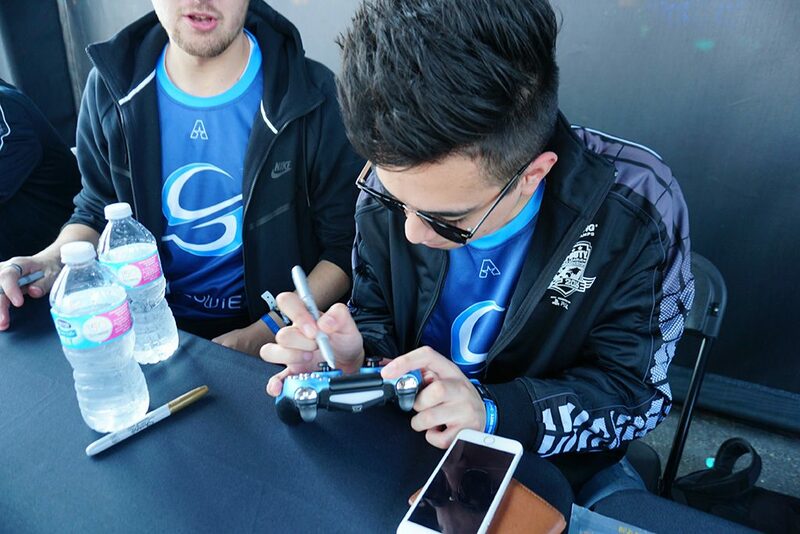 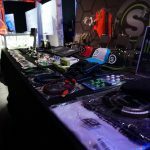 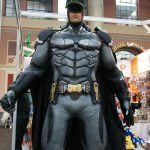 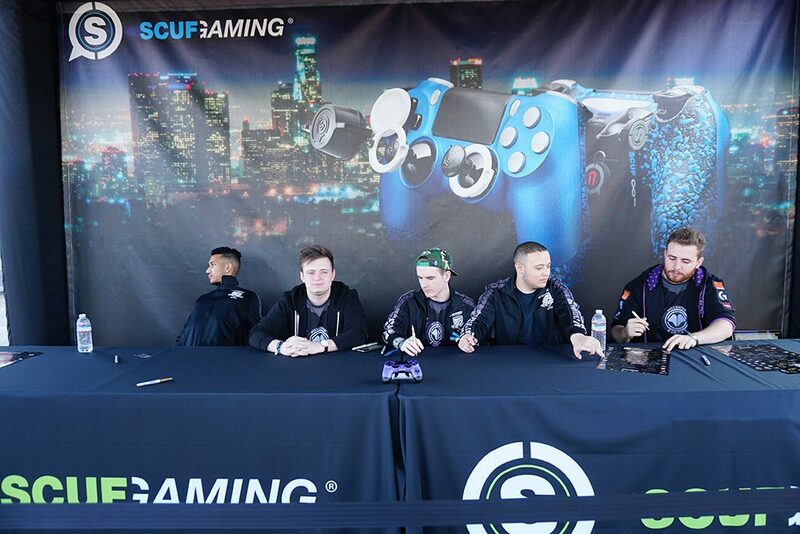 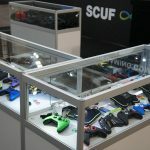 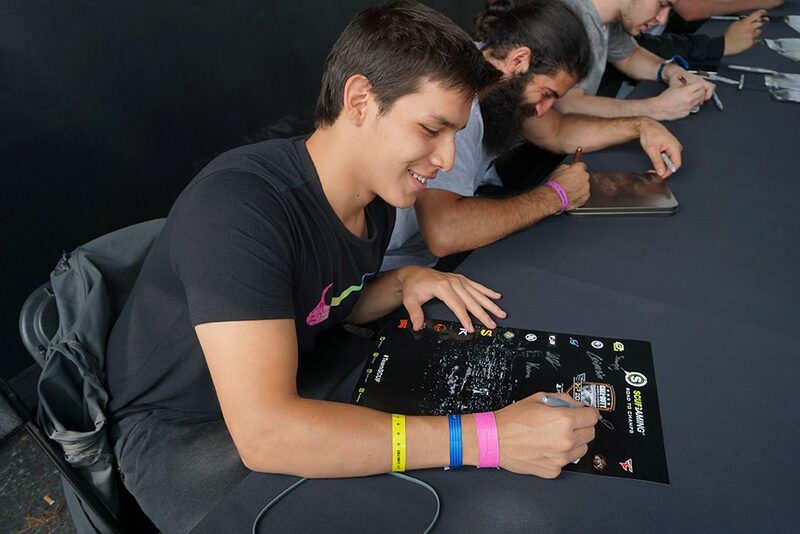 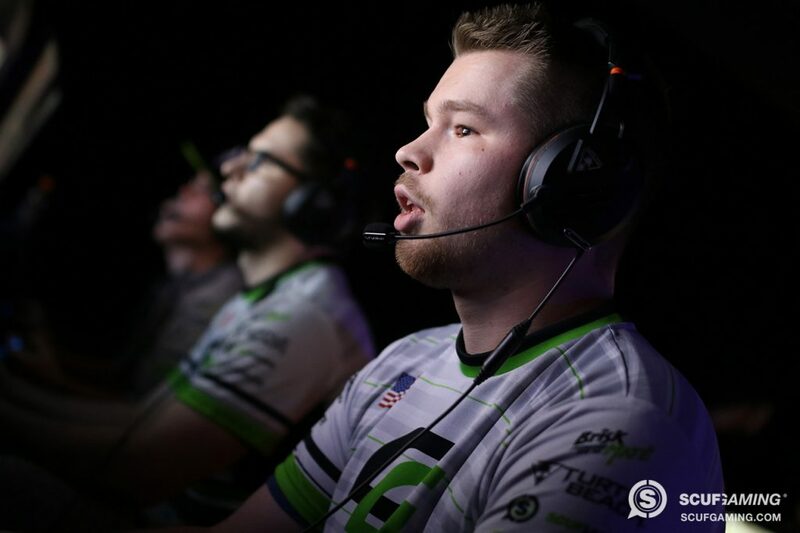 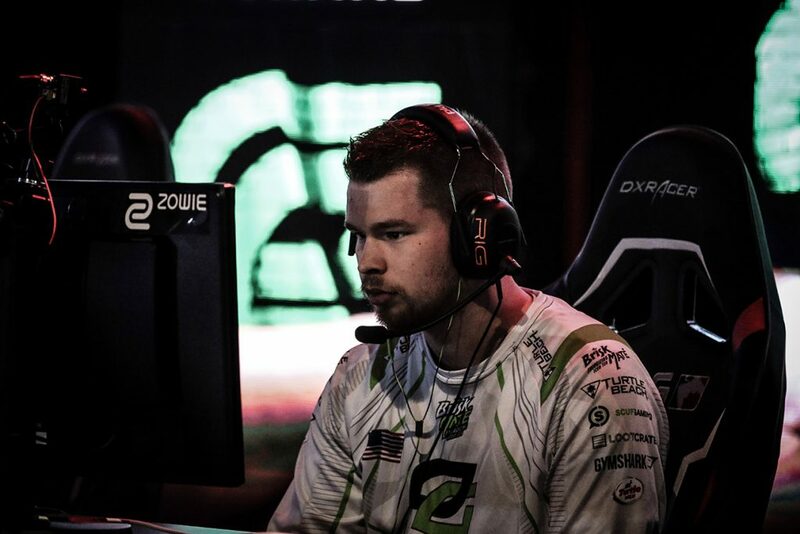 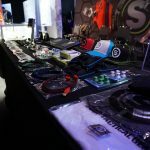 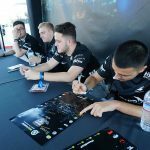 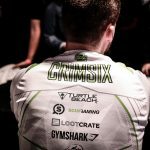 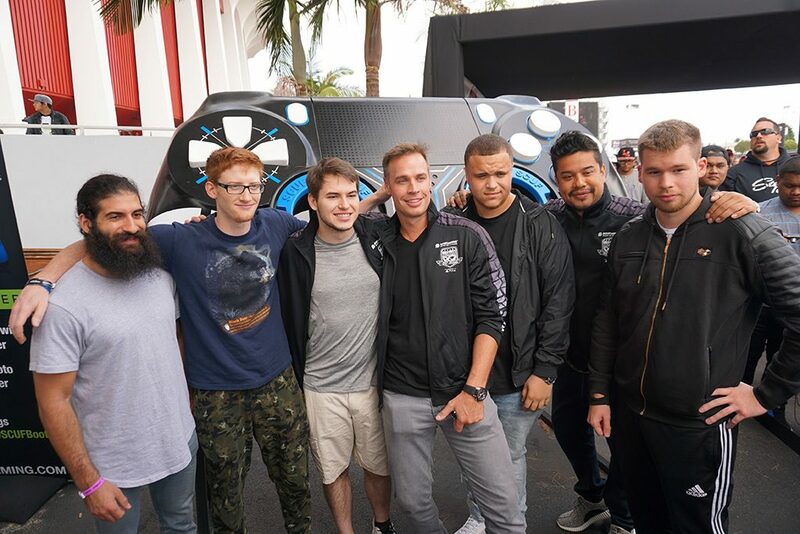 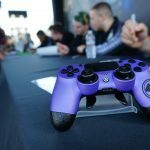 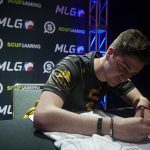 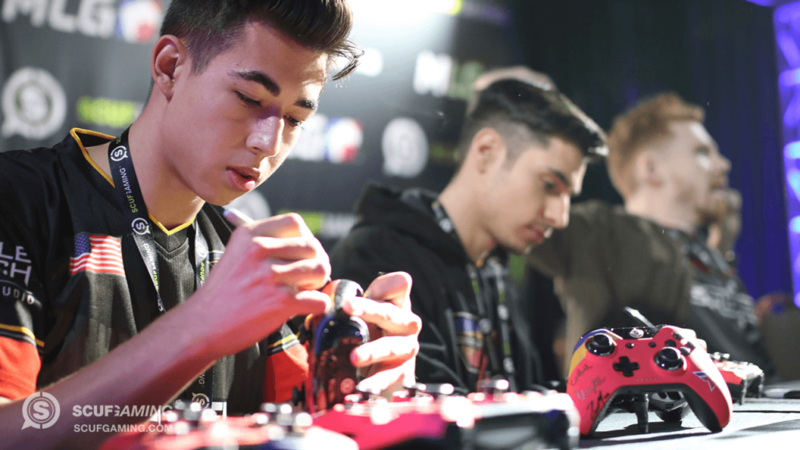 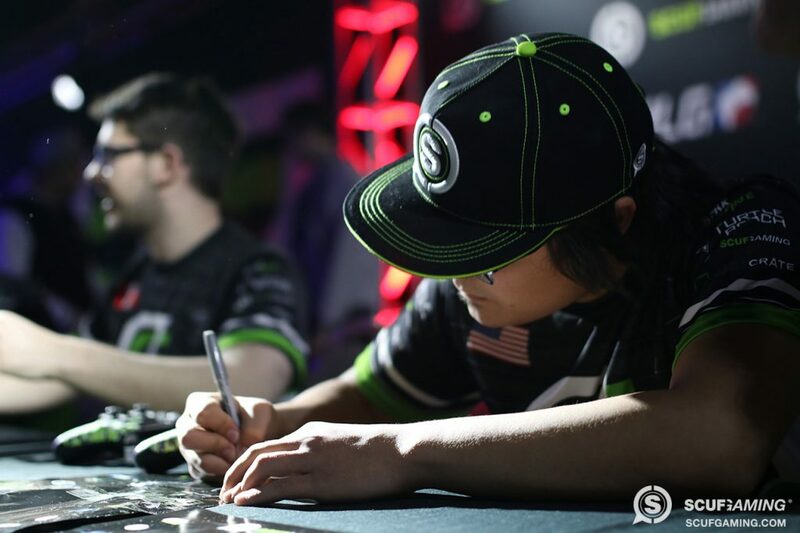 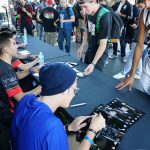 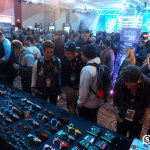 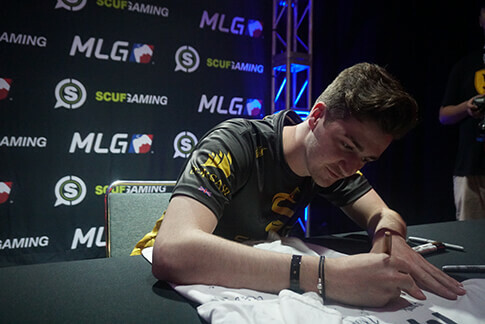 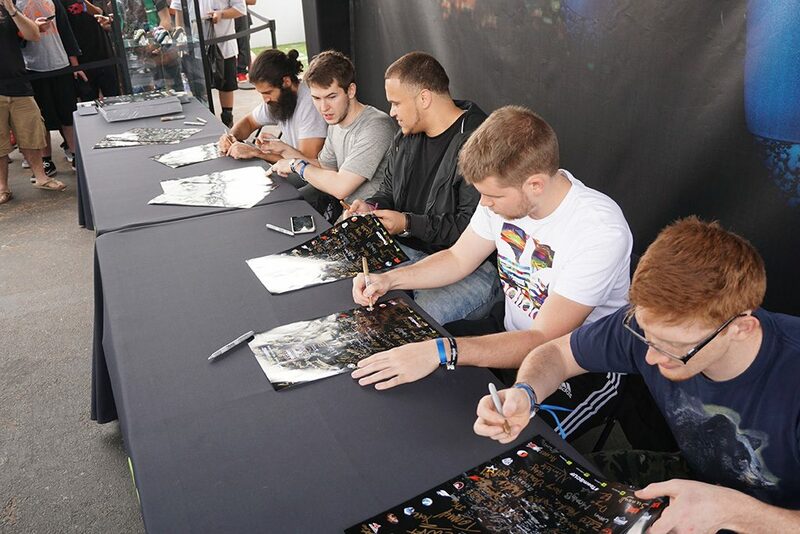 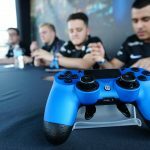 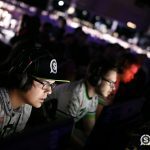 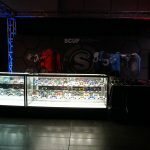 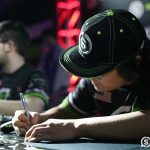 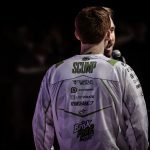 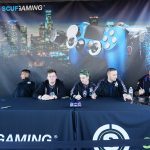 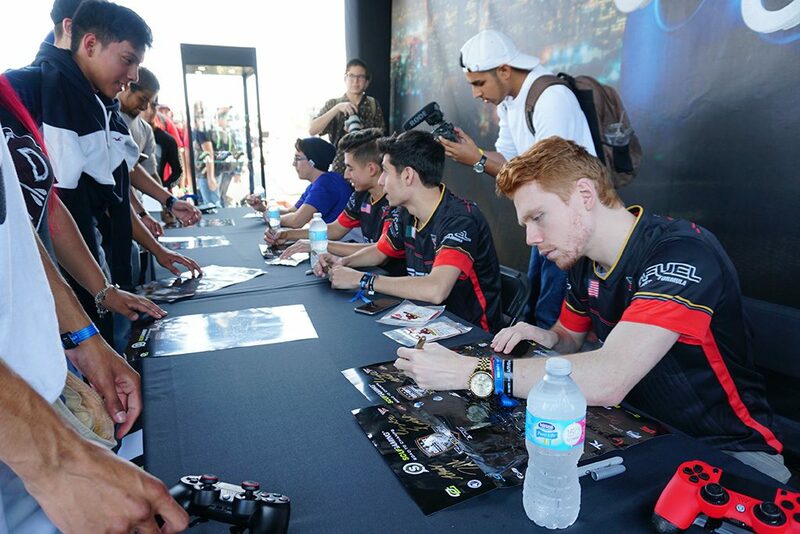 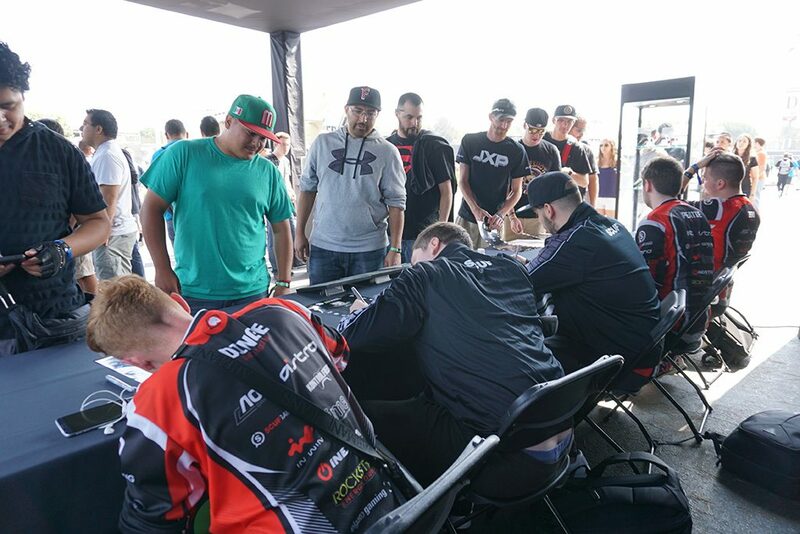 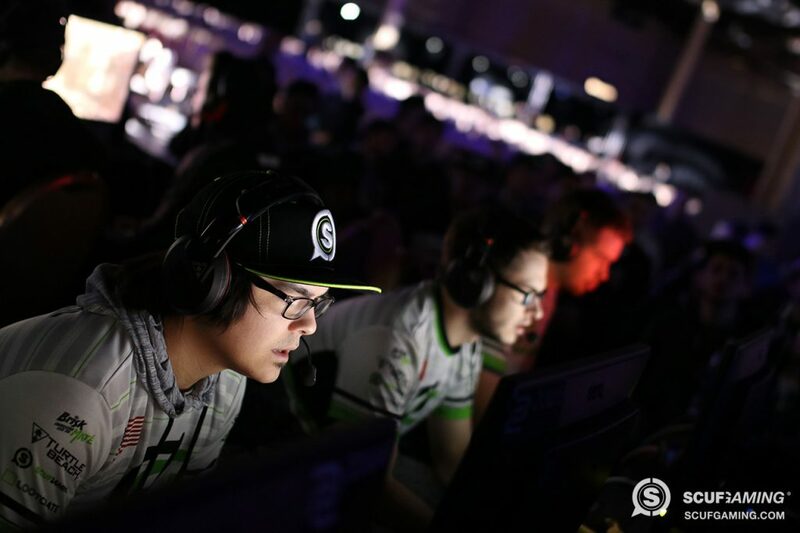 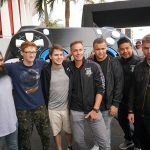 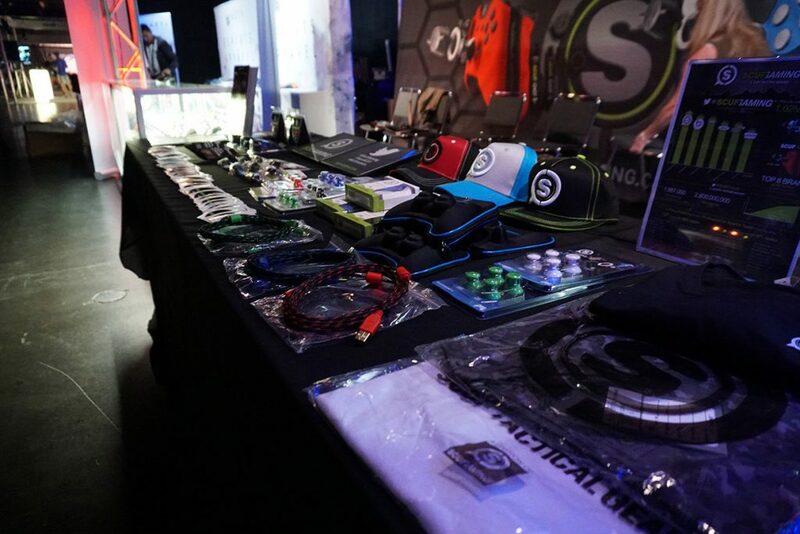 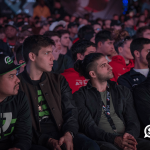 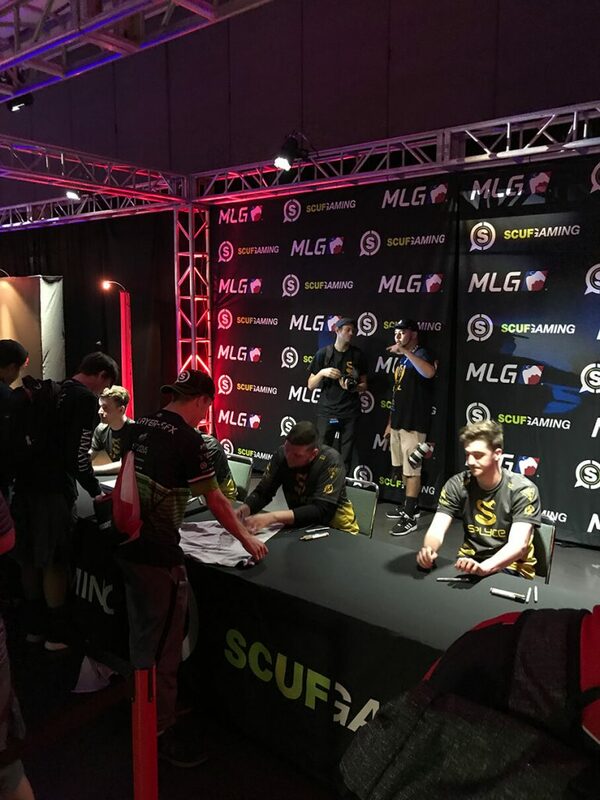 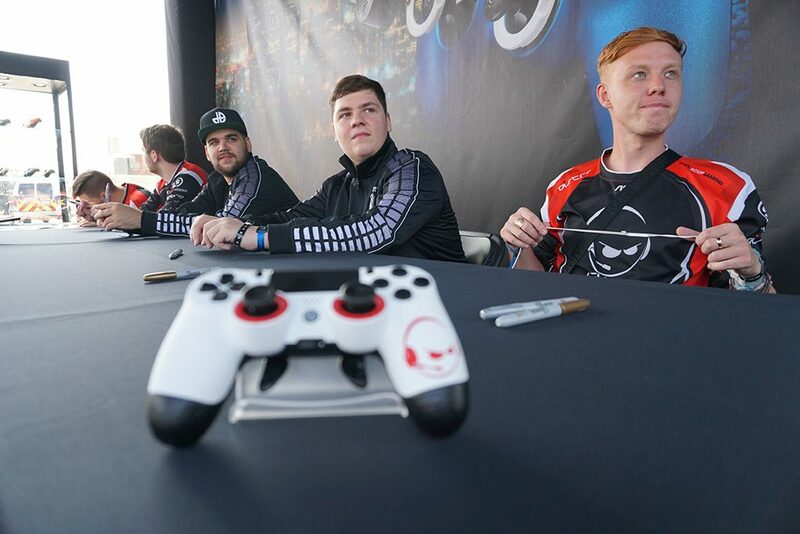 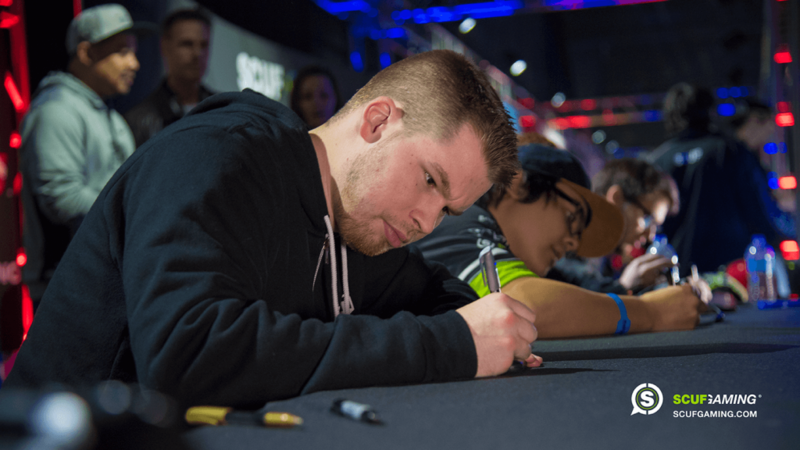 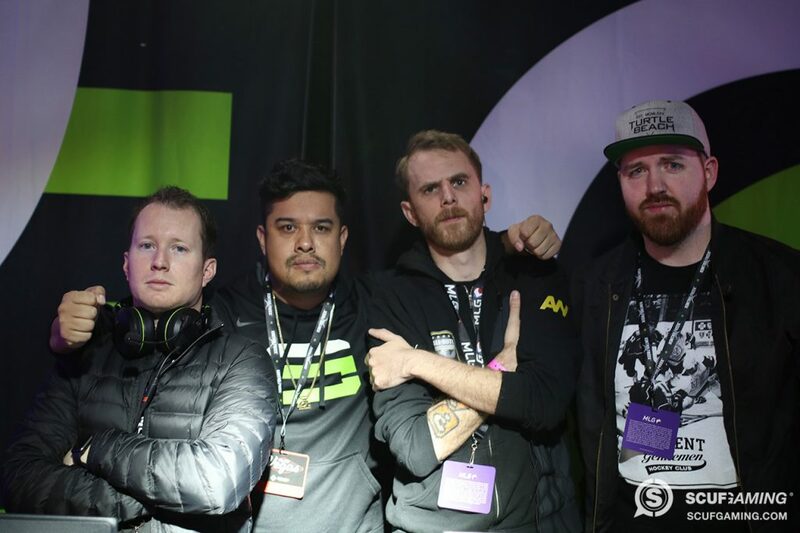 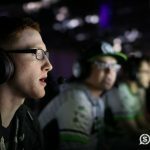 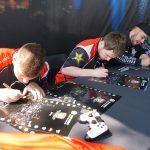 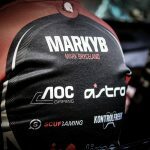 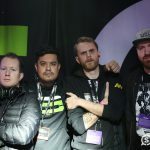 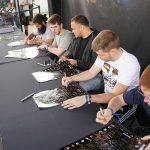 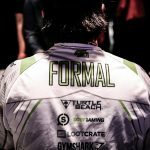 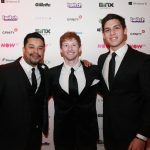 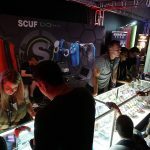 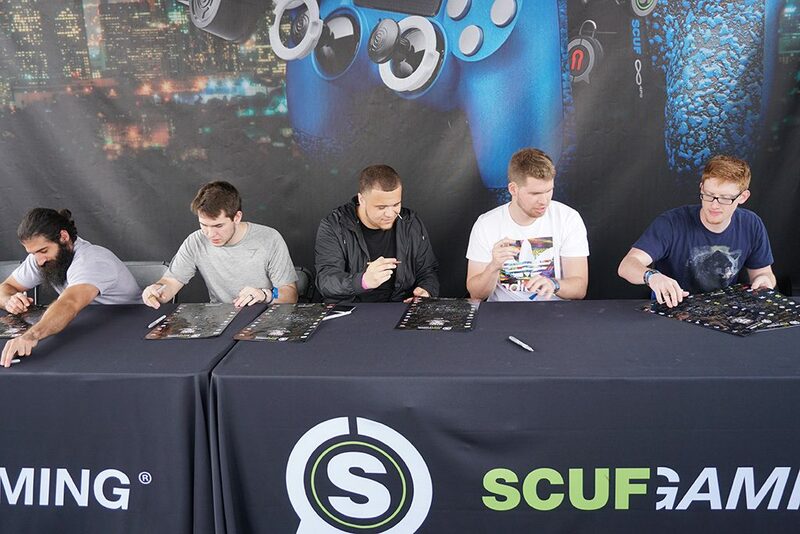 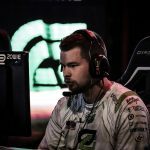 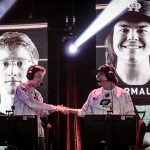 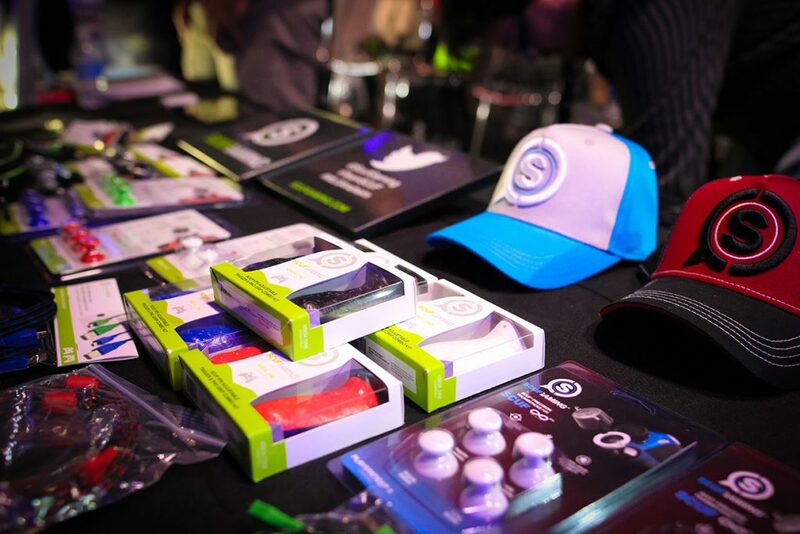 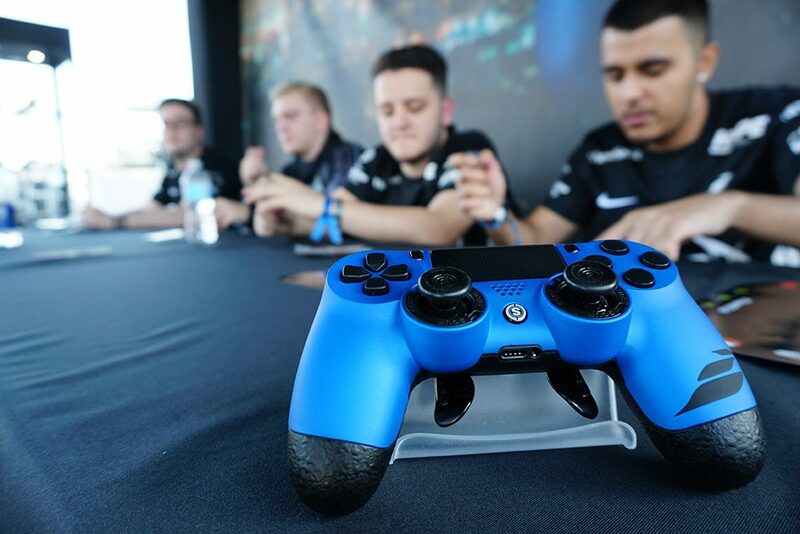 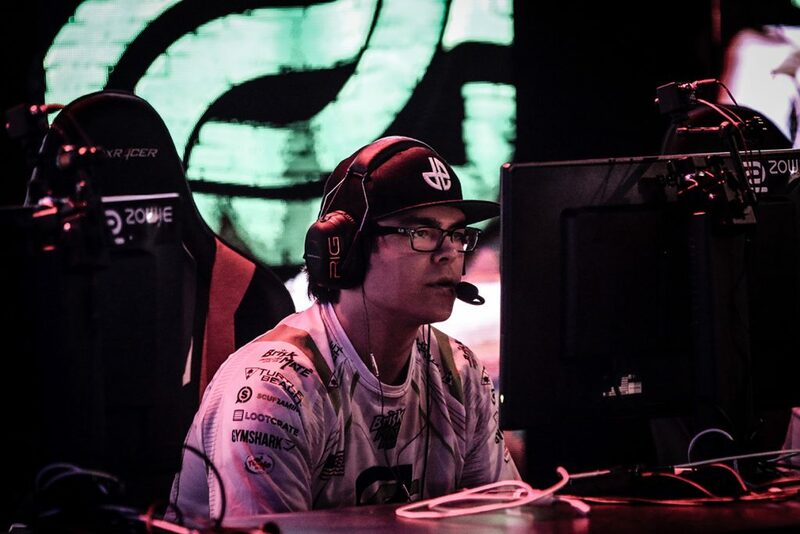 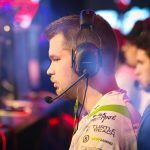 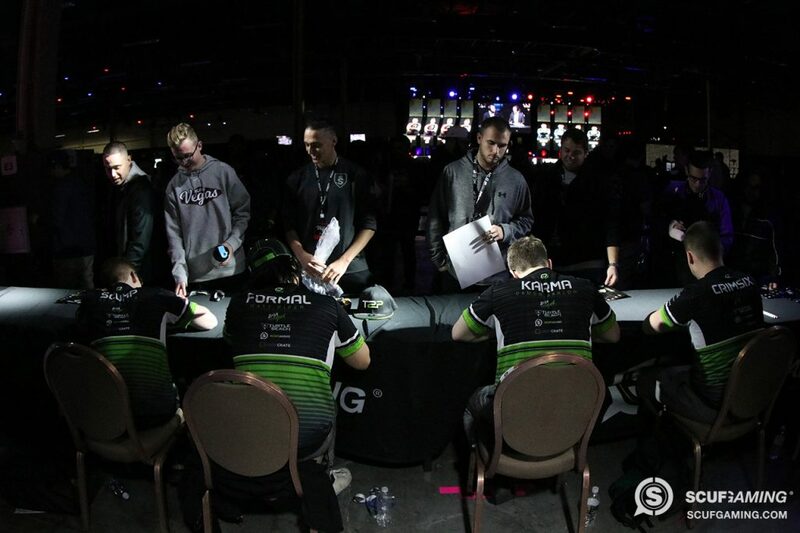 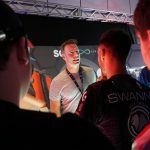 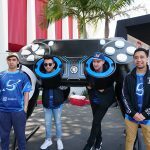 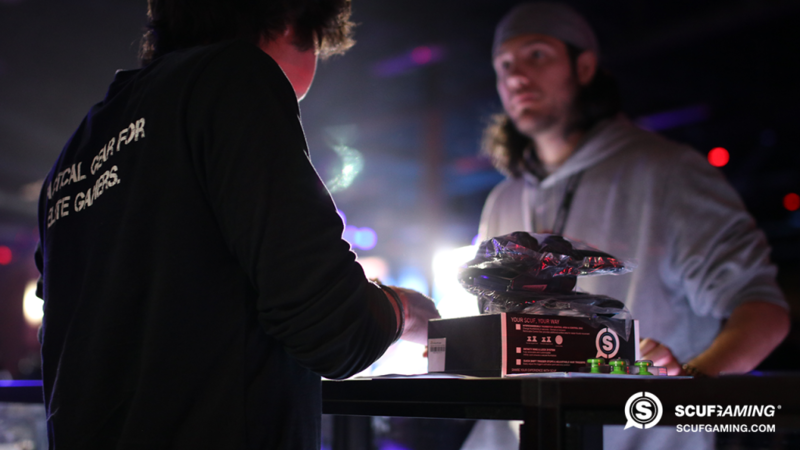 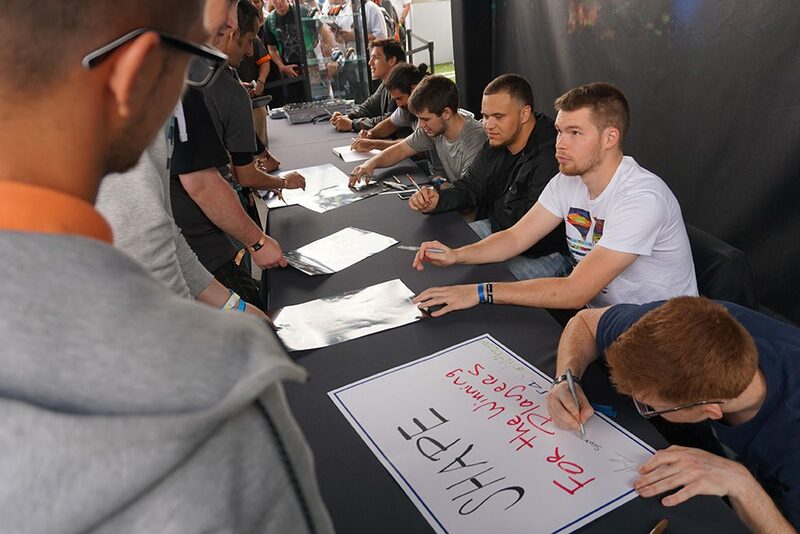 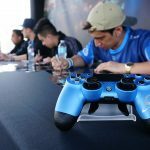 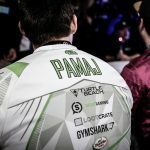 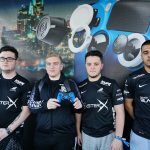 Some of SCUF’s teams made an appearance for a signing, including OpTic, FaZe, Rise Nation, EnVy, Luminosity, Allegiance, SoaR and the Old Men of OpTic. 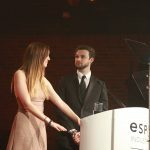 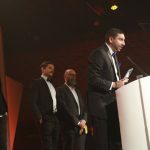 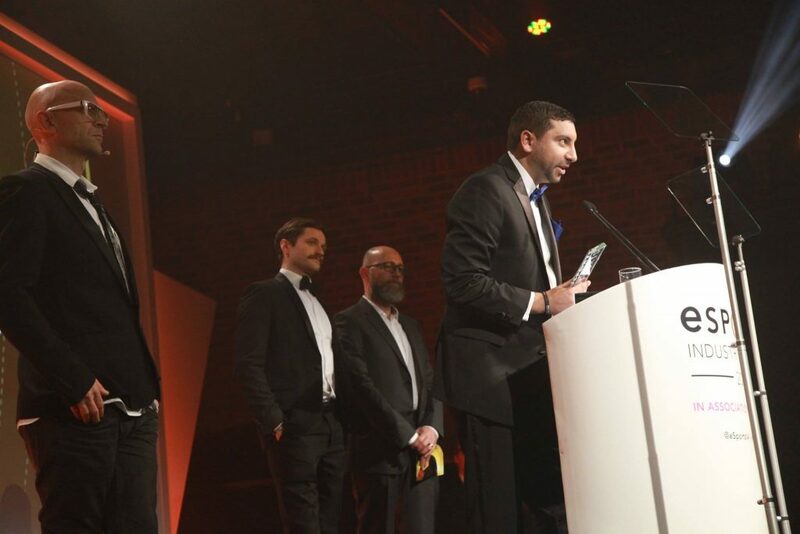 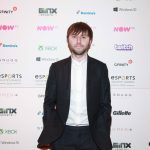 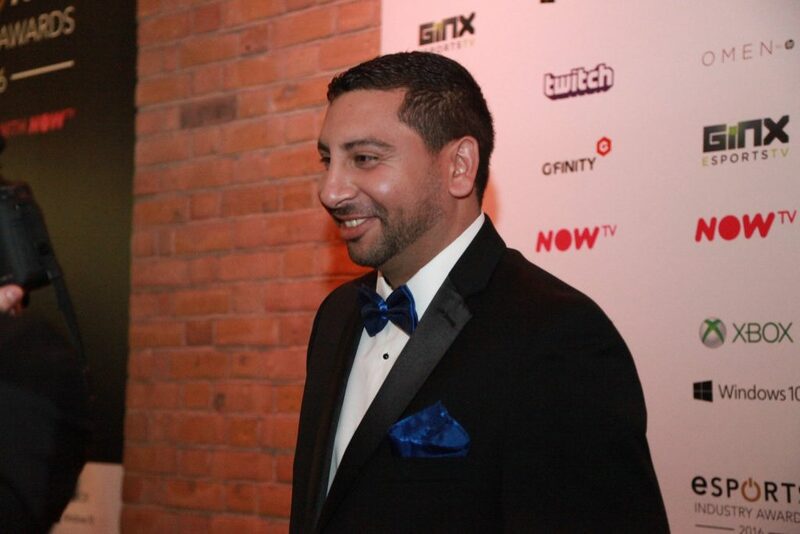 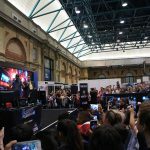 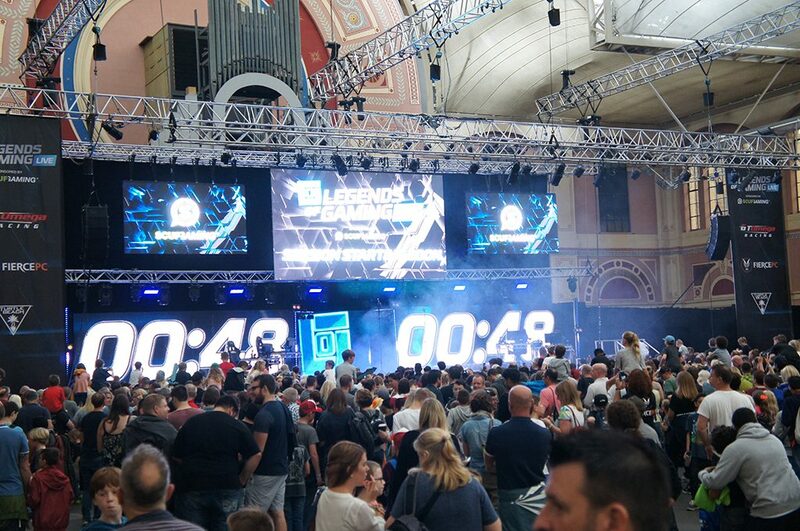 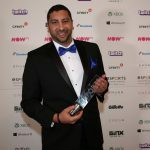 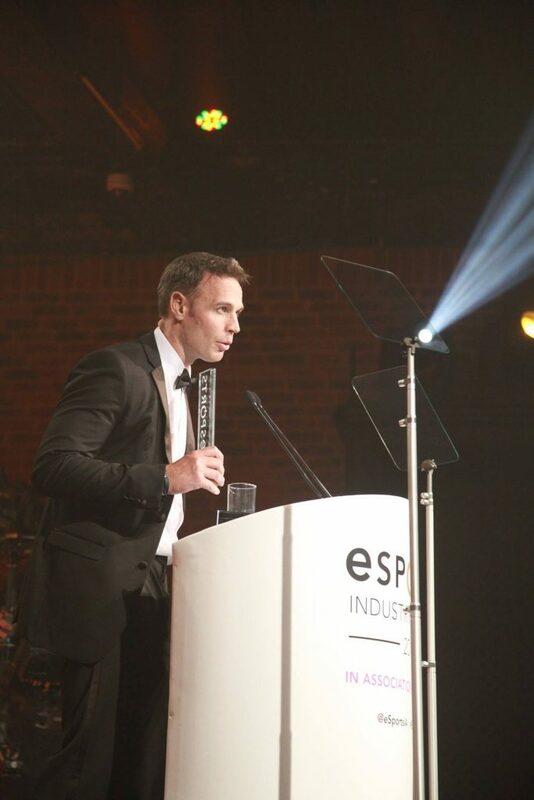 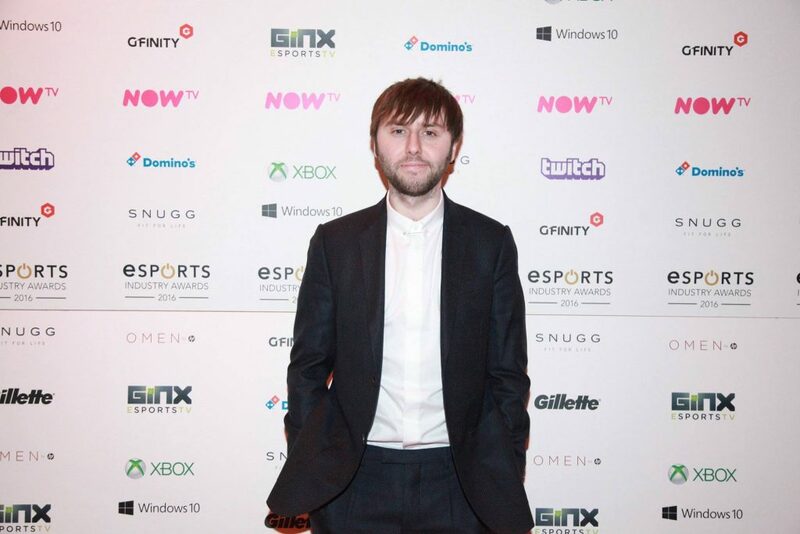 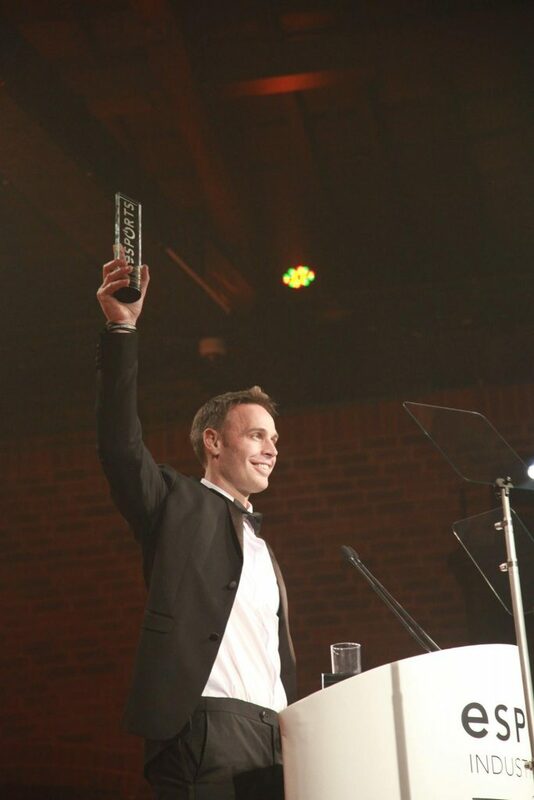 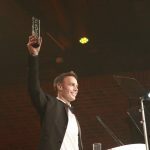 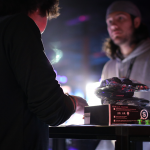 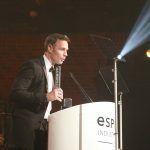 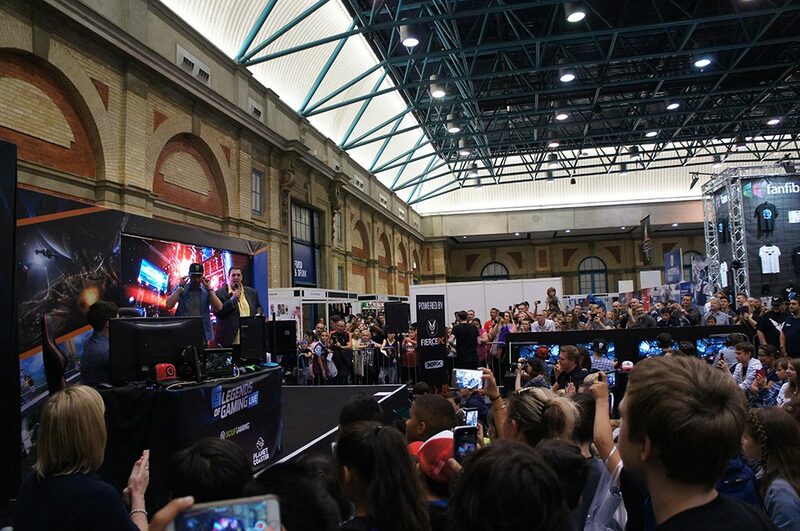 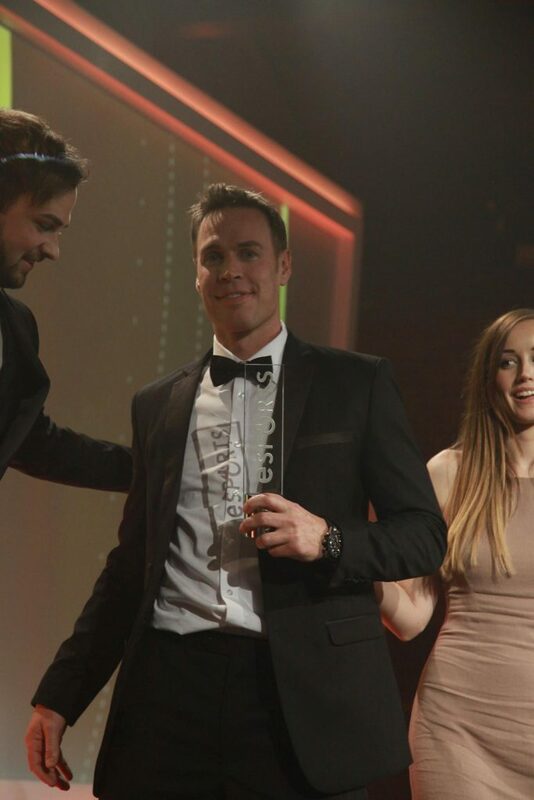 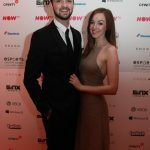 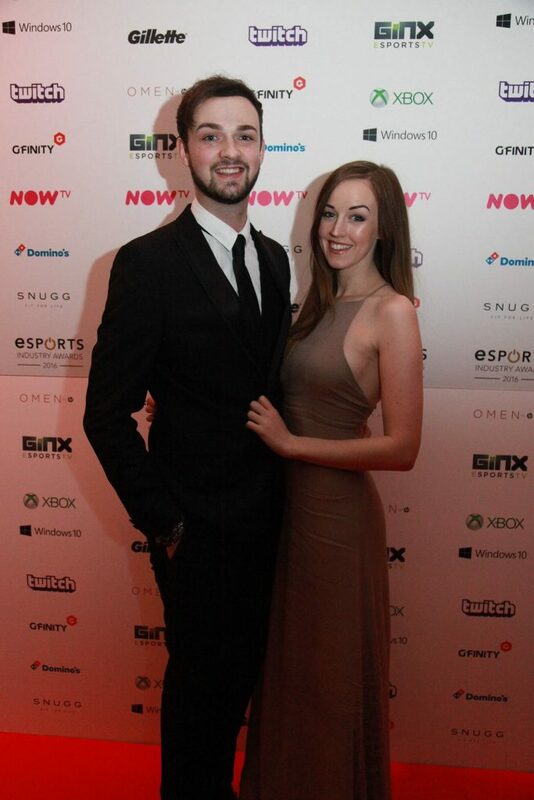 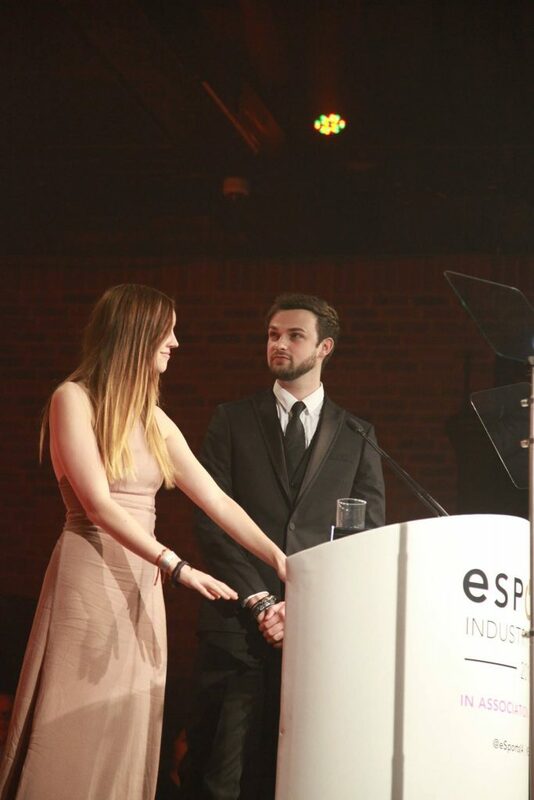 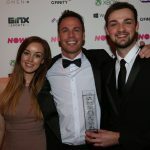 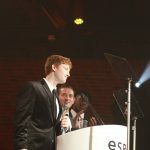 The inaugural eSports Industry Awards took place at The Brewery in London. 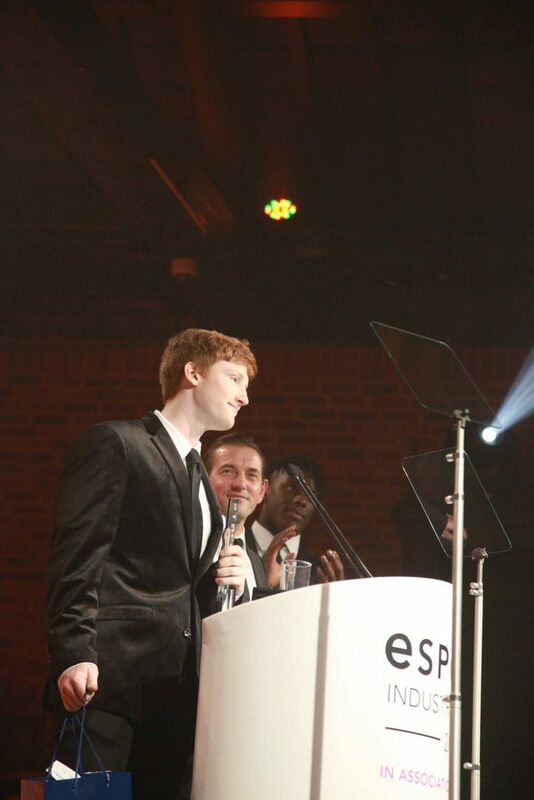 The awards are dedicated to rewarding and recognizing the amazing talent and innovation of the eSports industry. 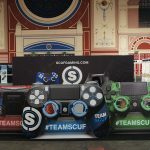 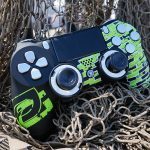 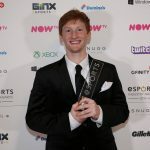 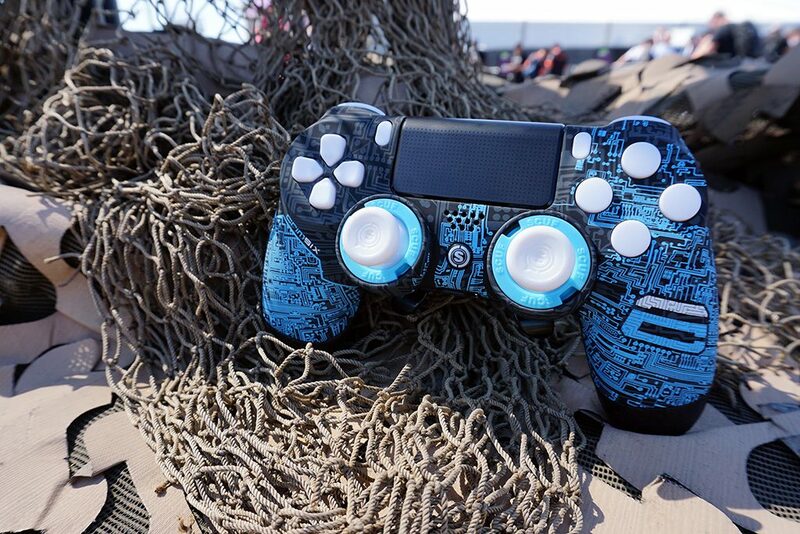 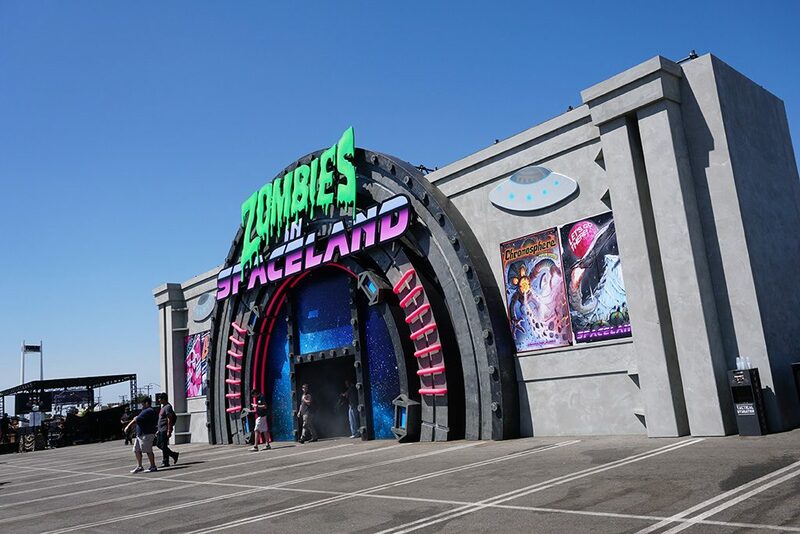 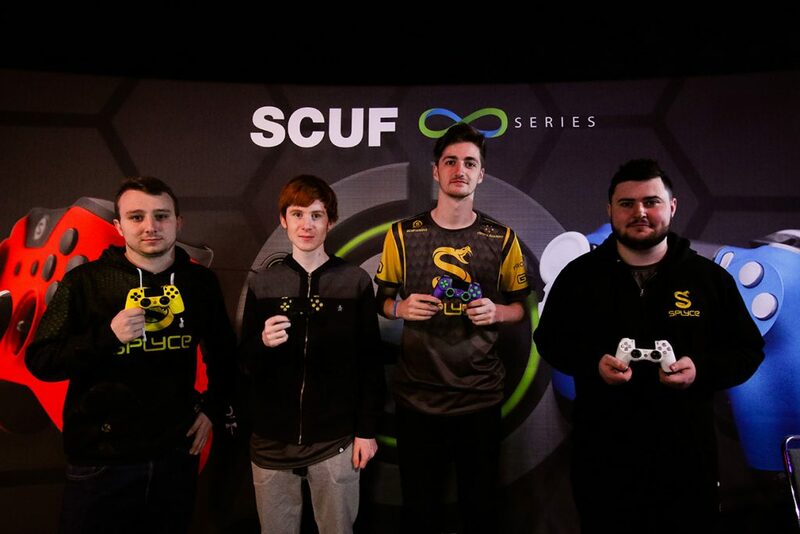 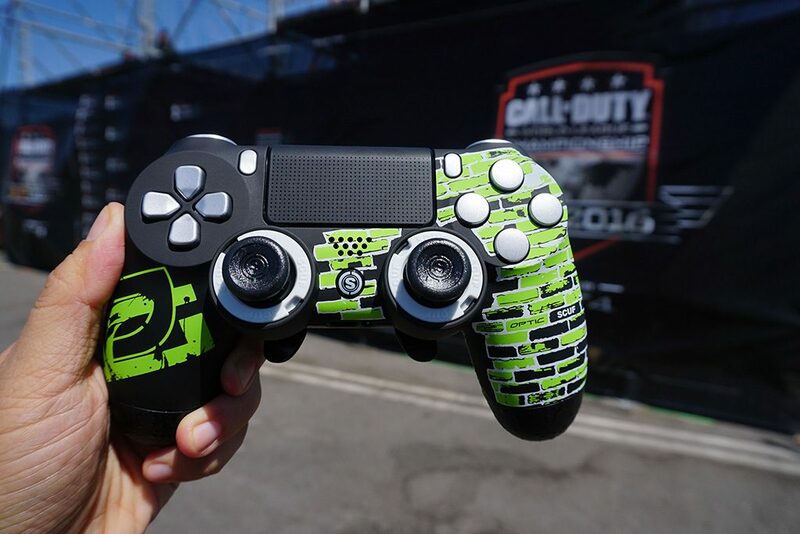 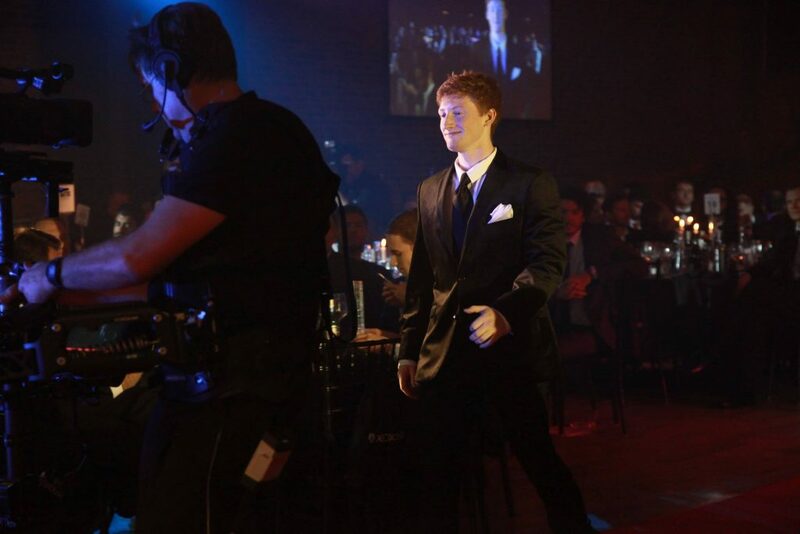 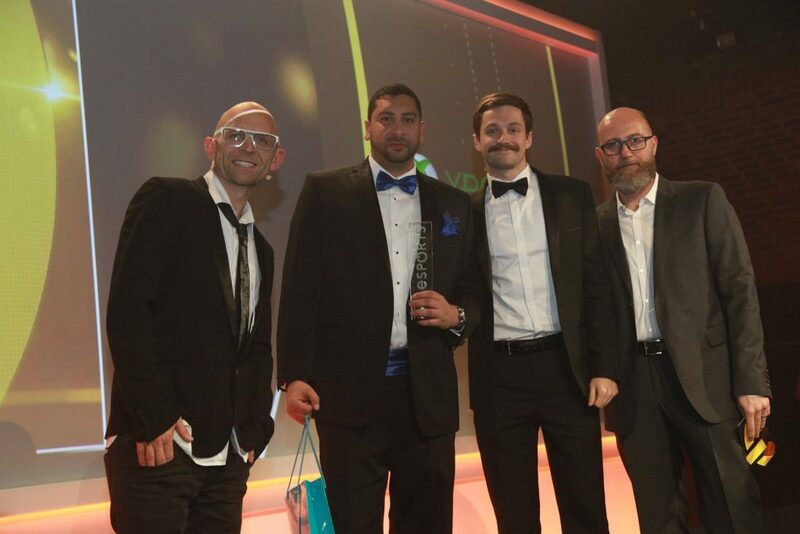 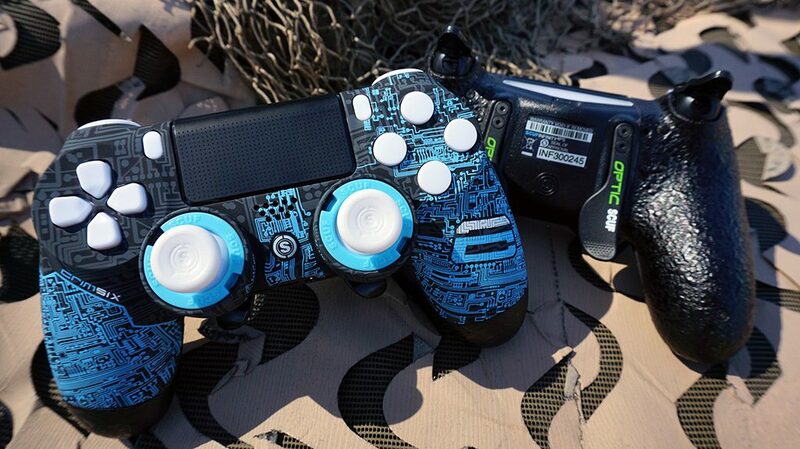 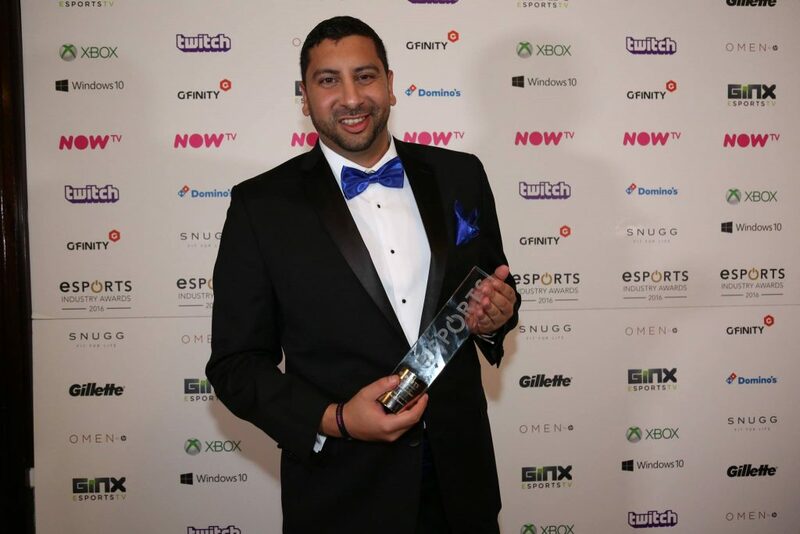 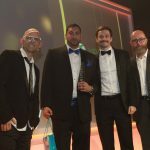 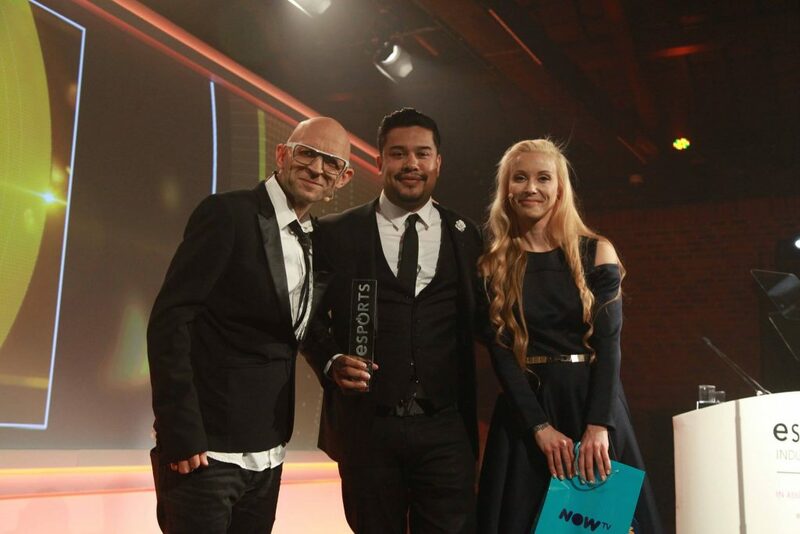 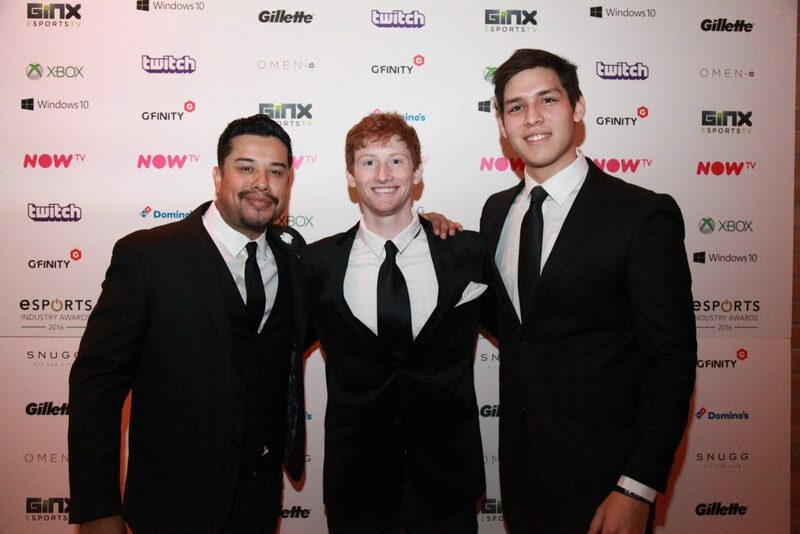 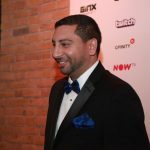 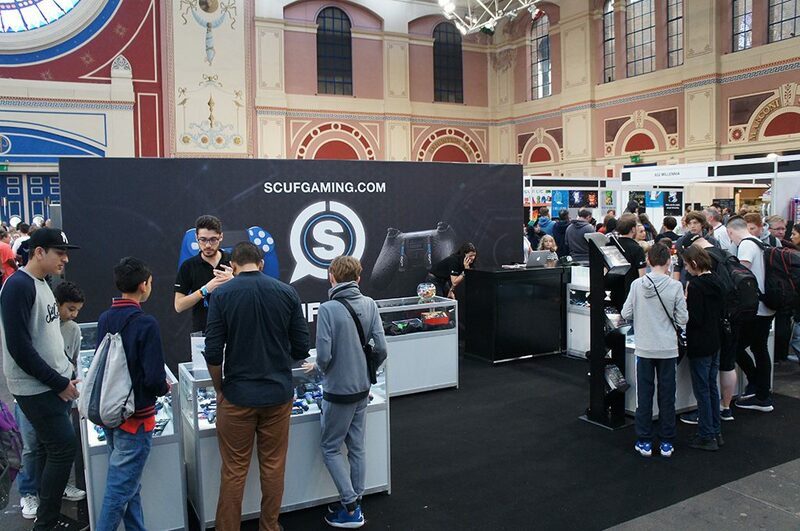 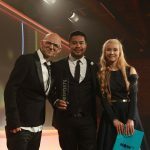 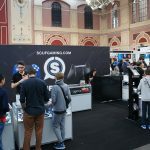 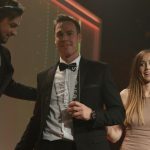 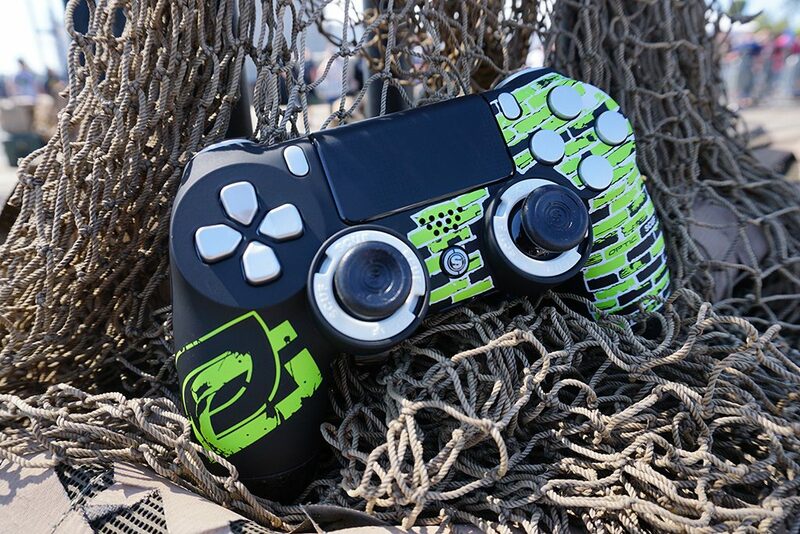 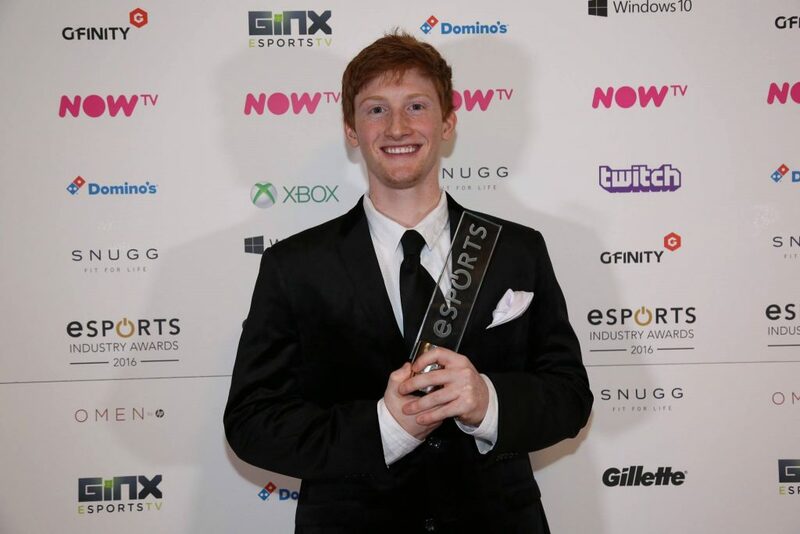 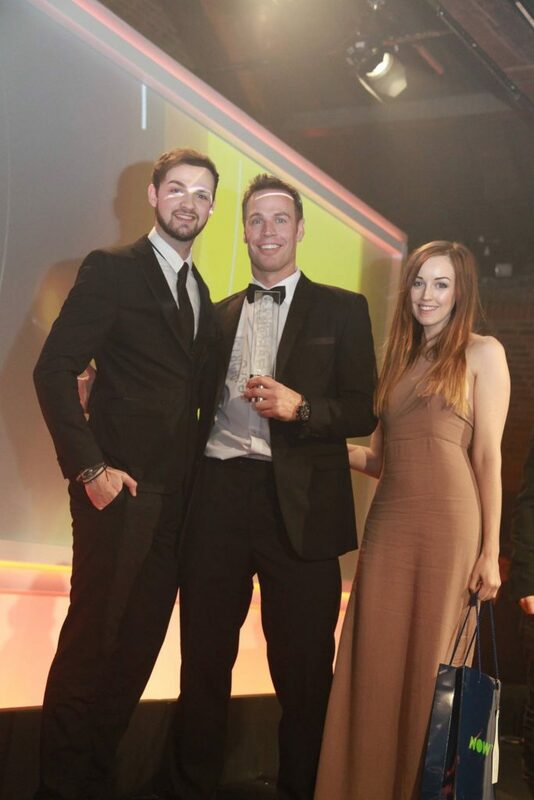 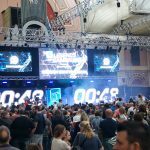 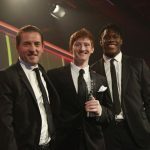 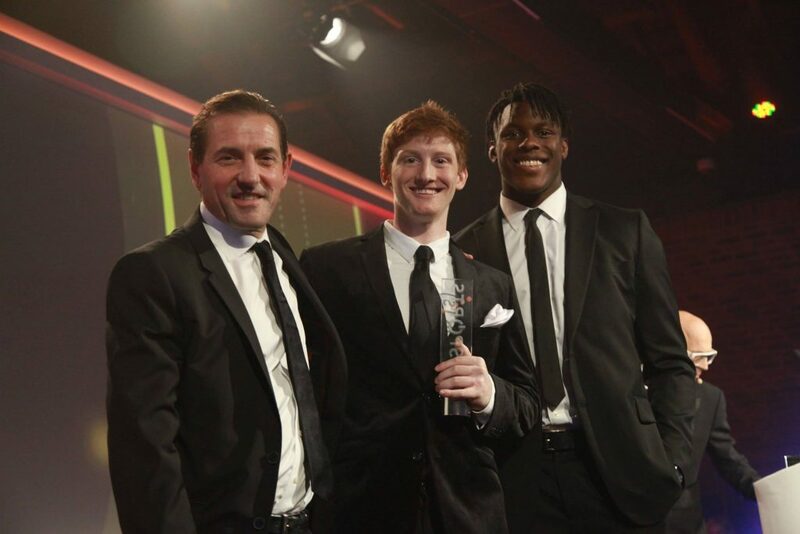 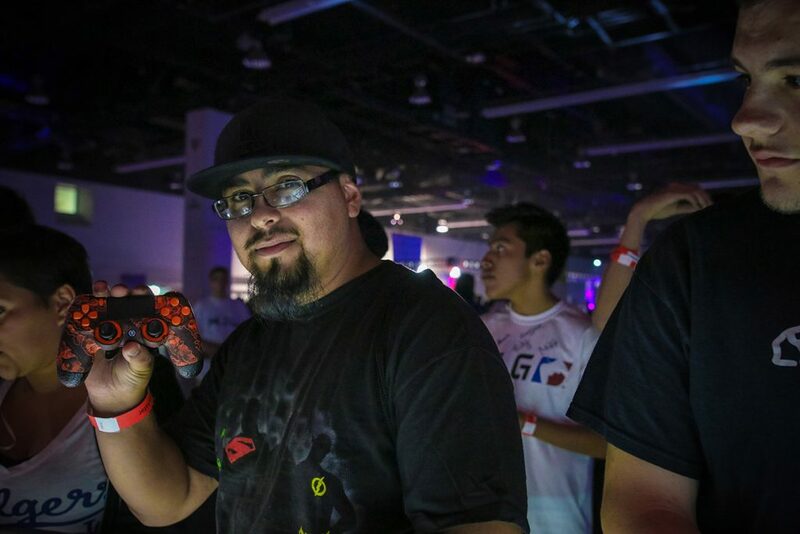 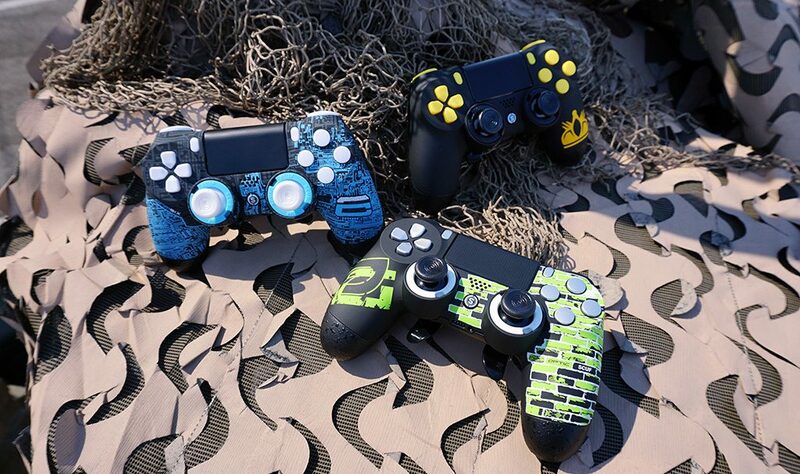 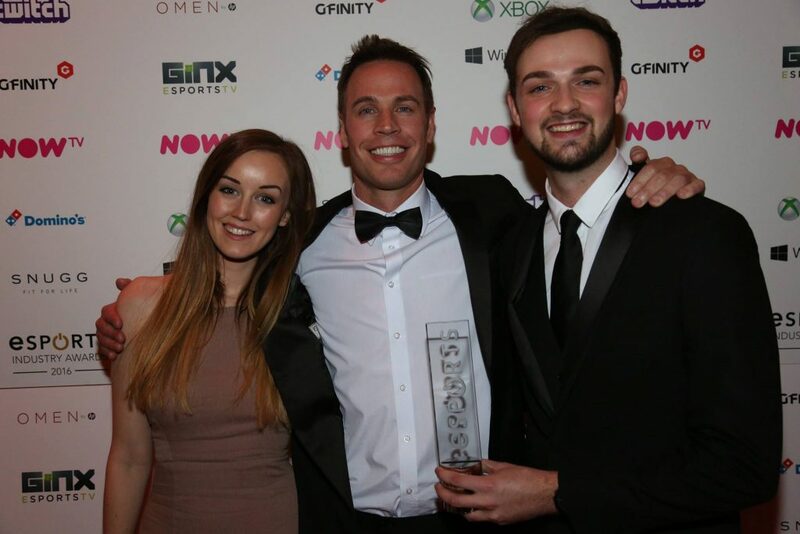 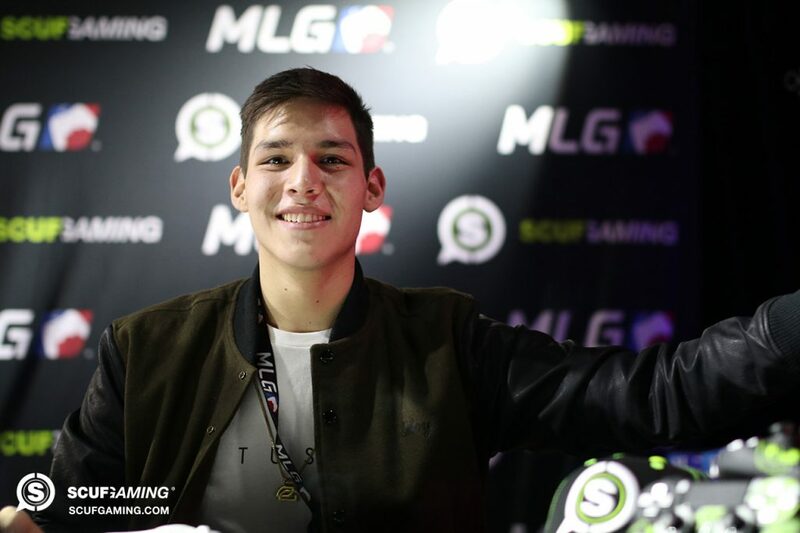 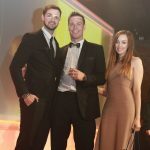 Scuf Gaming had the immense pleasure of winning the Hardware Provider of the Year award at this year’s event. 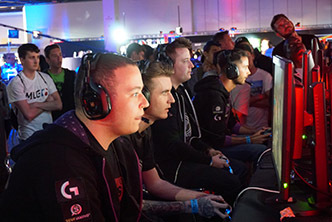 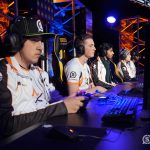 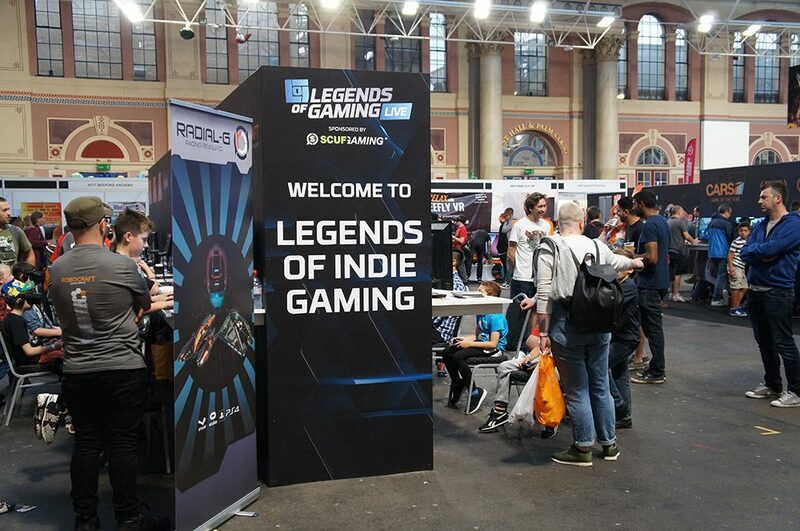 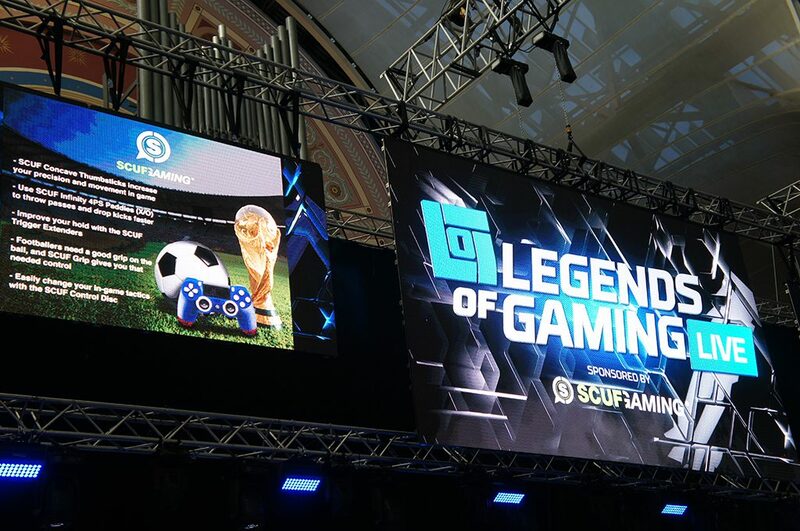 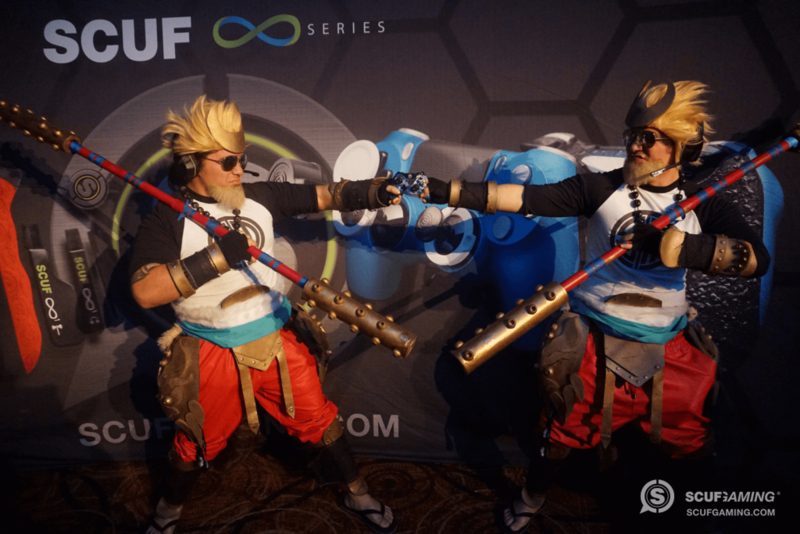 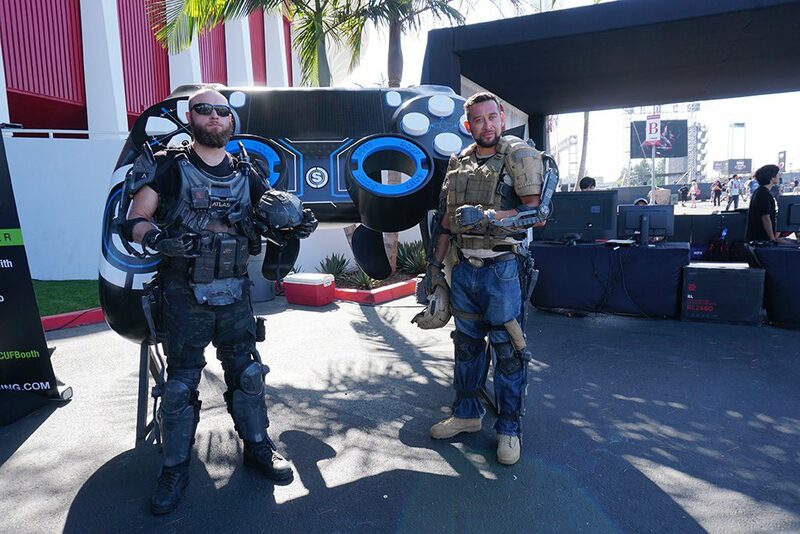 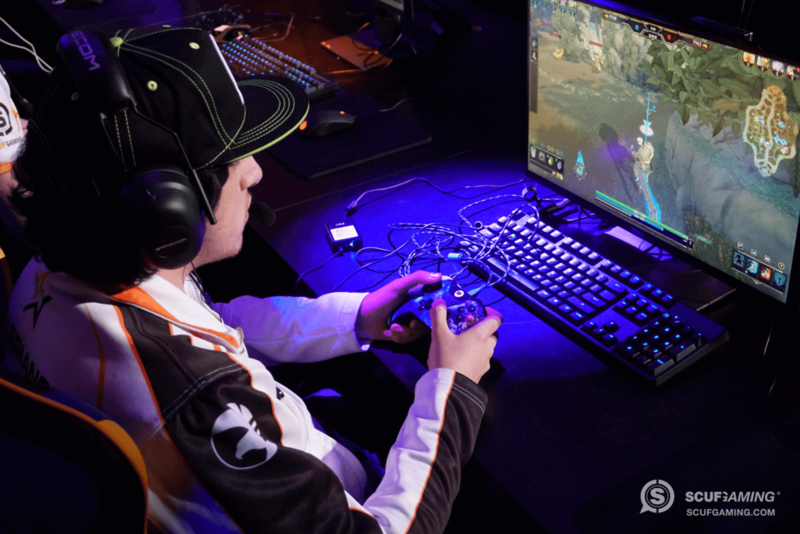 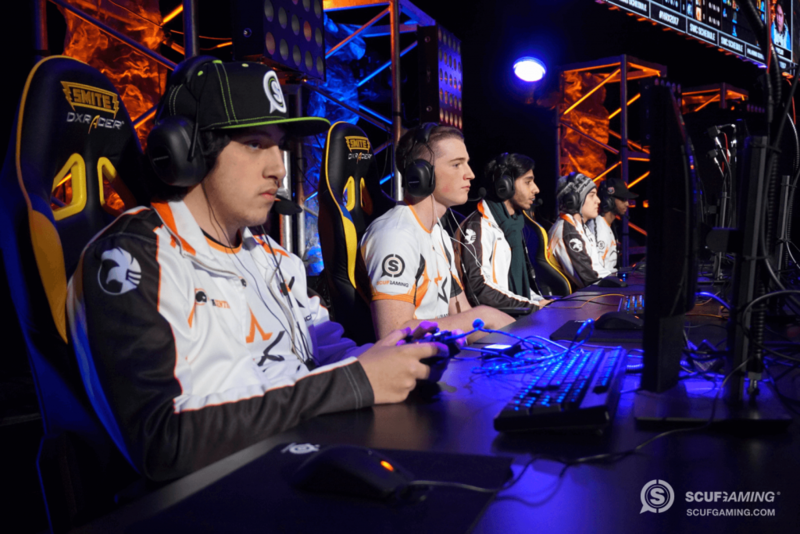 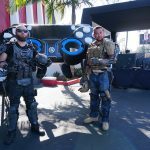 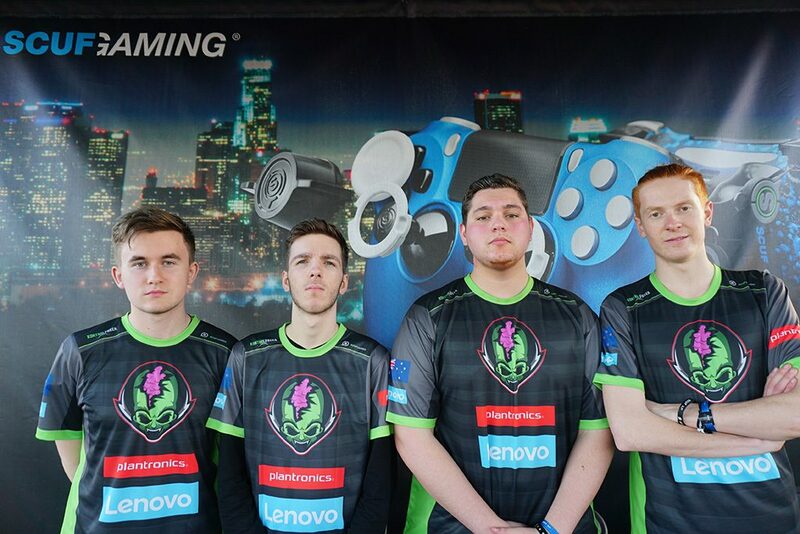 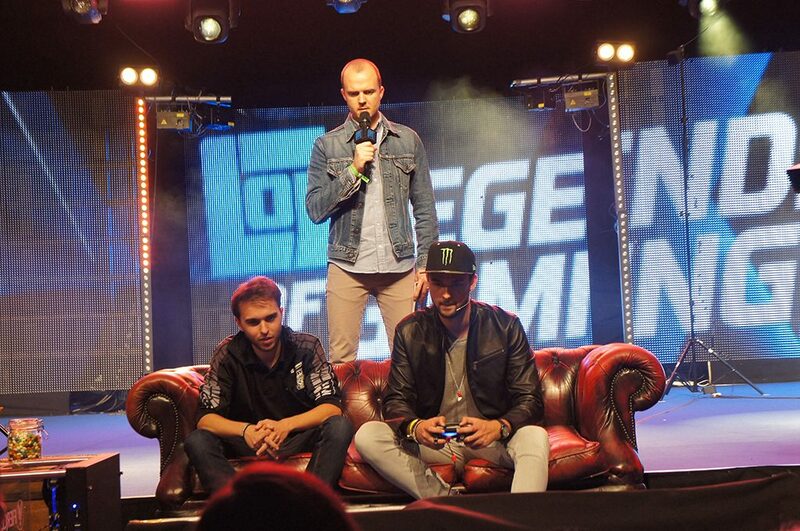 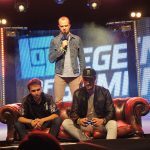 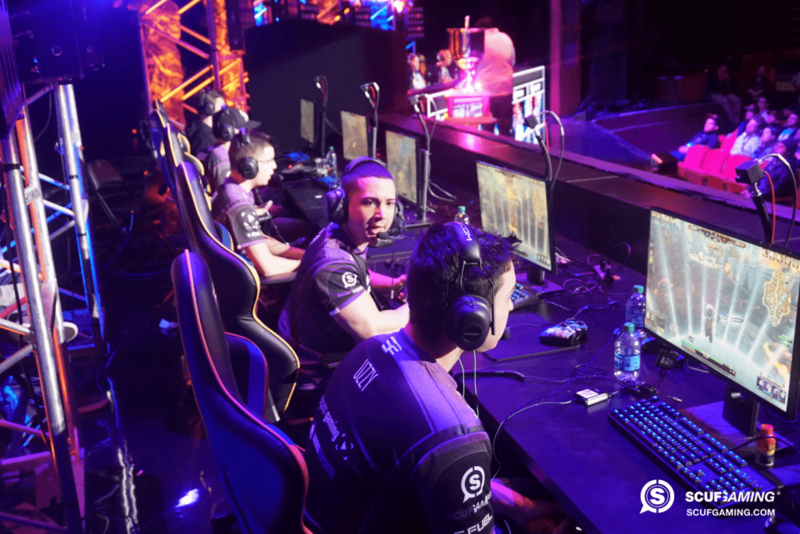 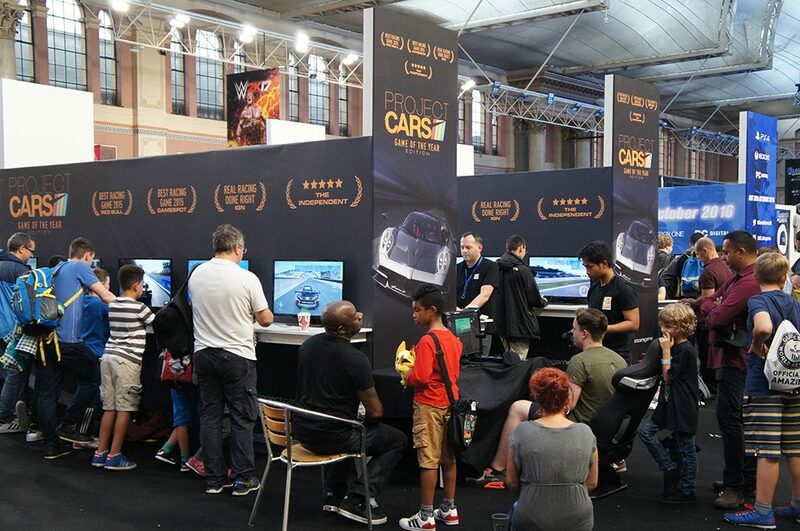 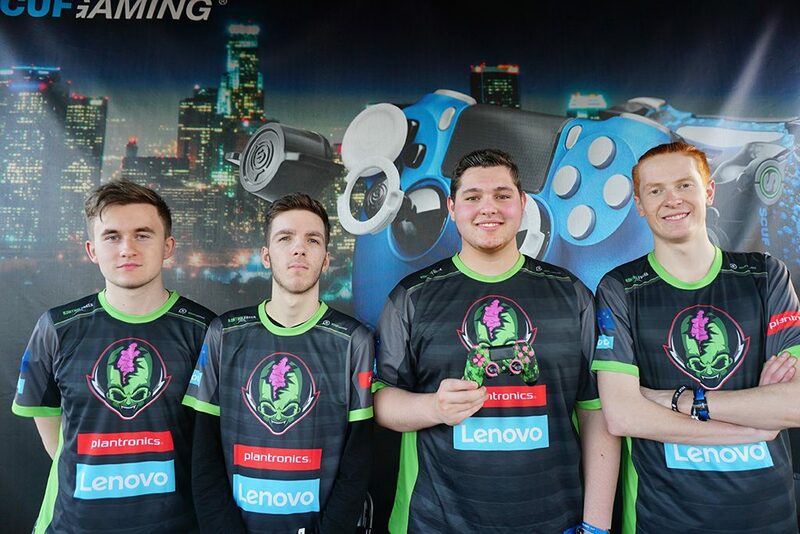 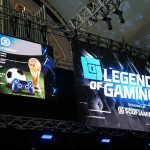 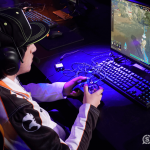 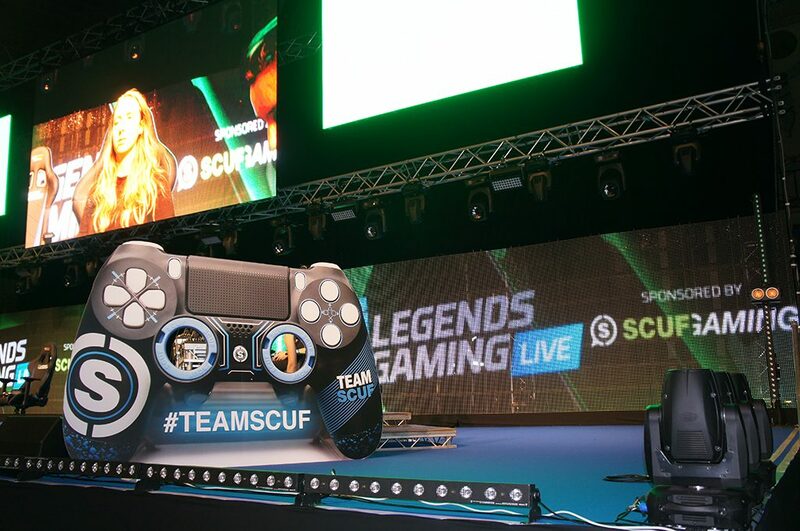 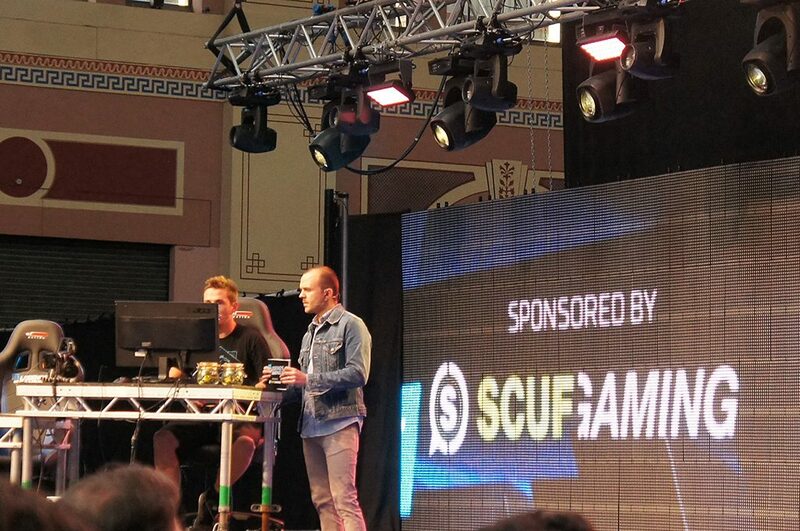 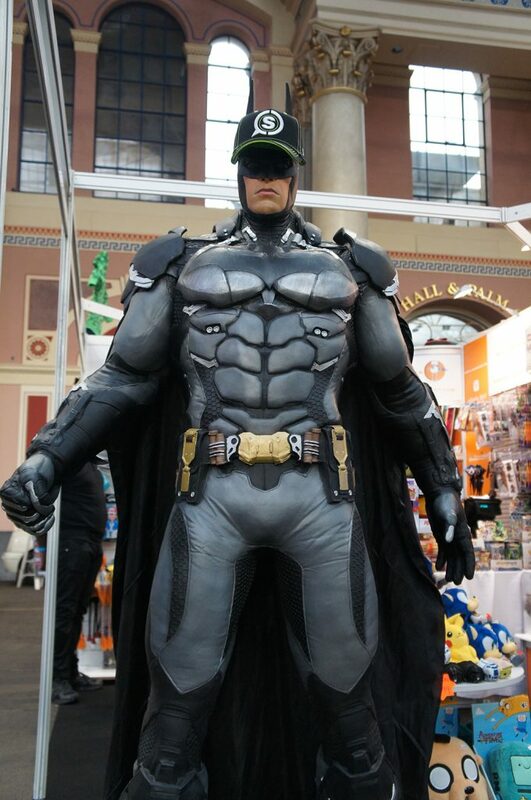 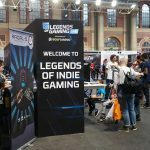 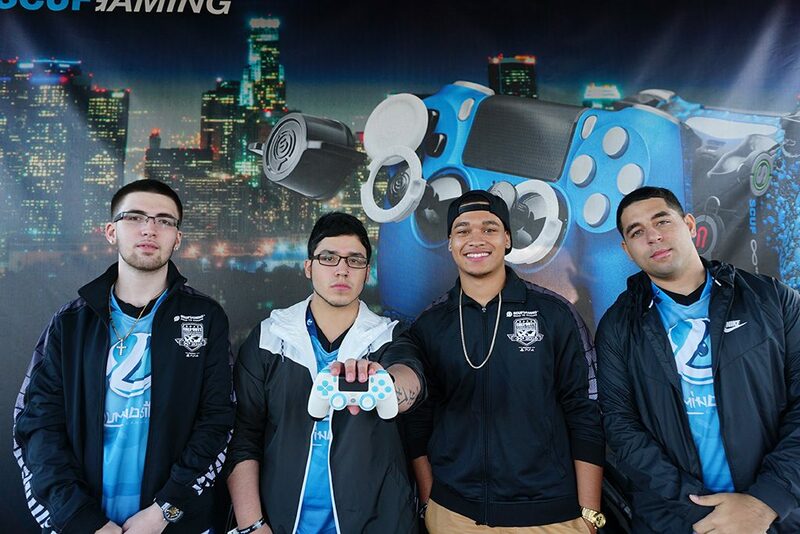 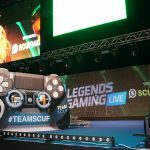 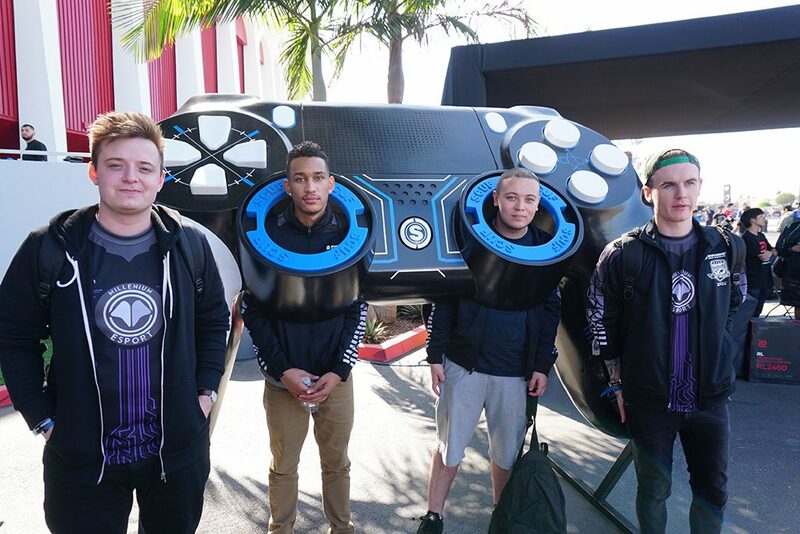 TeamSCUF had an amazing time at this year's Legends of Gaming! 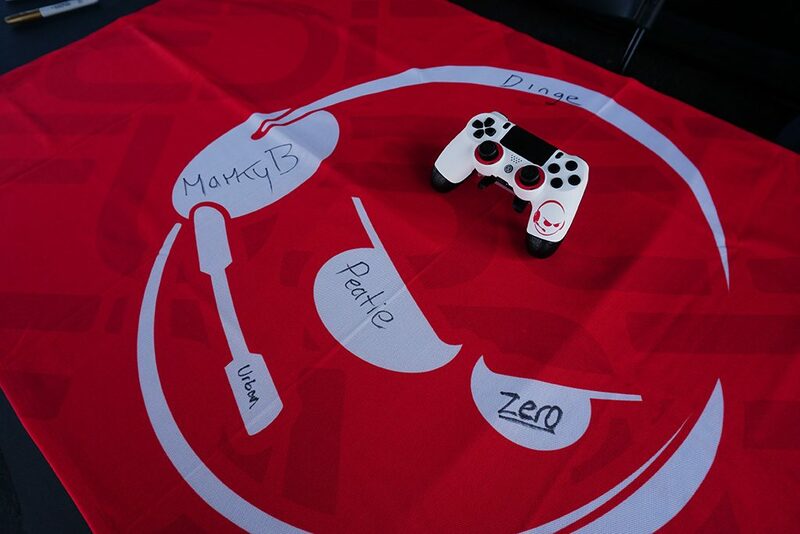 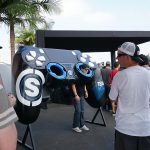 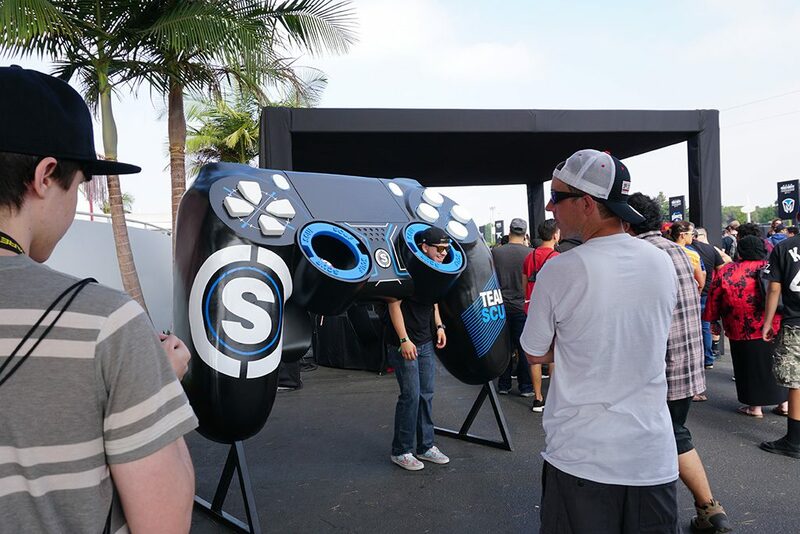 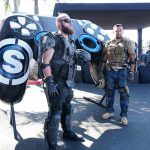 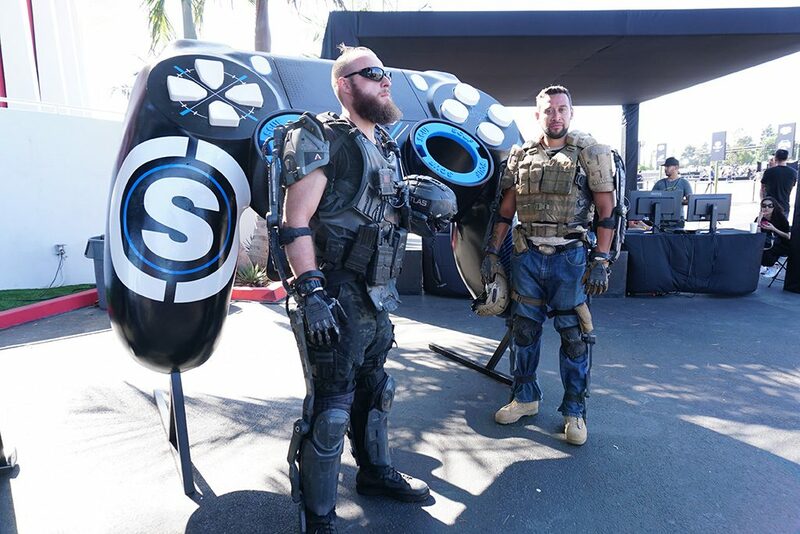 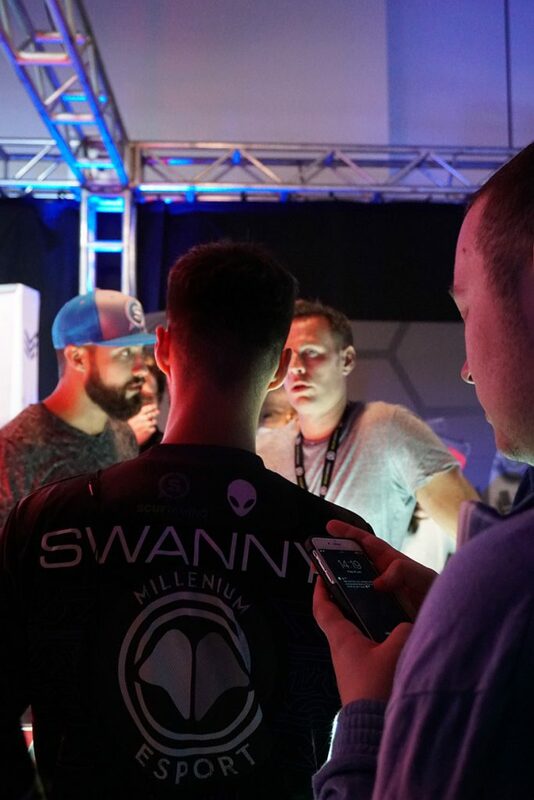 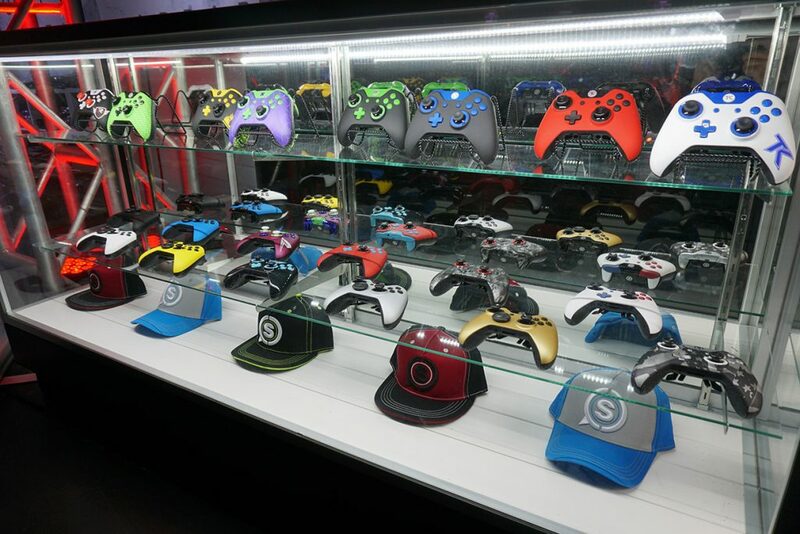 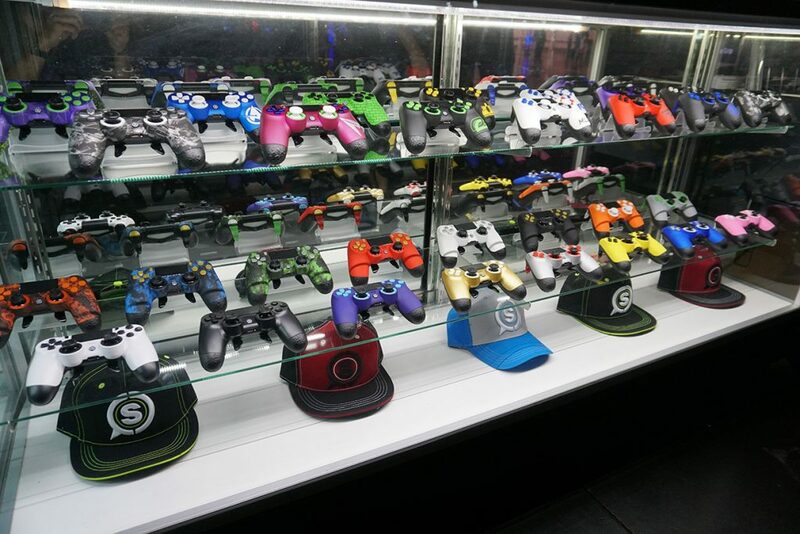 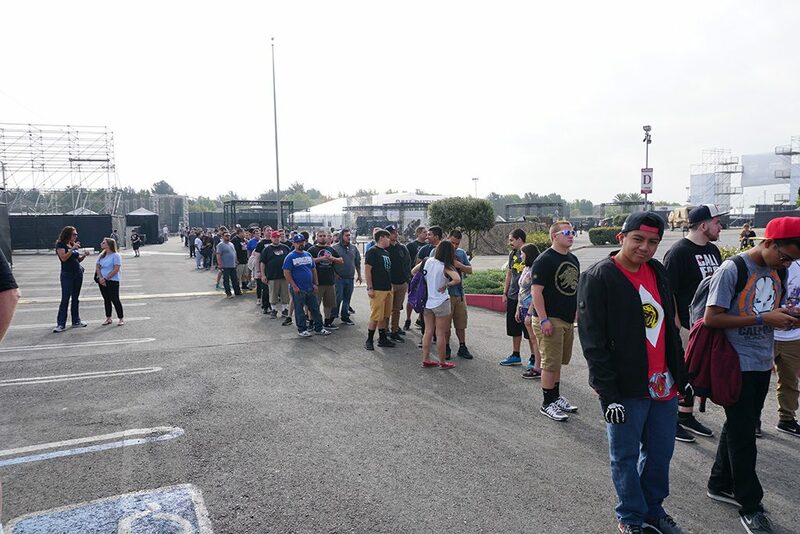 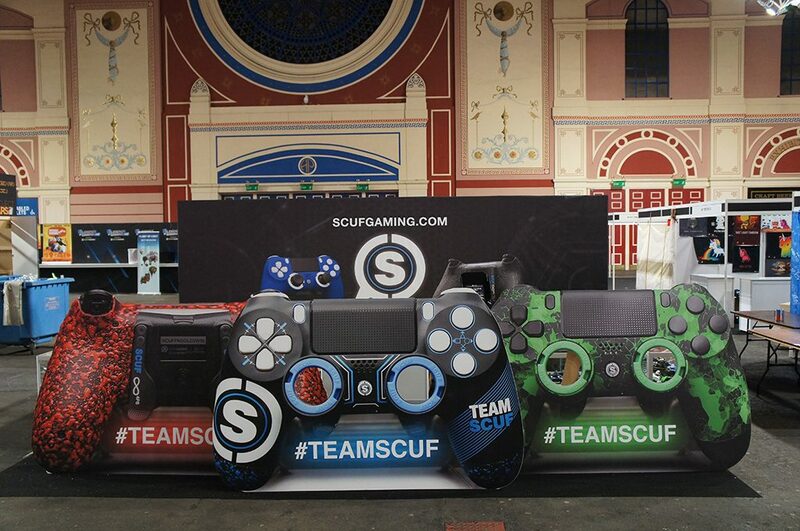 We got to see so many members of TeamSCUF (and recruit some new ones too)! 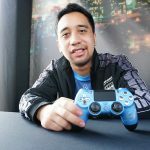 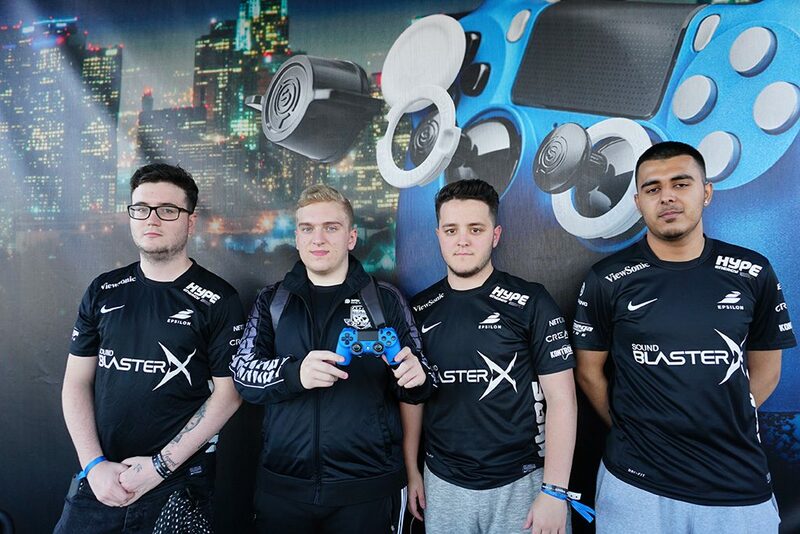 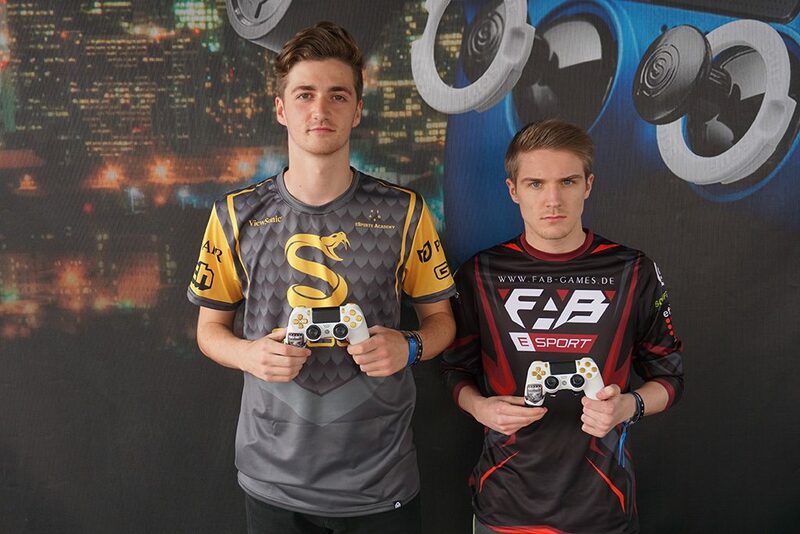 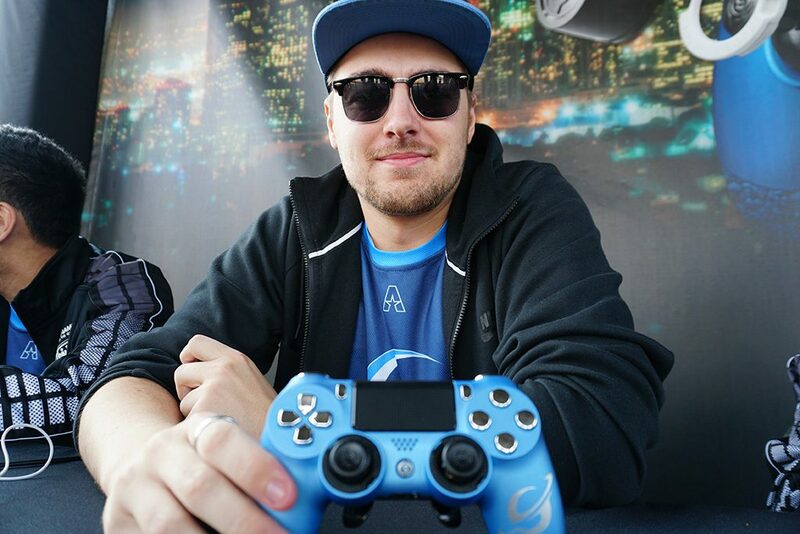 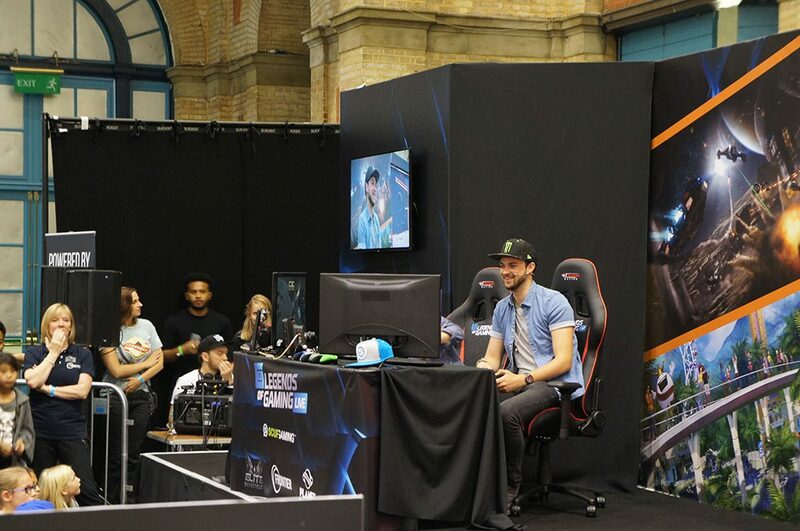 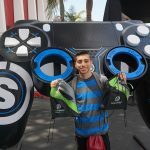 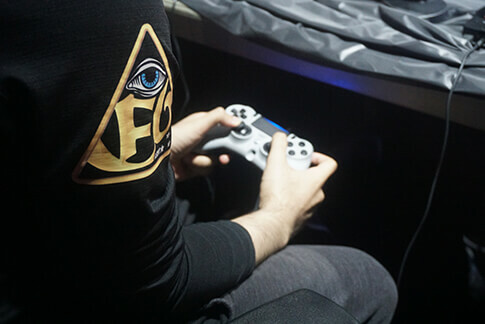 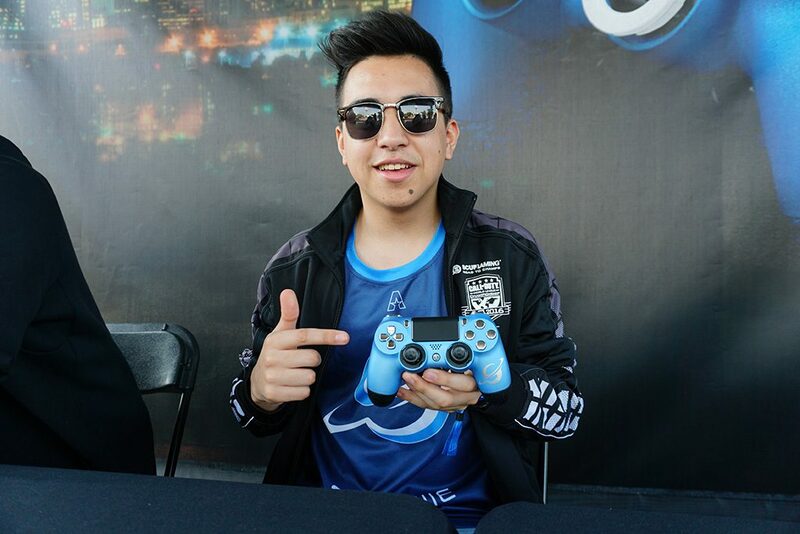 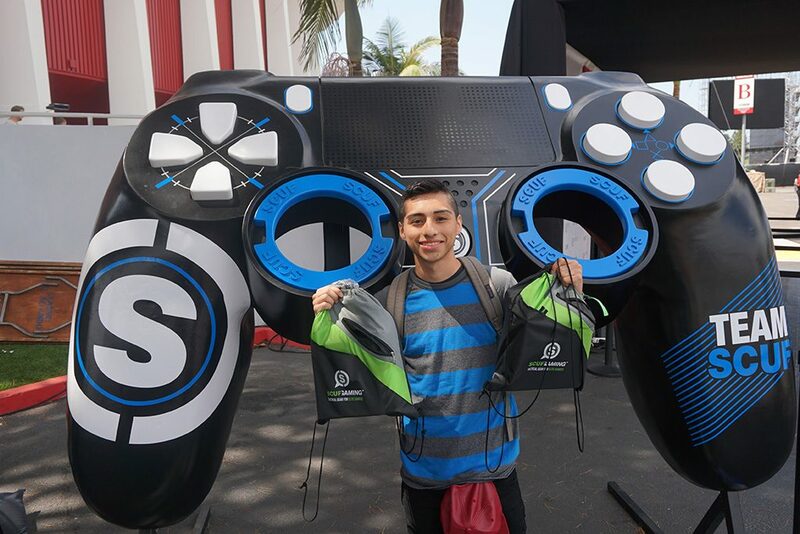 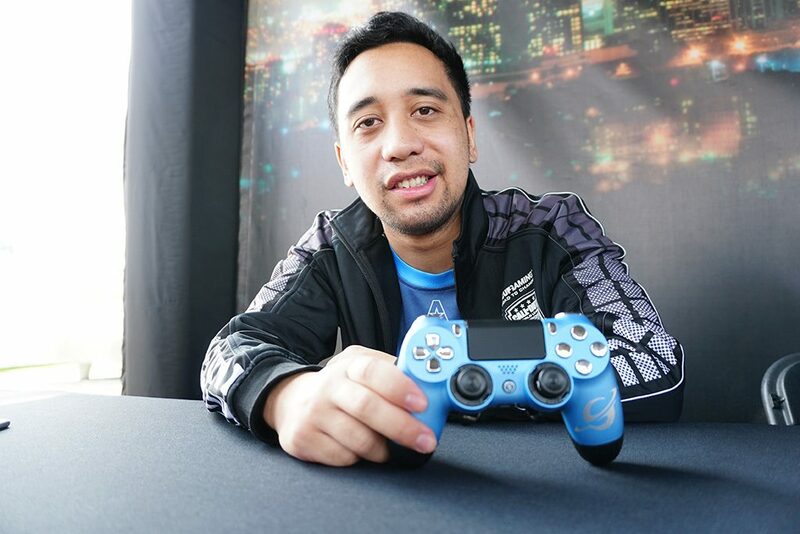 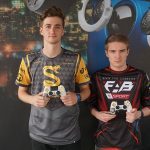 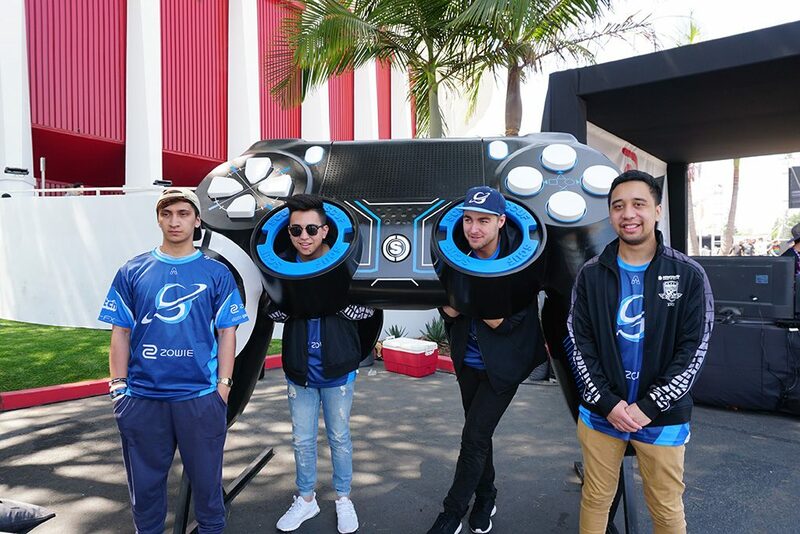 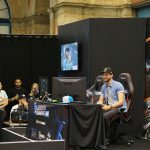 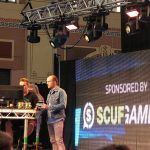 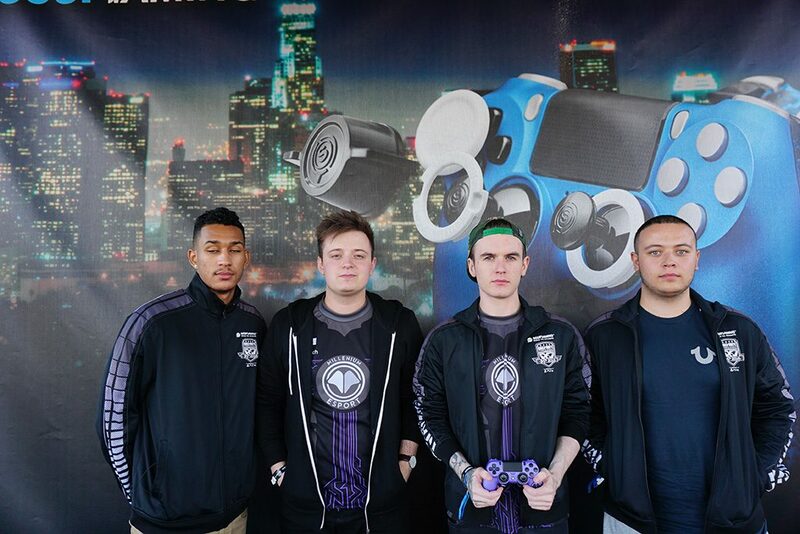 With such luminaries as Ali-A, Syndicate and SpencerFC attending, it's no wonder everyone seemed to have a smile on their faces, including the winner of our SCUF HUNT who took home an Infinity4PS and a ton of SCUF swag. 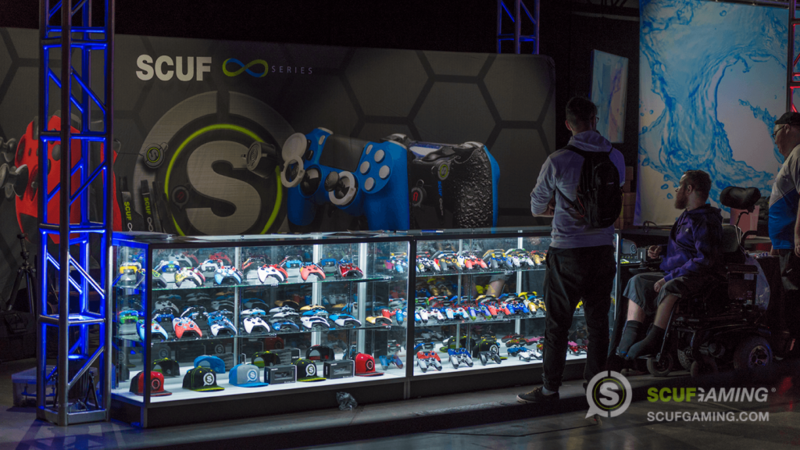 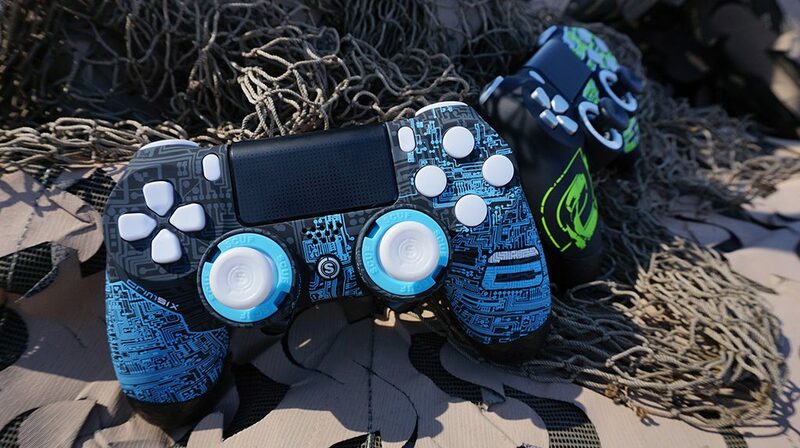 Huge thanks go out to everyone who came by to say hello and take a look at the latest innovations in the SCUF Infinity series. 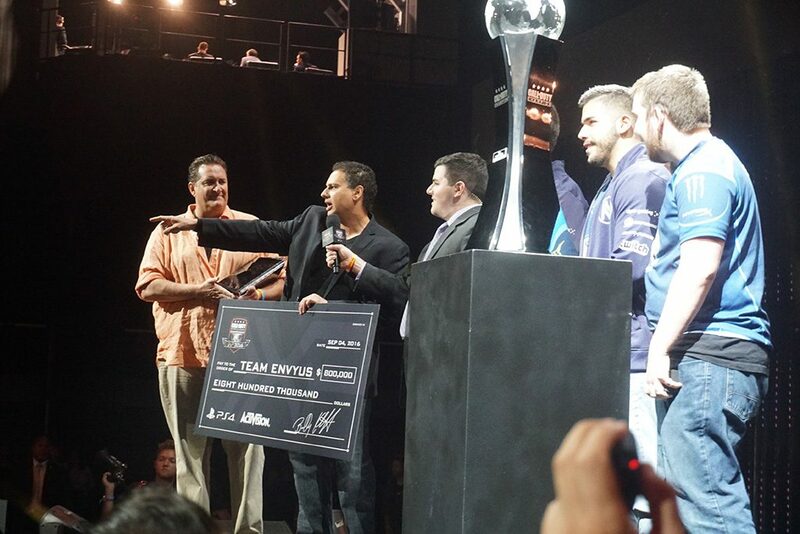 Congratulations to all of our sponsored teams and affiliates! 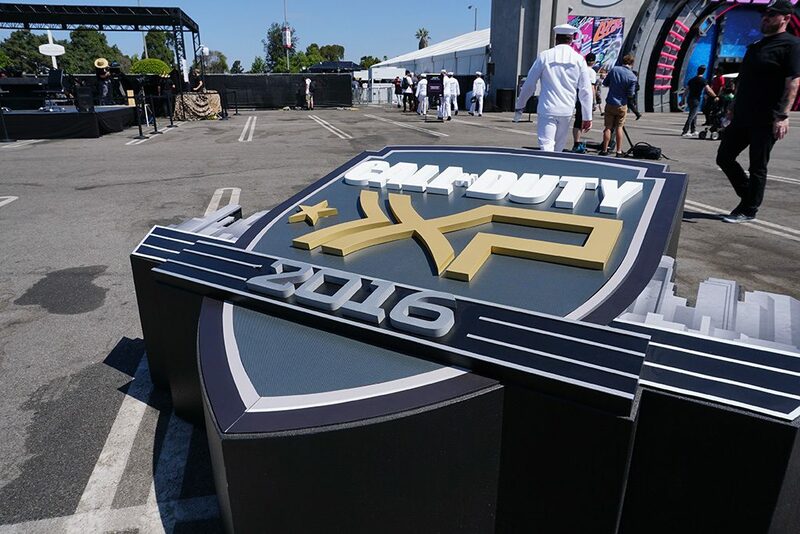 Thanks to your hard work and explosive talent, this was one of the most exciting years at CoD XP! 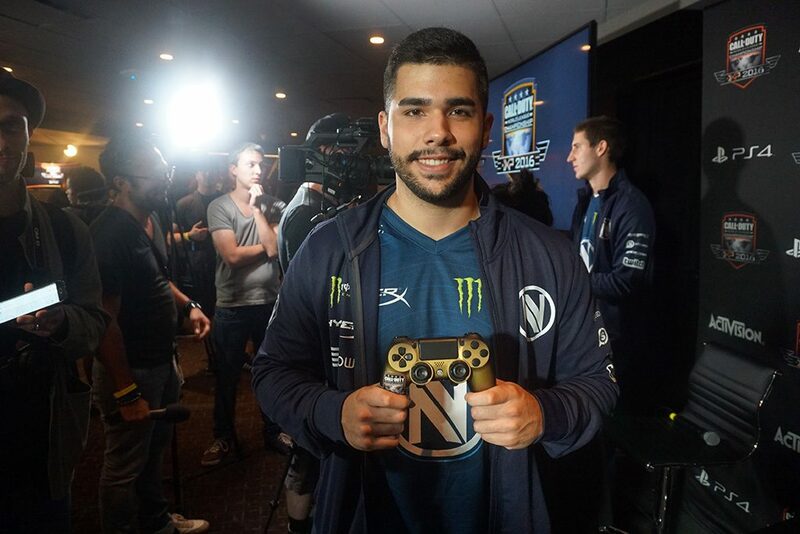 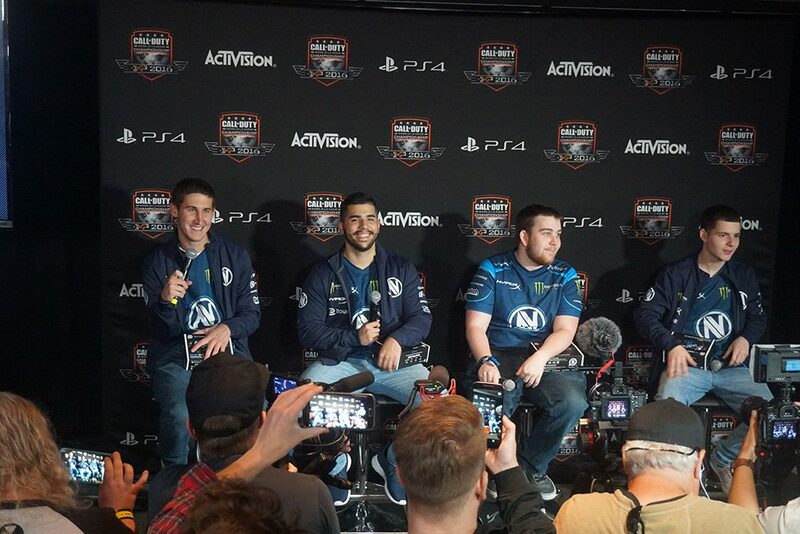 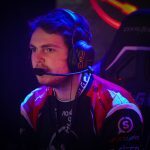 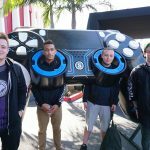 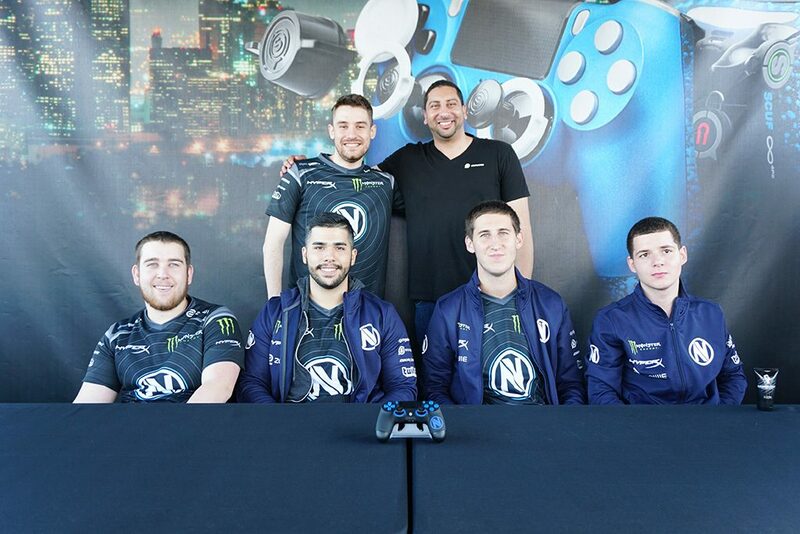 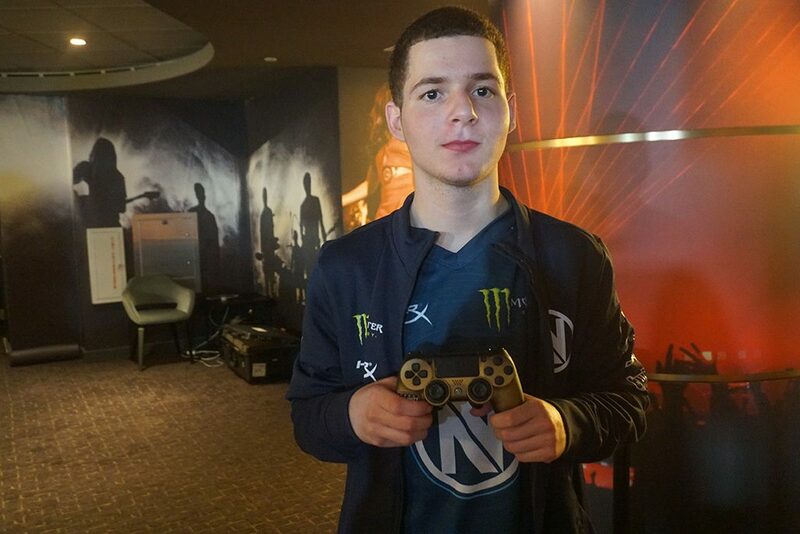 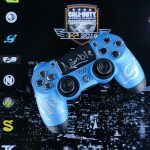 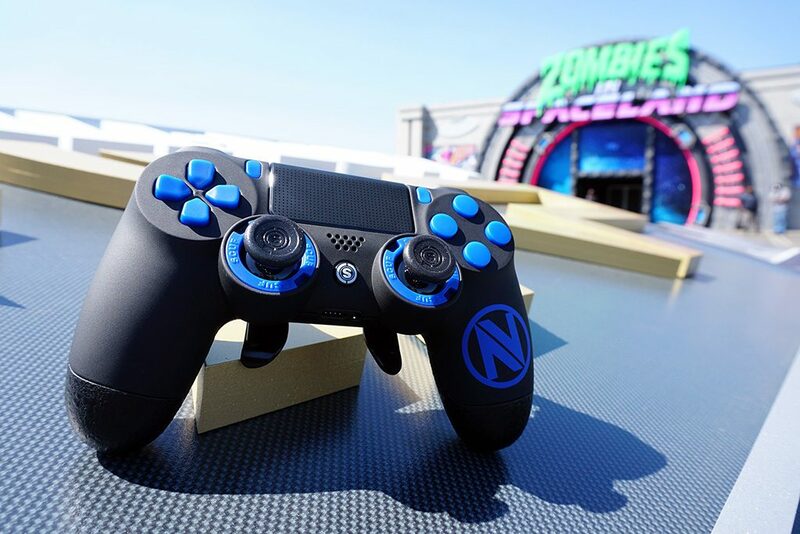 Team EnVyUs are the 2016 CoD XP Champions! 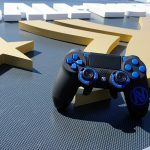 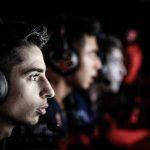 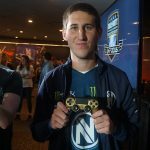 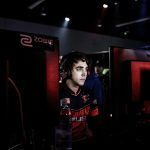 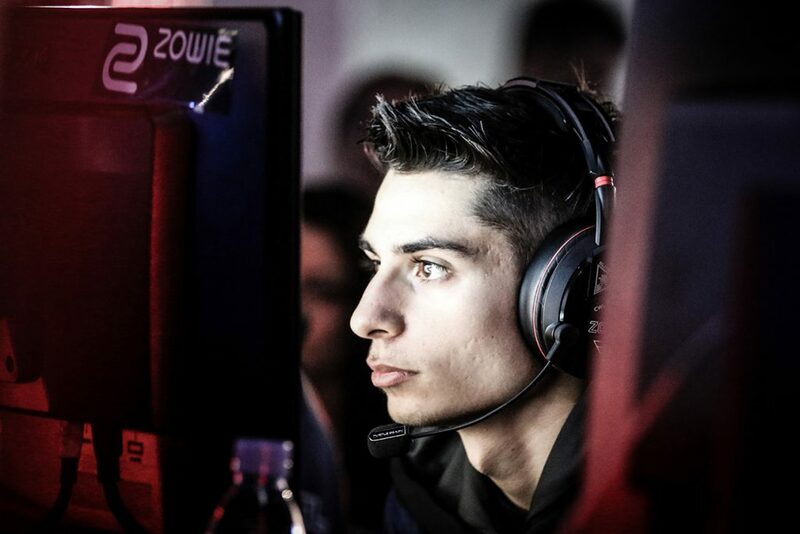 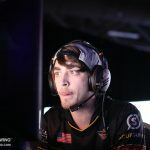 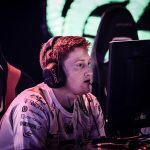 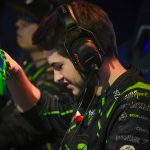 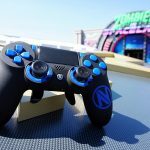 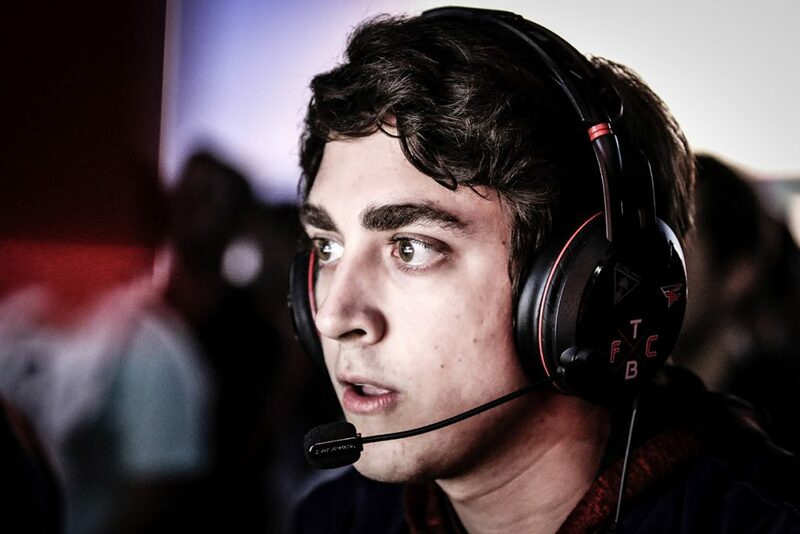 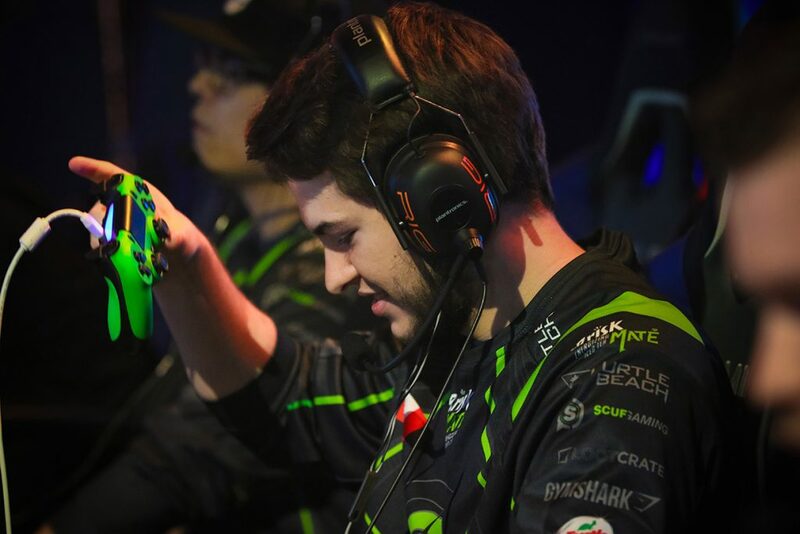 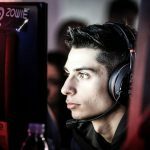 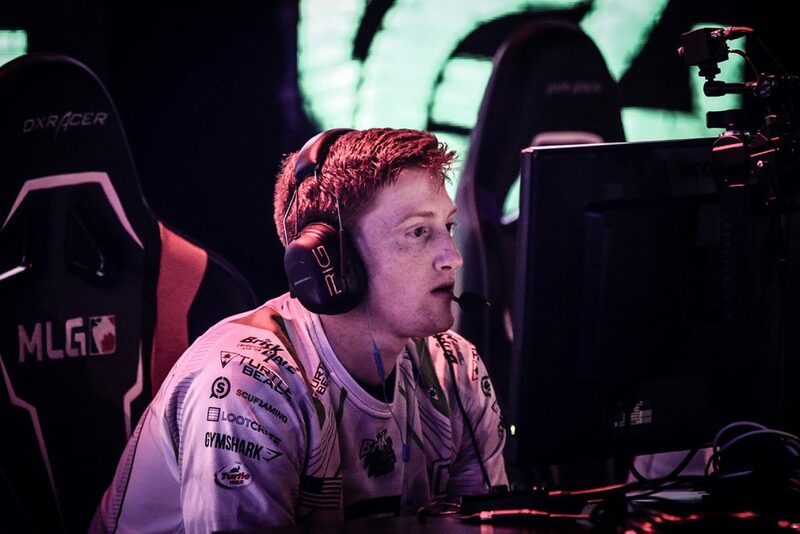 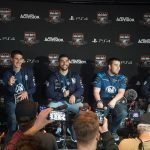 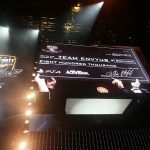 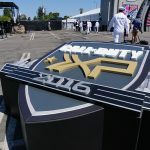 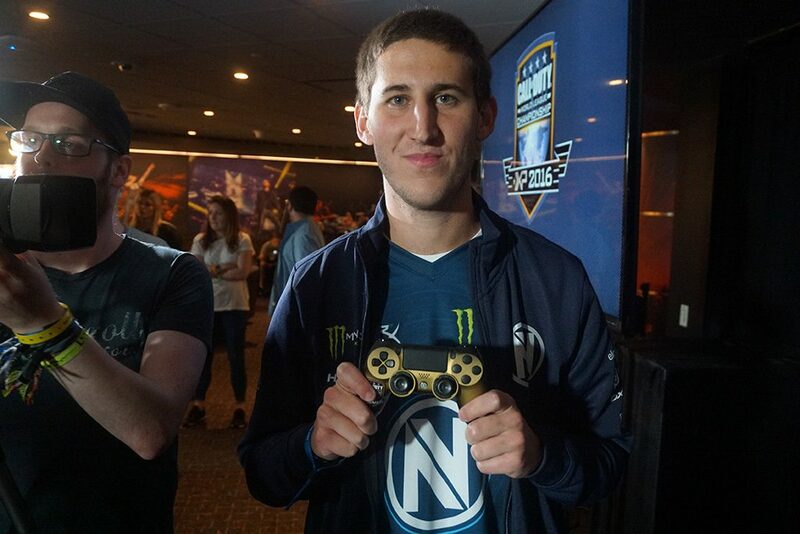 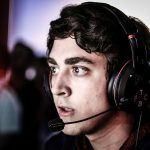 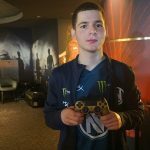 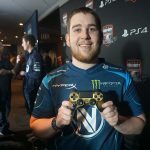 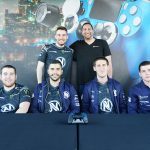 After an intense weekend of pro-gaming, Call of Duty XP has finally drawn to a close with Team EnVyUs winning their first CoD XP Championship and Team Captain JKap winning his second ring in the process. 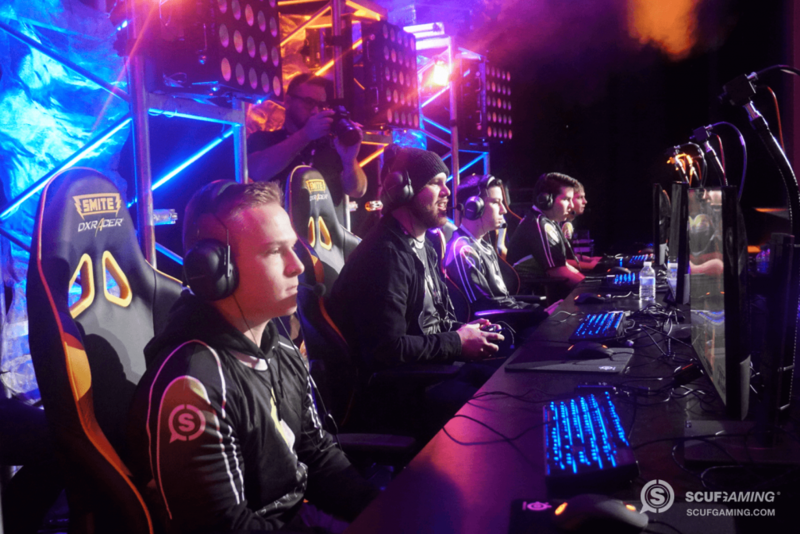 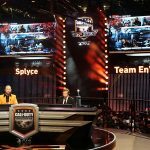 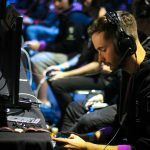 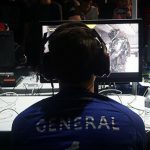 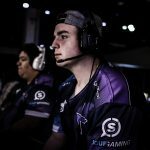 This was after a final series against Splyce, who made history as the first European team to make it to the final game in the history of CoD Championships. 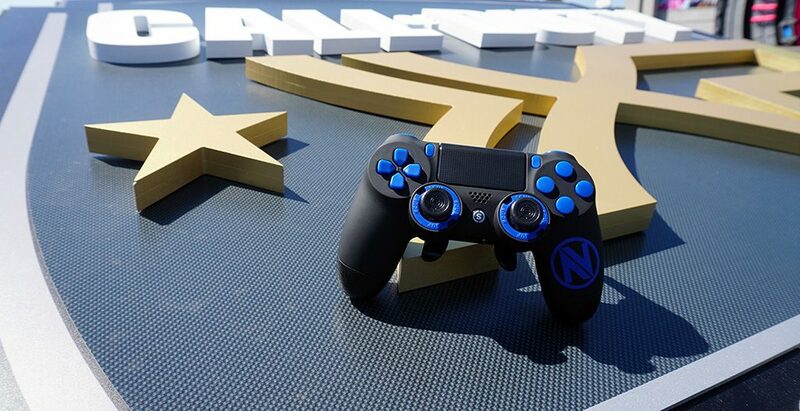 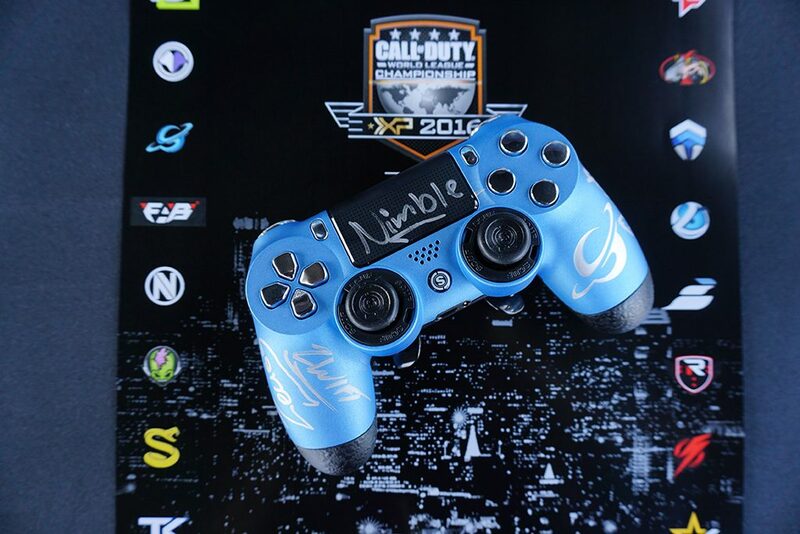 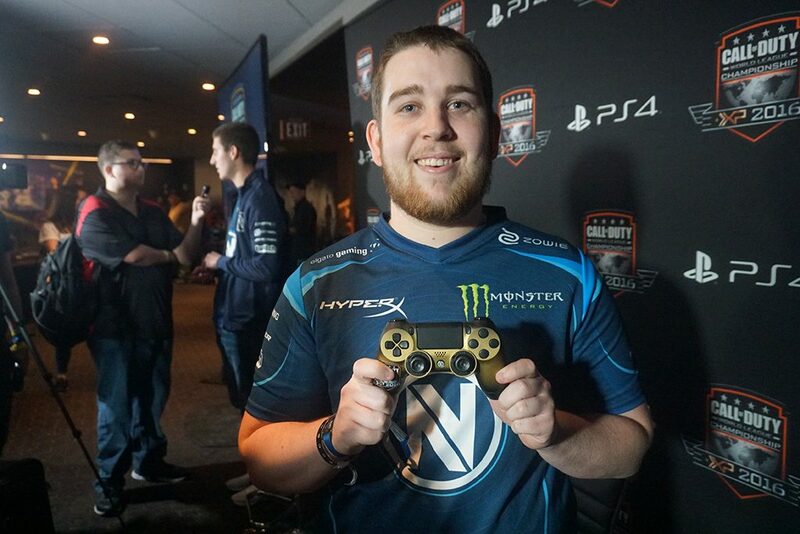 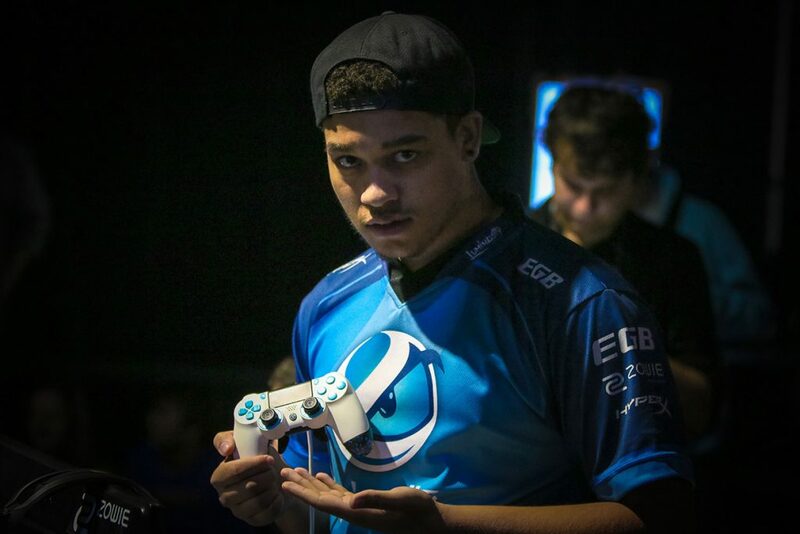 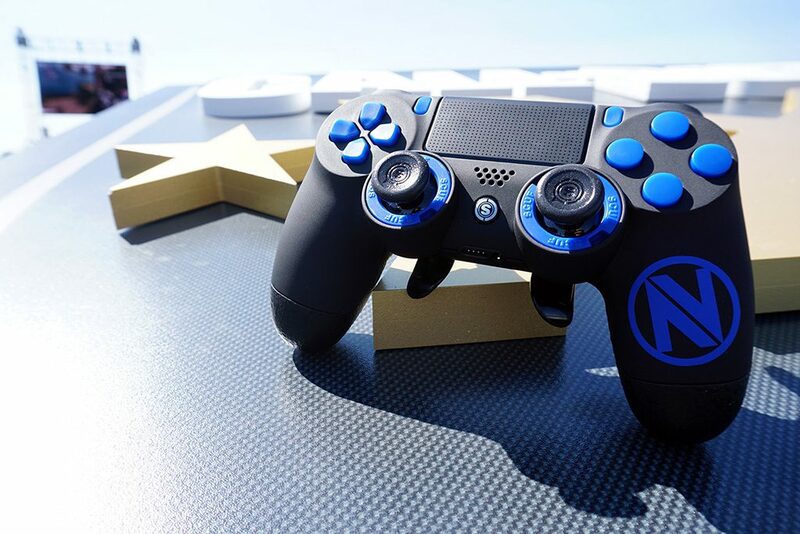 Check out the official Team EnVyUs Infinity Series for both Xbox One and Playstation! 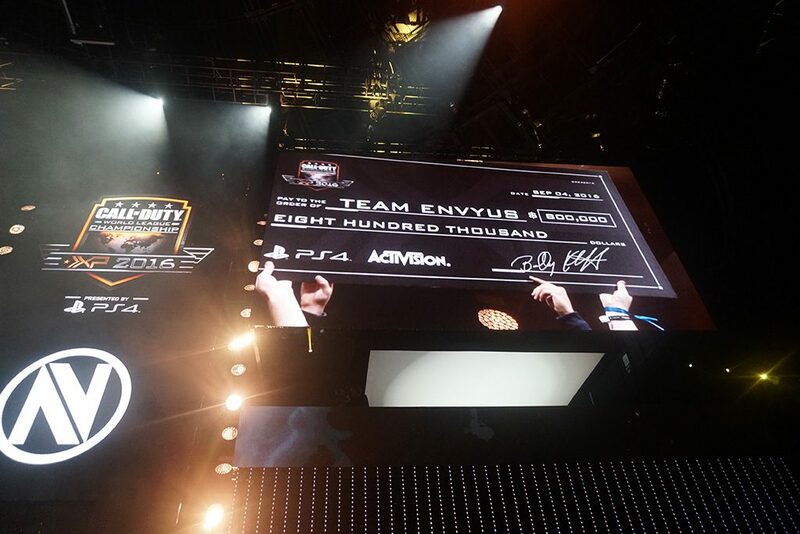 For updates and more, follow Team EnVyUs and the Call of Duty World League on Twitter.